Now that Prereleases started all over the world, the setlist for our upcoming set, Team Up, is finally confirmed. Check out all the cards below! Team Up will be released in stores on February 1st, and see its first tournament appearance at the Oceania International Championships. 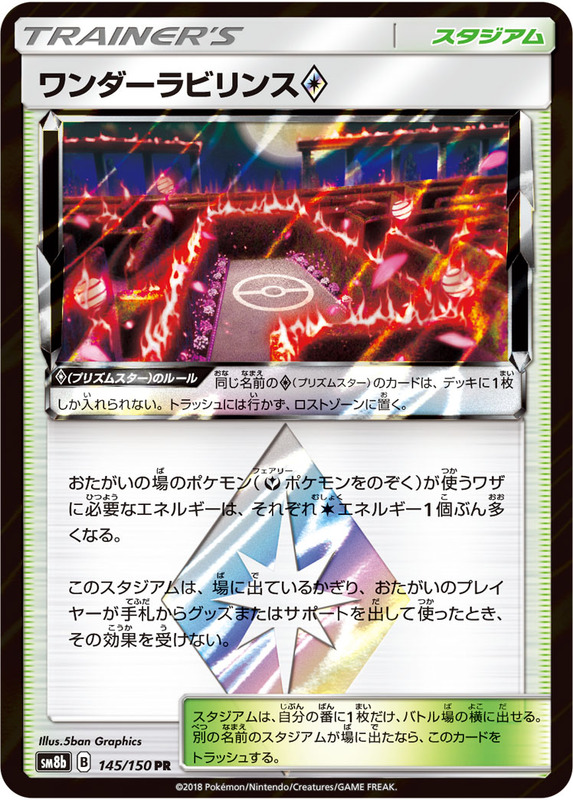 Your opponent's active Pokemon is now Poisoned, Burned and Confused. 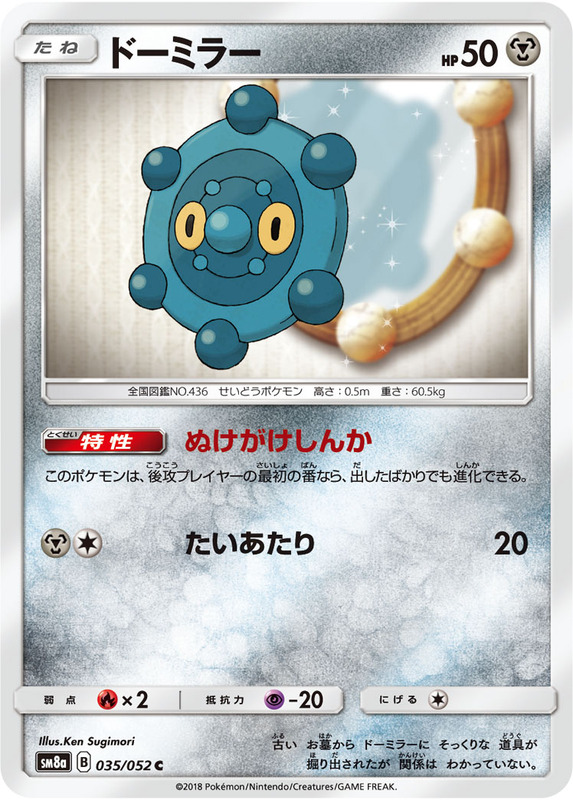 Heal all damage from this Pokemon. 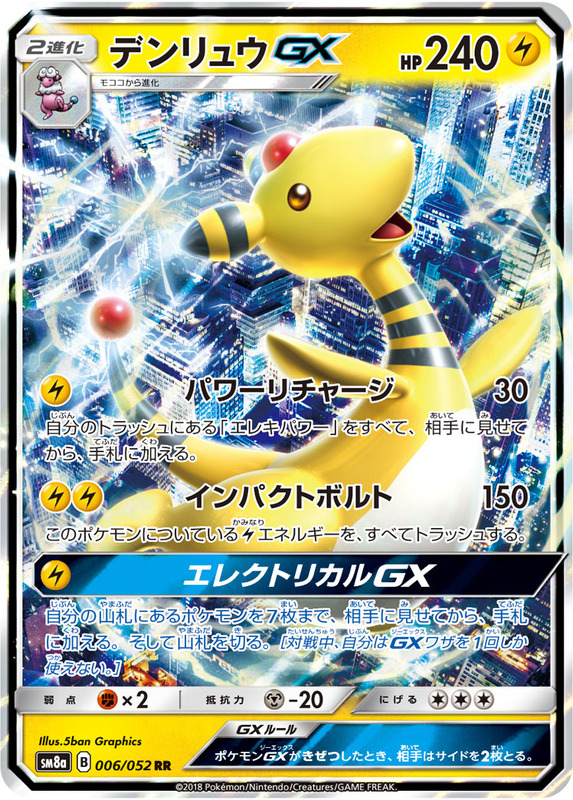 If this Pokemon has at least 1 extra [G] Energy attached to it (in addition to this attack's cost), shuffle all cards from your discard pile into your deck. 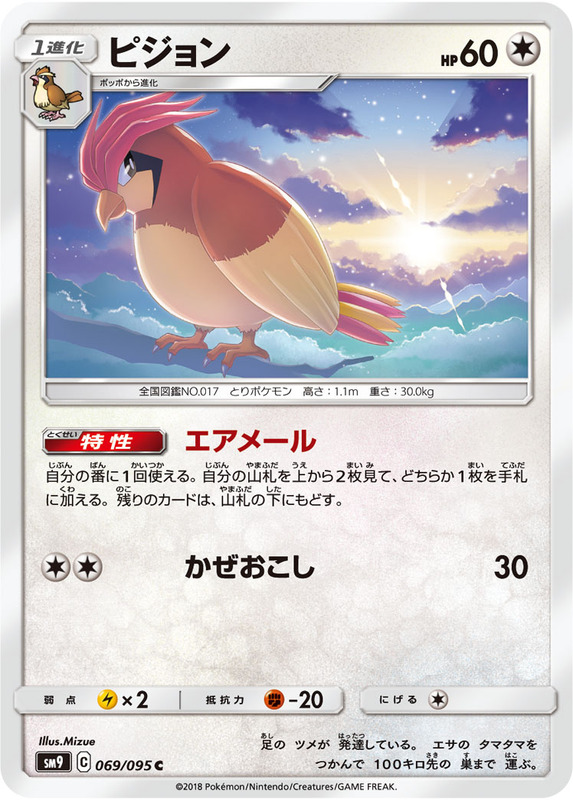 Choose 1 of your opponent's benched Pokemon and switch it with their active Pokemon. If this Pokemon has any [G] Energy attached to it, reduce all damage done to this Pokemon by 30. You can only use this attack if this Pokemon has any damage. Both active Pokemon are now knocked out. 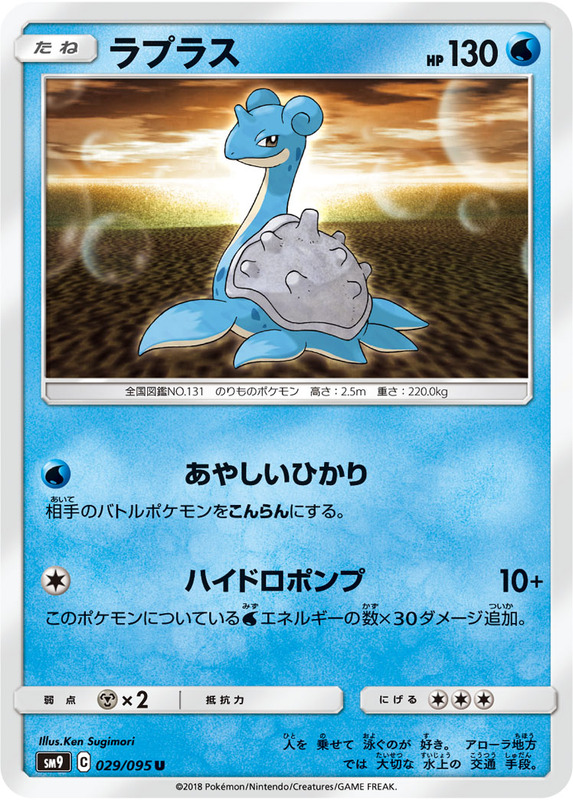 Put 2 damage counters on your opponent's confused Pokemon between turns. Flip a coin. 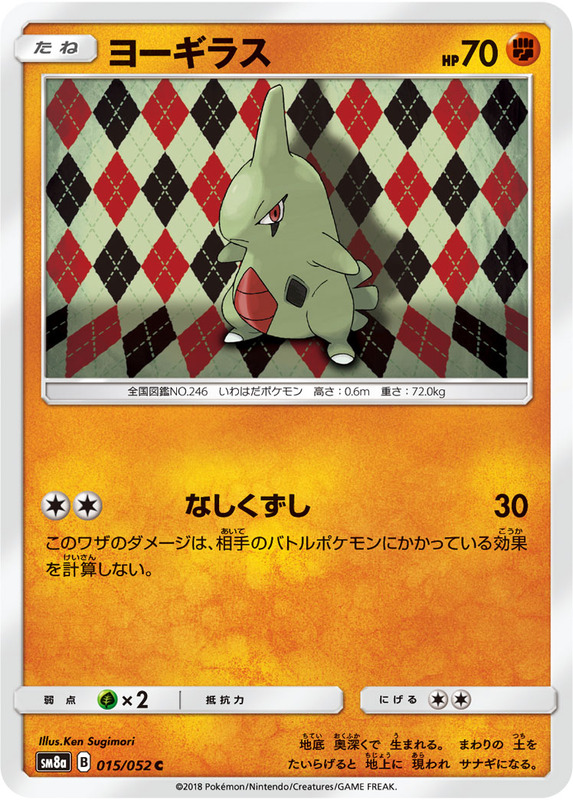 If heads, your opponent's active Pokemon is now confused. Flip 2 coins. 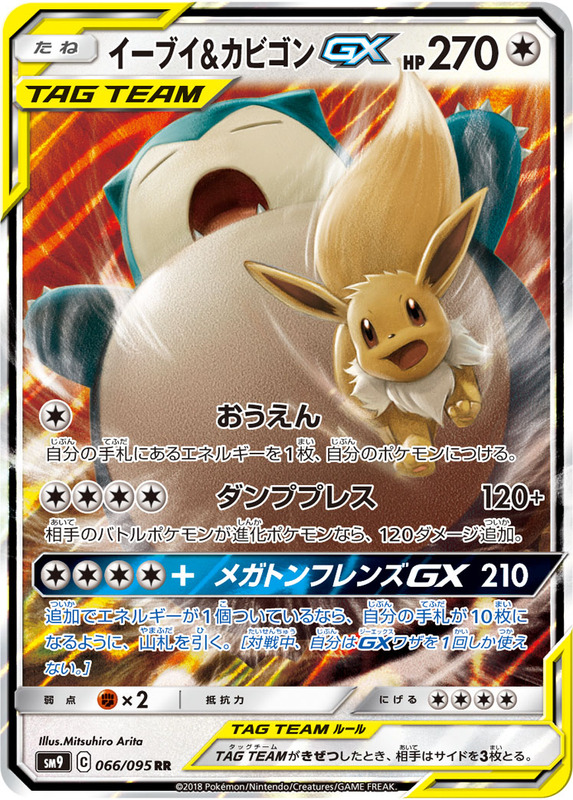 If both are heads, your opponent's active Pokemon is now knocked out. 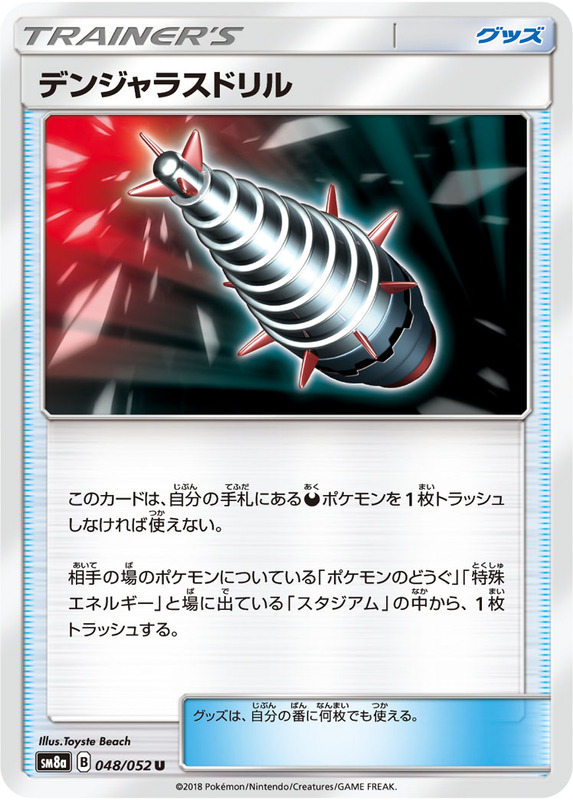 This attack does 30 damage times the number of Energy attached to your Pokemon in play. 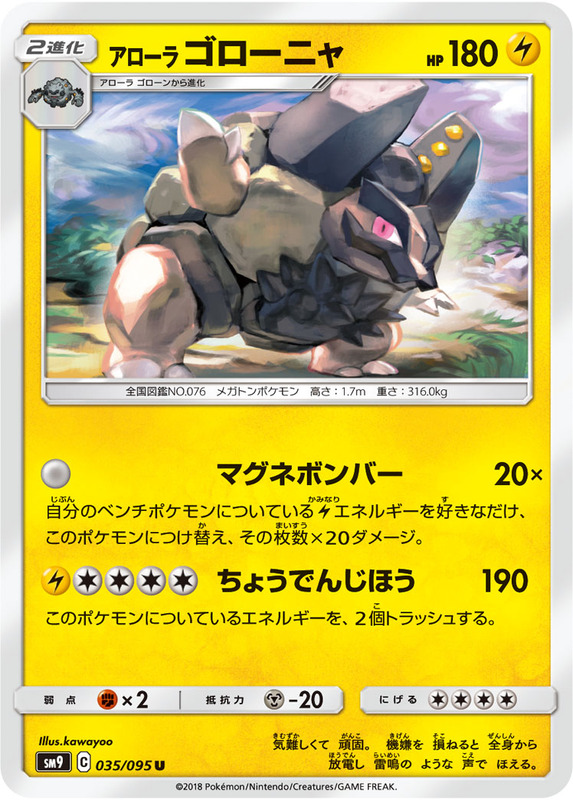 This attack does 20 damage times the number of damage counters on this Pokemon. 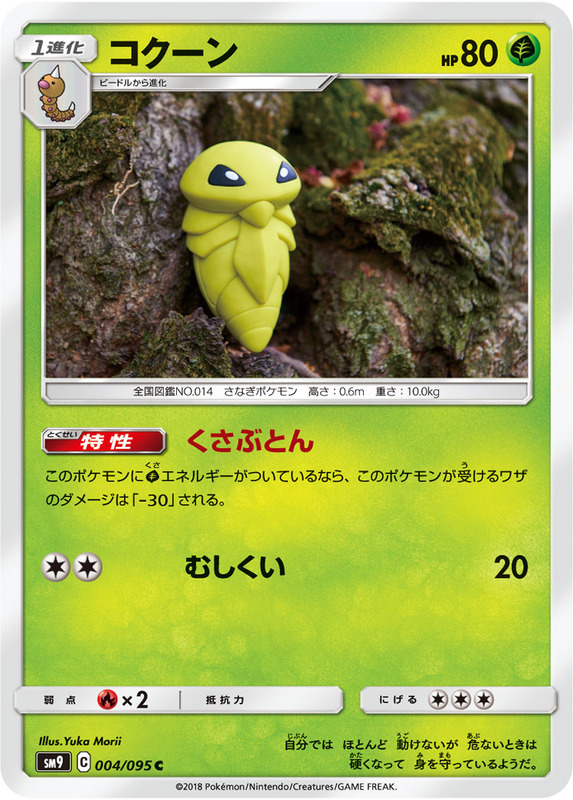 Once during your turn, you may put 2 damage counters on this Pokemon. 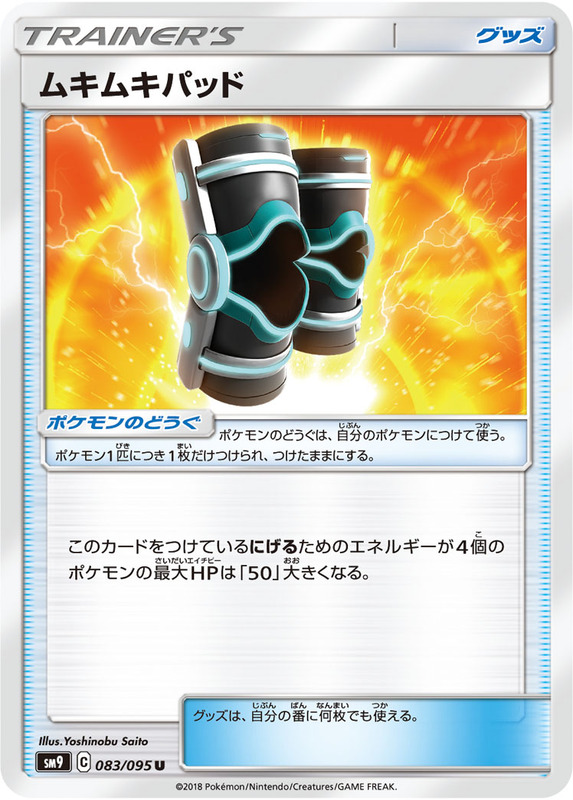 Then, search your deck for 2 [R] Energy cards and attach them to this Pokemon. Then, shuffle your deck. 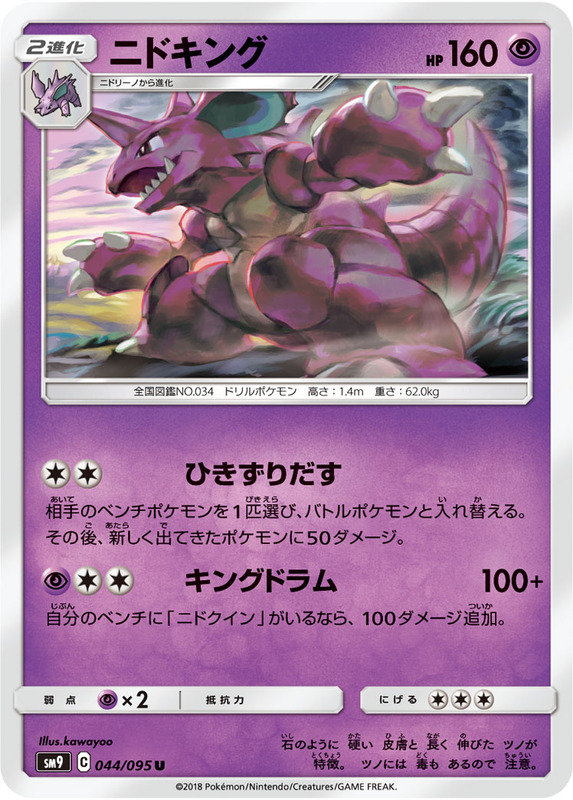 Discard all [R] Energy from this Pokemon. This attack does 50 more damage times the amount of cards discarded this way. Flip a coin. 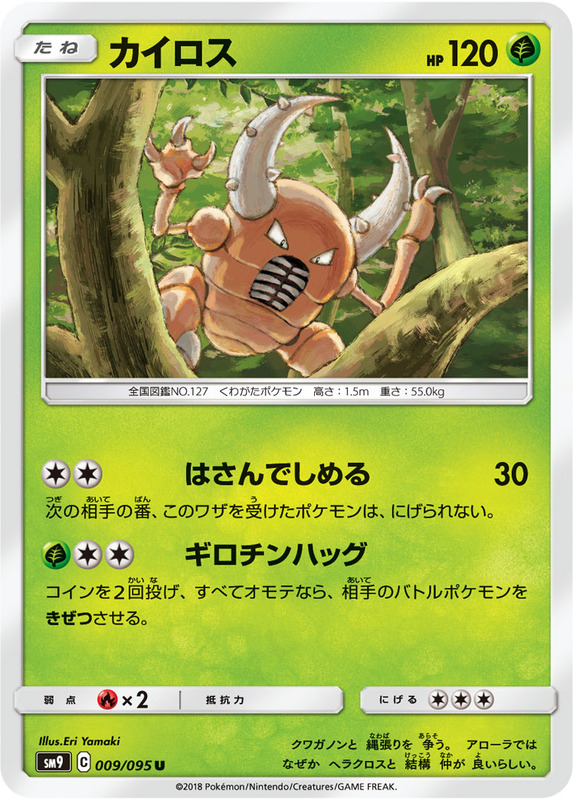 If heads, the defending Pokemon can't attack during your opponent's next turn. 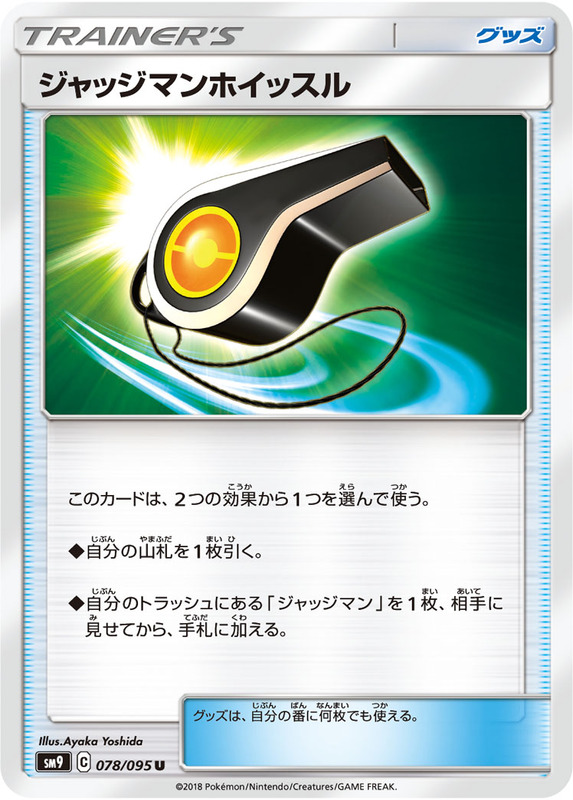 Once during your turn, you may discard 2 [R] Energy cards from your hand. 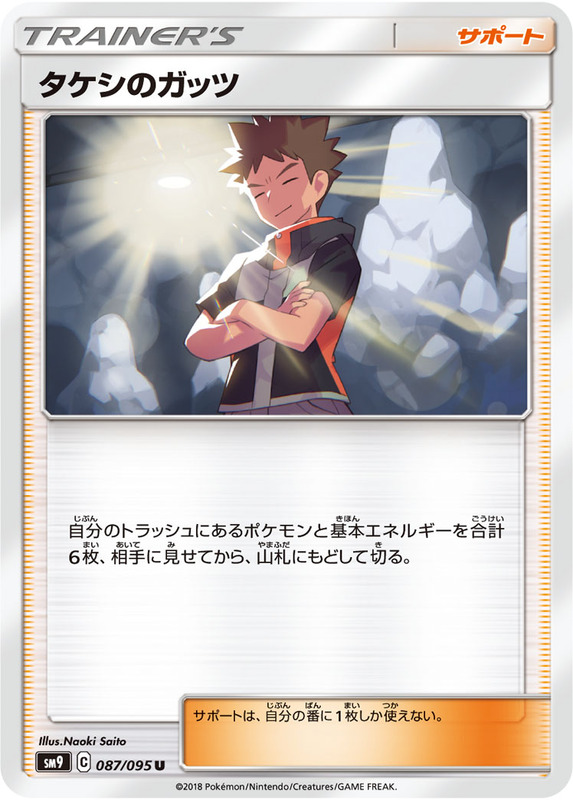 Then, choose 1 of your opponent's benched Pokemon and switch it with their active Pokemon. Flip a coin. 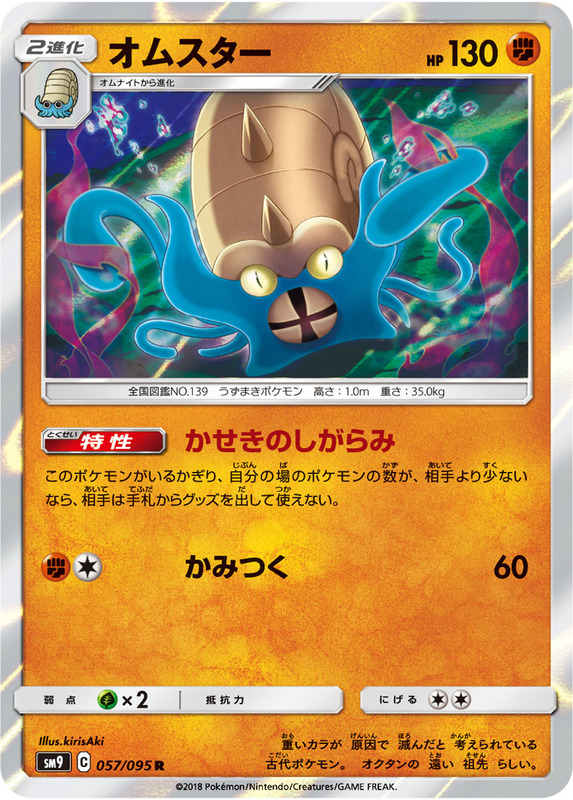 If heads, prevent all effects and damage of attacks done to this Pokemon from your opponent's Pokemon during your opponent's next turn. 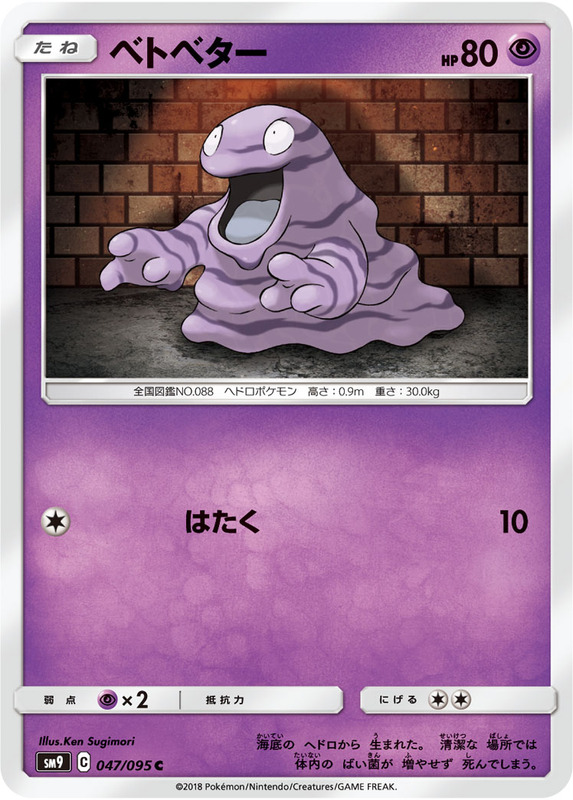 Discard all [R] Energy from this Pokemon. Discard a card from your opponent's deck for each Energy discarded this way. 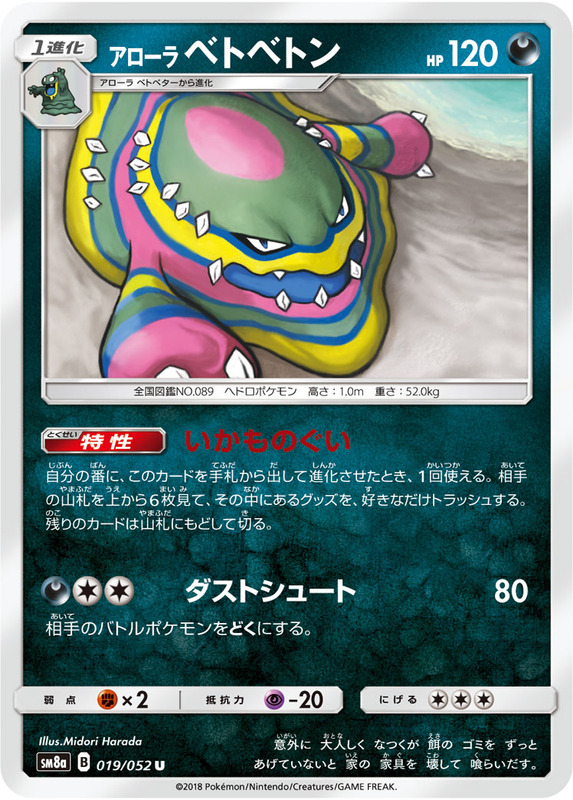 Discard 3 Energy from this Pokemon. 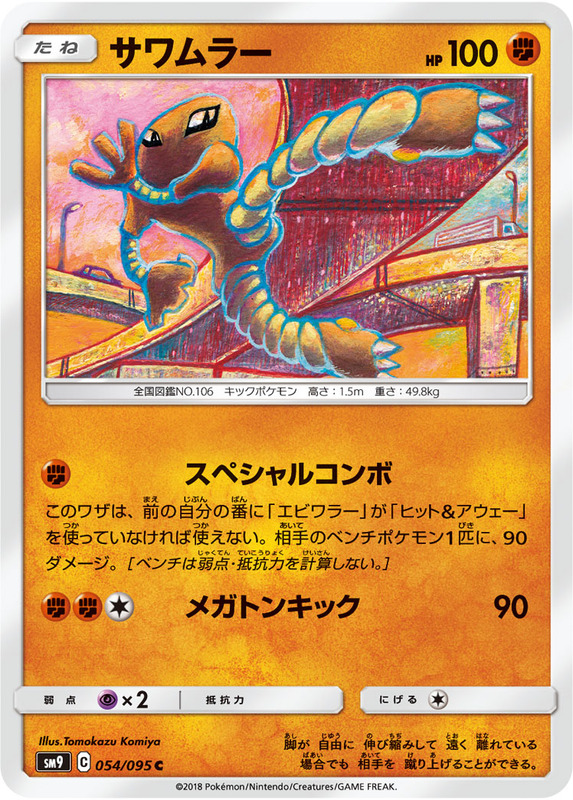 If you have a Stadium in play, this Pokemon has no retreat cost. 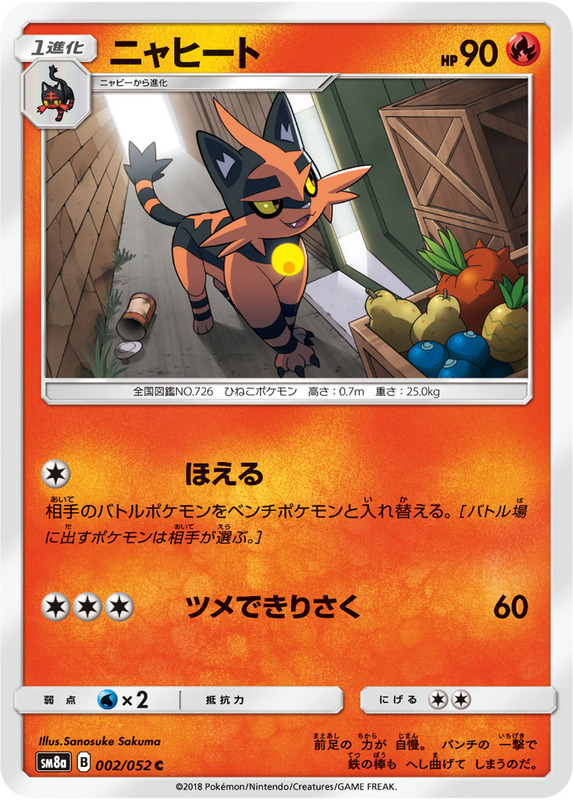 Once during your turn, you may look at the top 6 cards of your deck, choose as many [W] Energy cards you find there and attach them to your Pokemon in any way you like. Shuffle the remaining cards into your deck. Flip a coin. 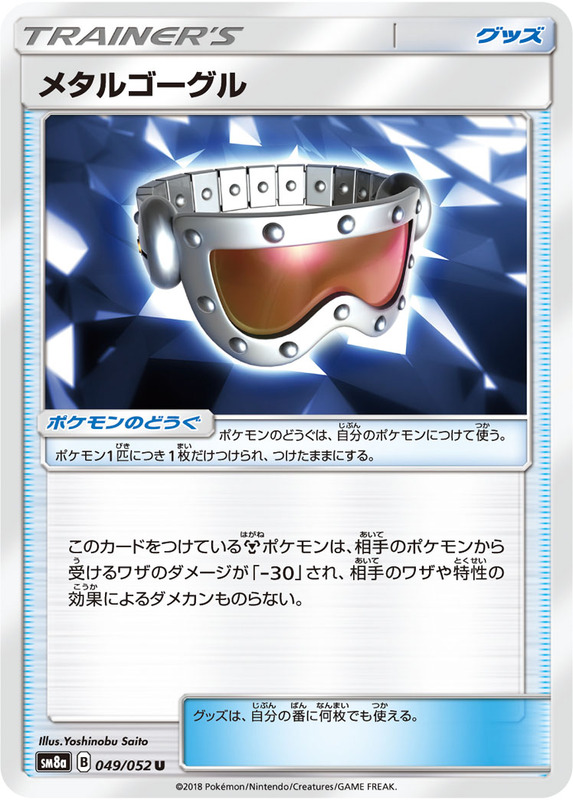 If heads, your opponent can't play Trainer cards from their hand during their next turn. Choose 1 of your opponent's active Pokemon's attacks. That Pokemon can't use the chosen attack during your opponent's next turn. Flip a coin. 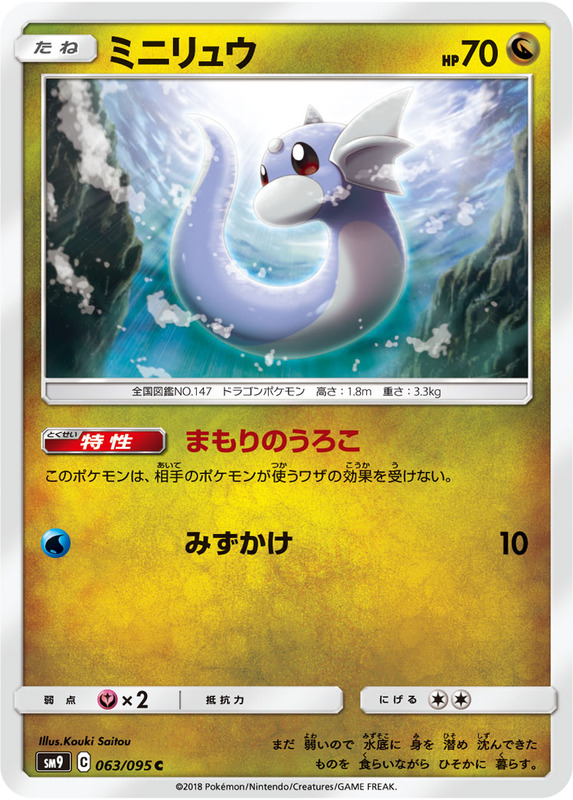 If heads, choose a card from your discard pile which evolves from this Pokemon and evolve this Pokemon into it. Reveal the top 7 cards of your deck. 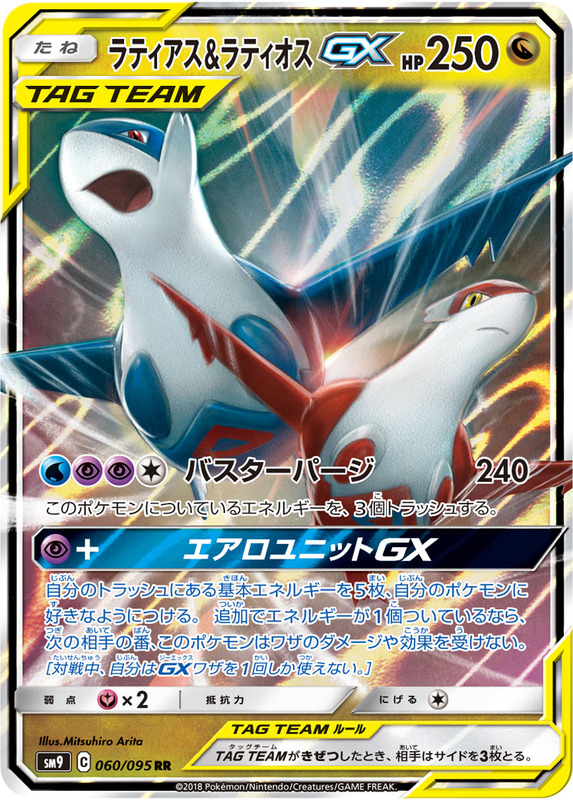 This attack does 30 more damage times the number of [W] Energy cards revealed. 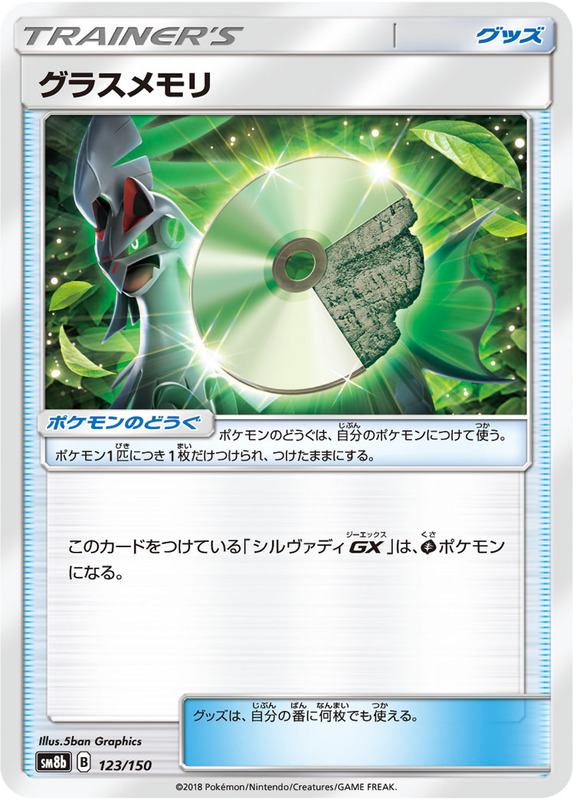 Then, shuffle the [W] Energy cards back into your deck and discard the remaining cards. 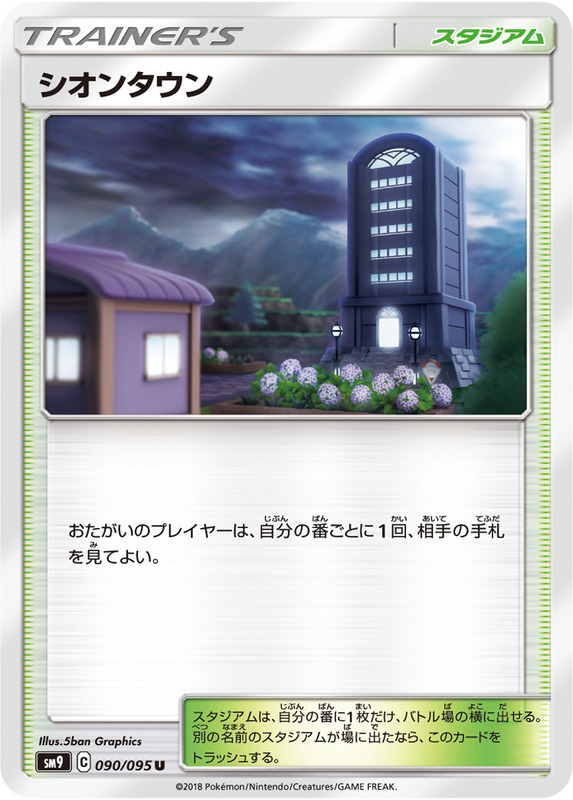 Discard 1 Energy from your opponent's active Pokemon. 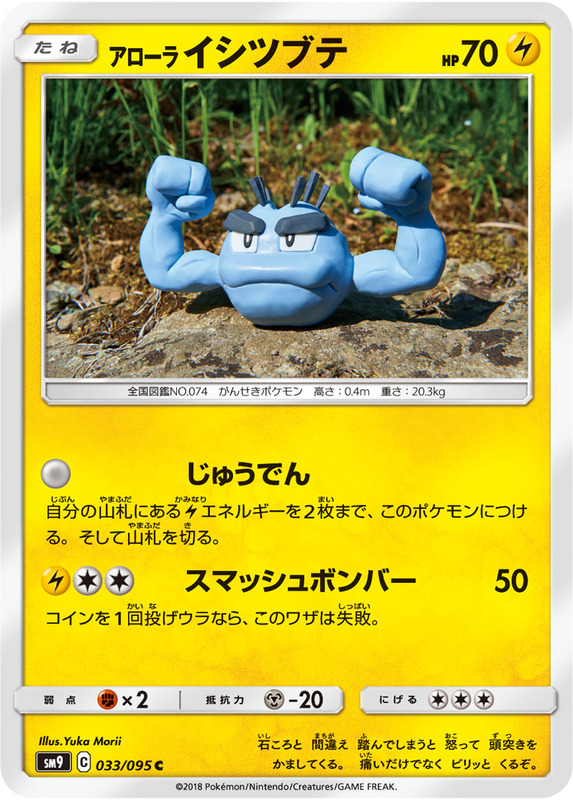 This attack does 30 more damage times the number of [W] Energy attached to this Pokemon. 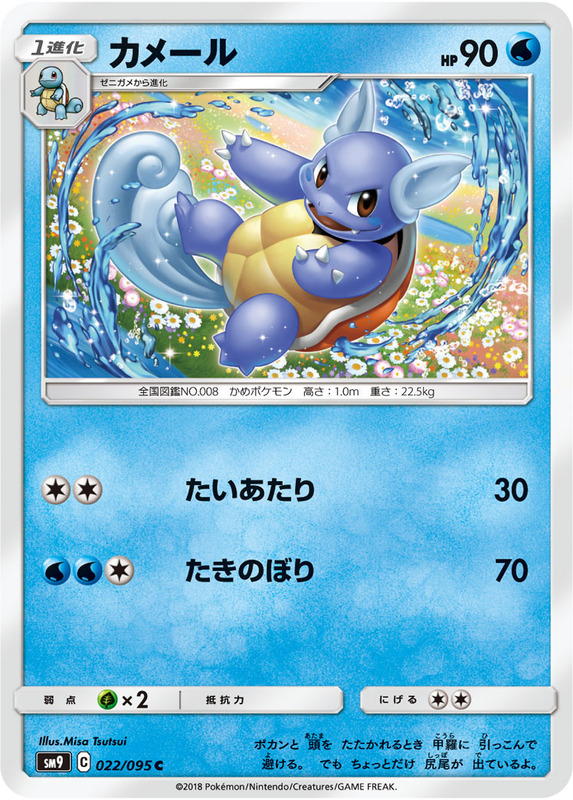 While this is your active Pokemon, whenever your opponent plays a supporter card from their hand, prevent all effects of that card done to your benched [W] Pokemon. 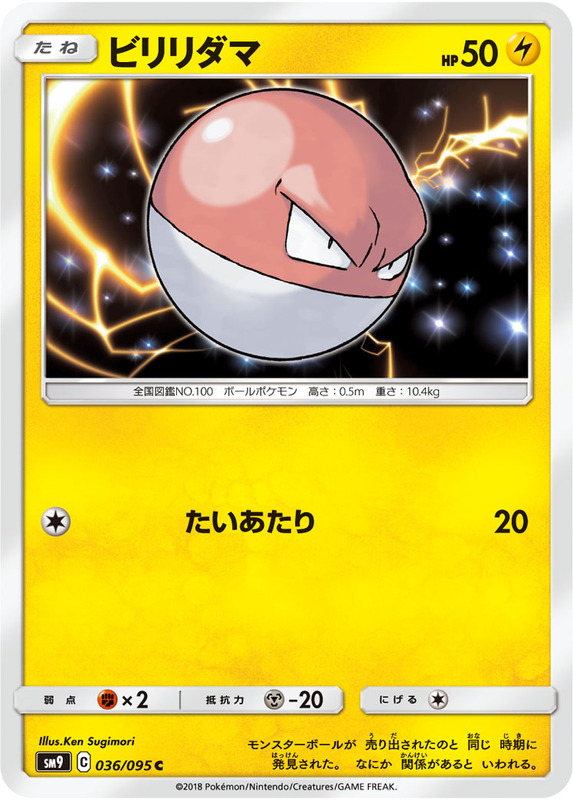 Move 2 [W] Energy from this Pokemon to 1 of your benched Pokemon. 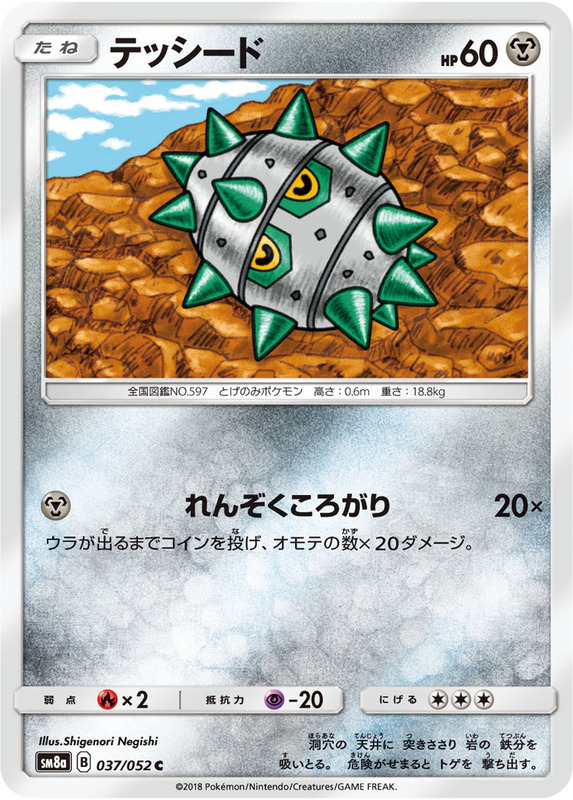 This Pokemon does 60 damage to itself. 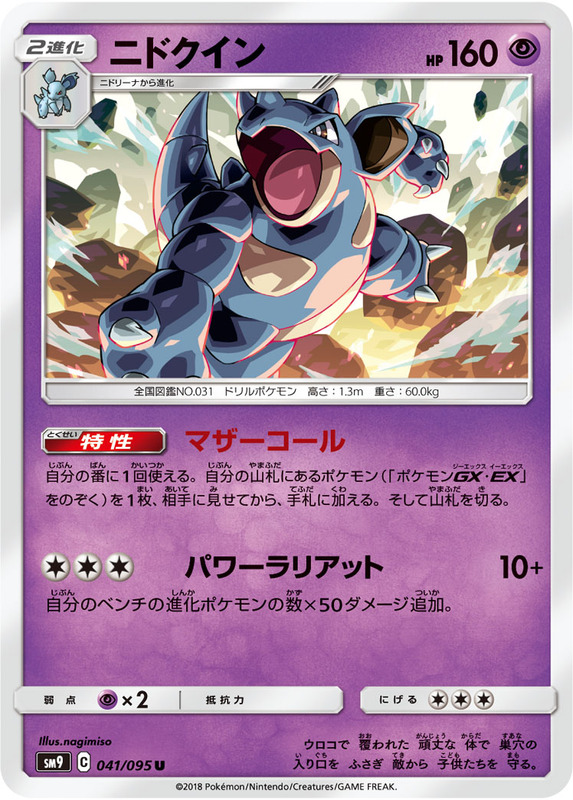 Search your deck for 2 [L] Energy cards and attach them to this Pokemon. Then, shuffle your deck. 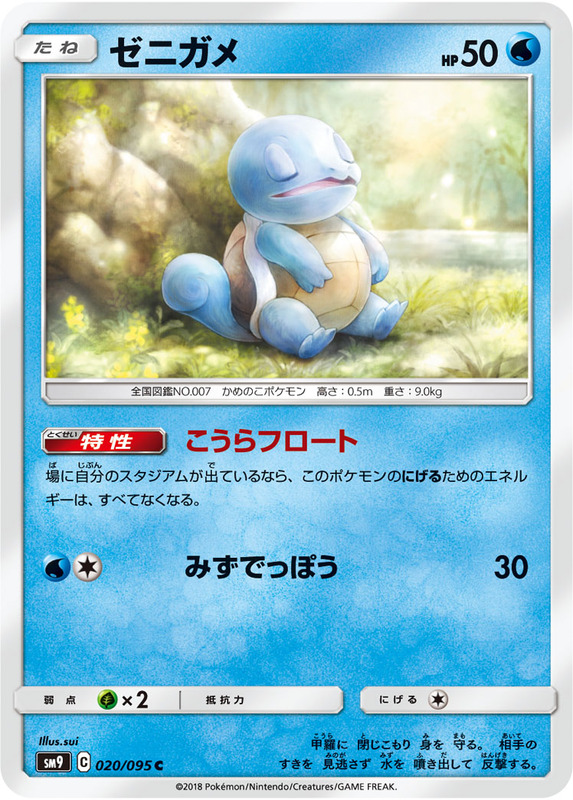 Choose as many [L] Energy from your benched Pokemon as you like and move them to this Pokemon. This attack does 20 damage times the number of cards moved this way. 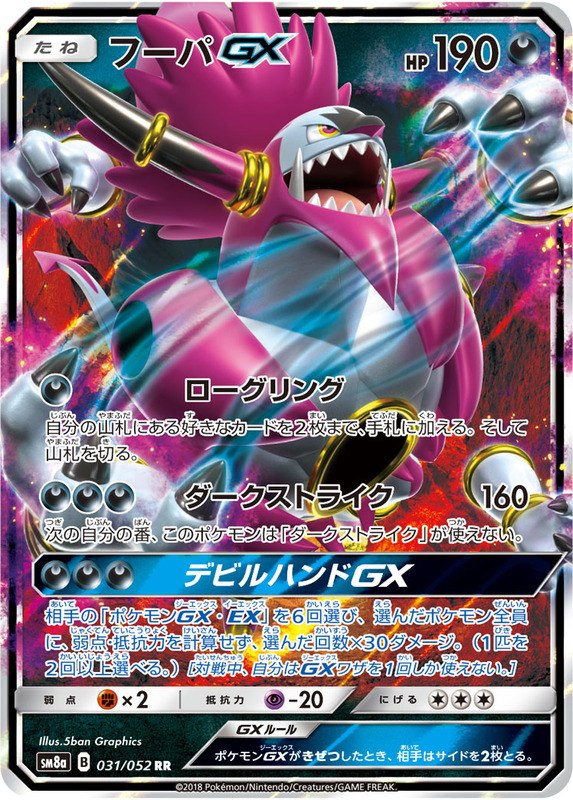 Discard 2 Energy from this Pokemon. 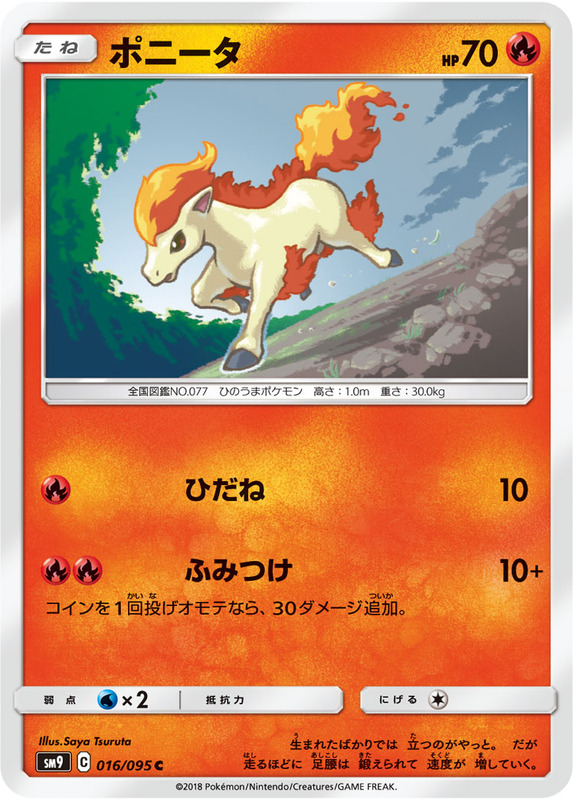 When you play this card from your hand to evolve 1 of your Pokemon during your turn, you may chose as many [L] Energy cards from your Pokemon in play as you like and move them to your Pokemon in any way you like. 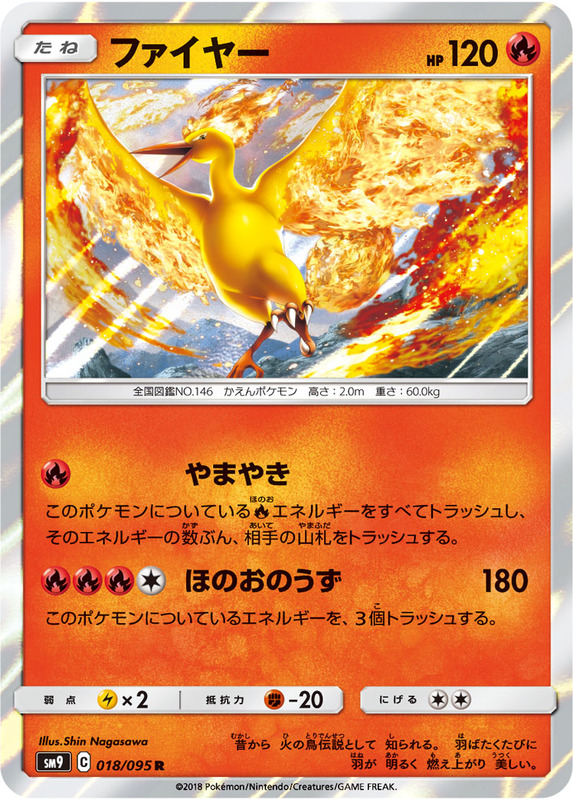 If this Pokemon was on your bench and became your active Pokemon this turn, this attack does 70 more damage. This attack's damage isn't affected by weakness. 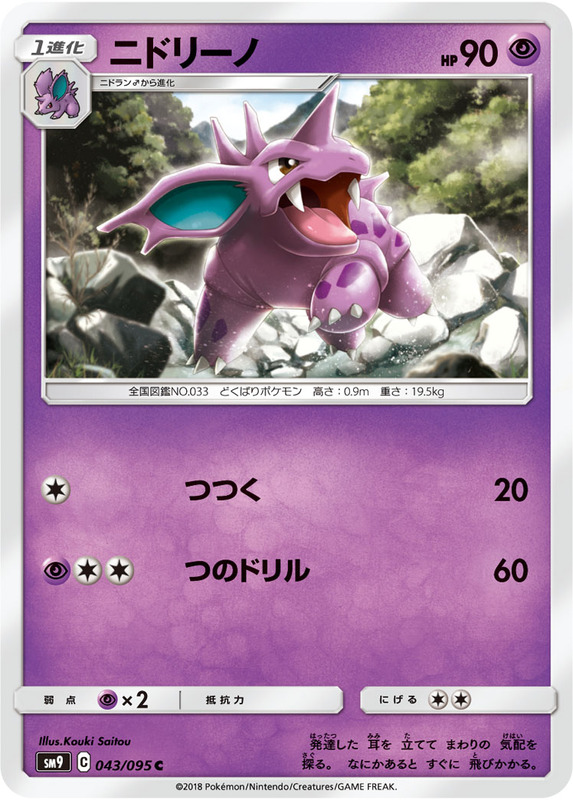 Discard all [L] Energy from this Pokemon. Put all of your 'Electripower' from your discard pile into your hand. 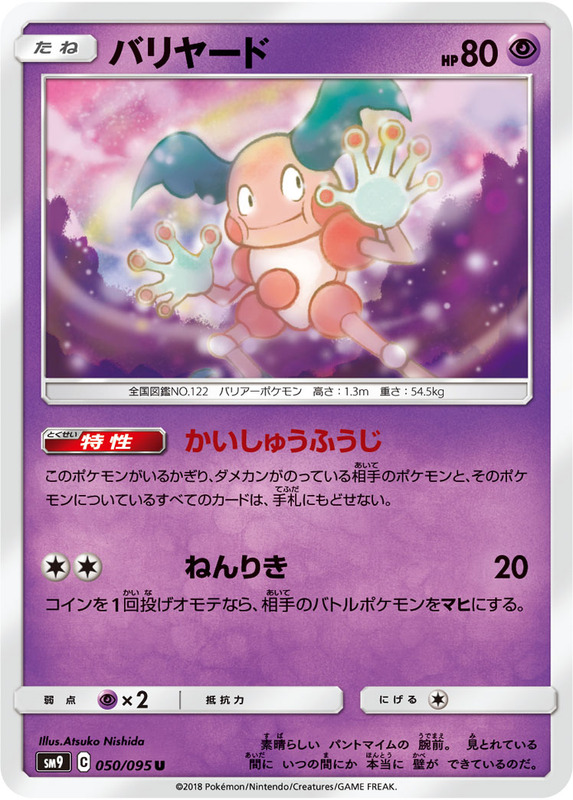 Search your deck for 7 pokemon, reveal them to your opponent and put them into your hand. Then, shuffle your deck. 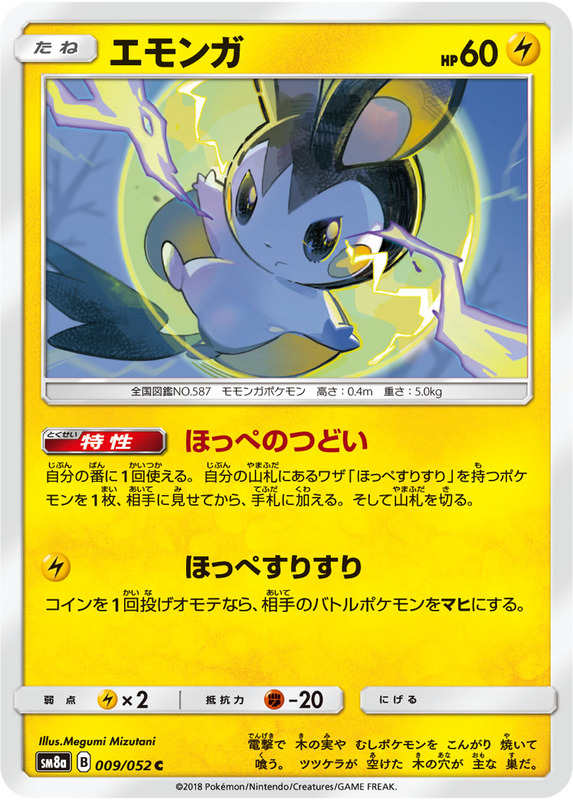 Search your deck for 2 'Electripower', reveal them and put them into your hand. Then, shuffle your deck. If this Pokemon evolved from Blitzle this turn, this attack does 90 more damage. 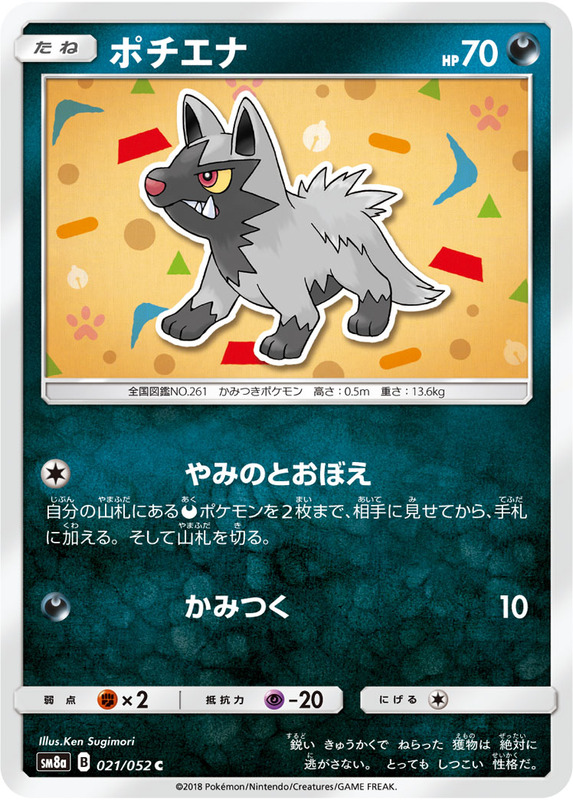 Once during your turn, you may search your deck for a Pokemon with an attack called 'Nuzzle', reveal it and put it into your hand. Then, shuffle your deck. Heal from this Pokemon the same amount of damage you did to the defending Pokemon. 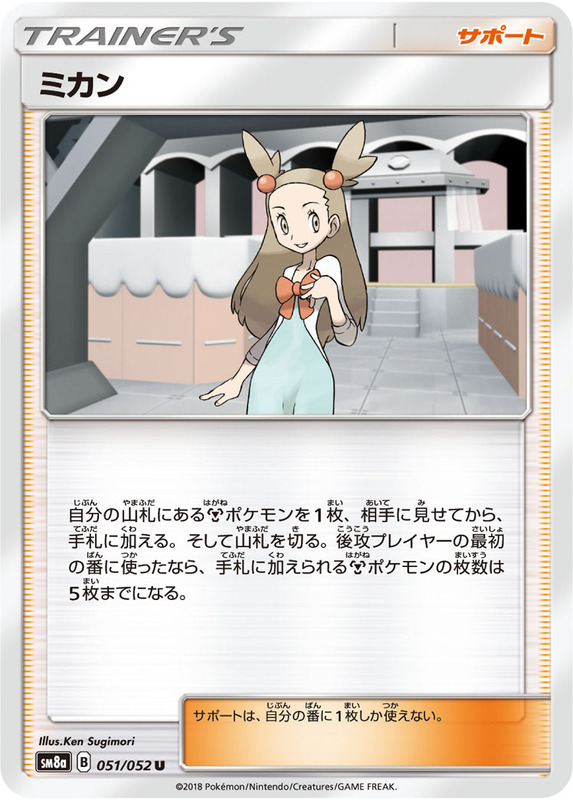 If you opponent playes an item or a supporter card from their hand, prevent all effects of that card done to this Pokemon. 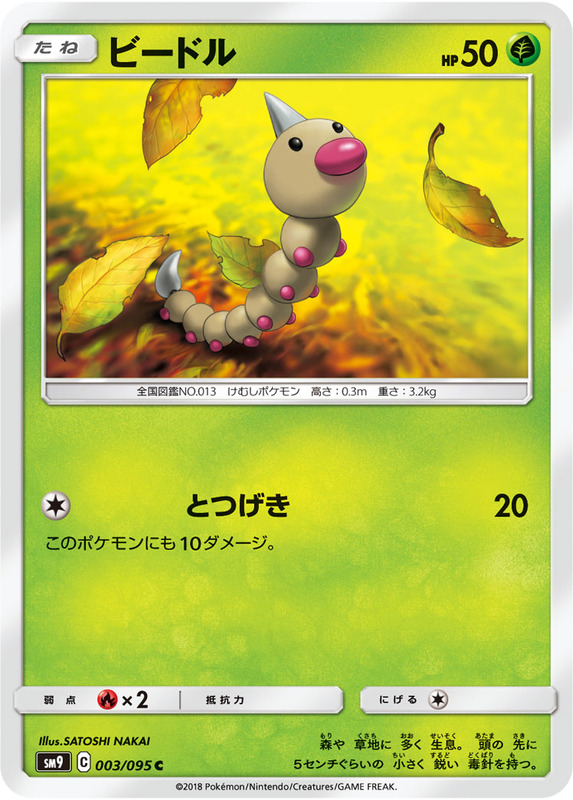 Switch this Pokemon with 1 of your benched [L] Pokemon. Your opponent can't play any cards from their hand during their next turn. 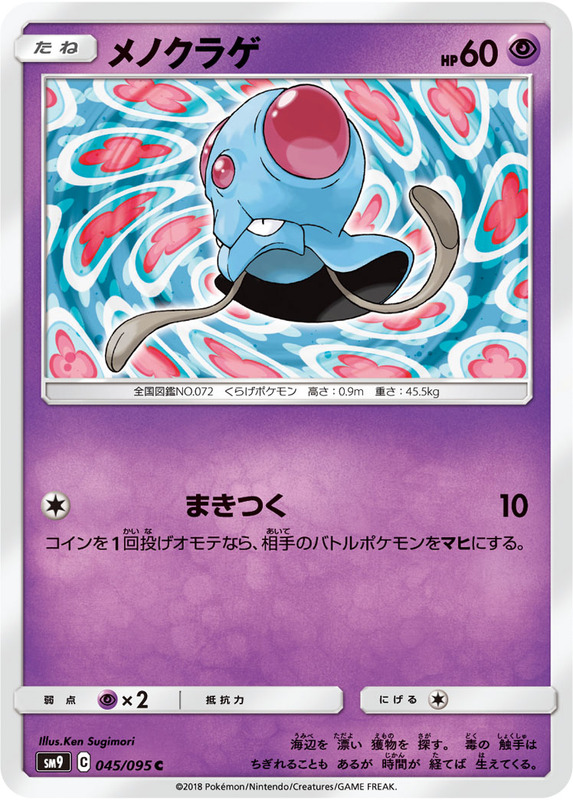 If this Pokemon has 1 extra [P] Energy attached to it (in addition to this attack's cost), each player draws cards until they have 7 hand cards. 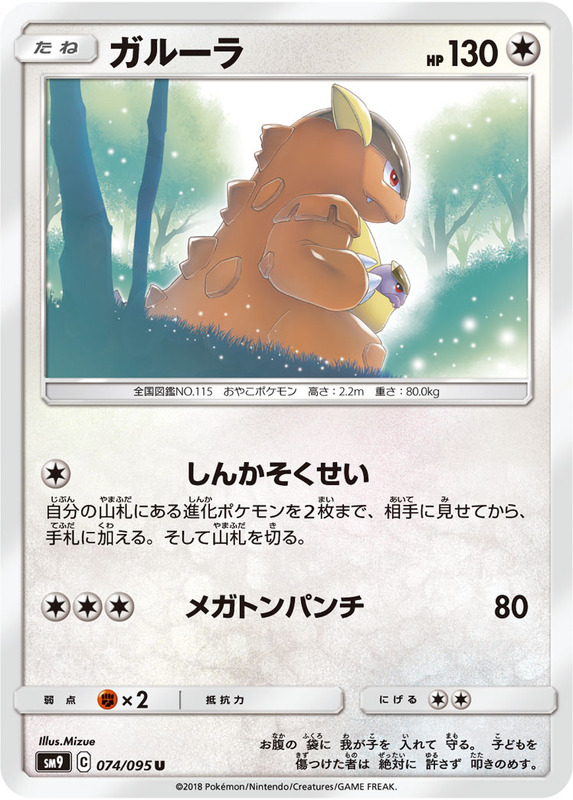 Search your deck for 1 basic Pokemon and put it onto your bench. Then, shuffle your deck. 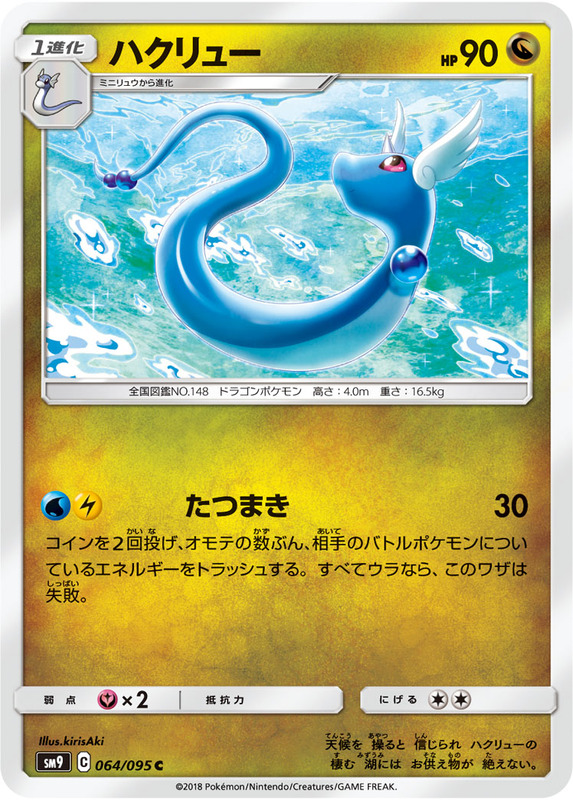 Shuffle 5 [P] Pokemon from your discard pile into your deck. This attack does 50 more damage times the number of evolution Pokemon on your bench. Choose 1 of your opponent's benched Pokemon and switch it with their active Pokemon. 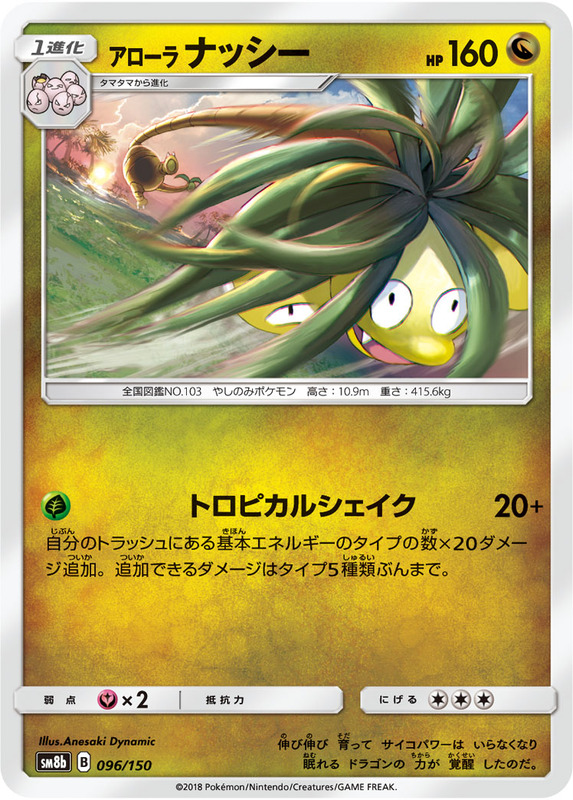 Then, this attack does 50 damage to your opponent's active Pokemon. 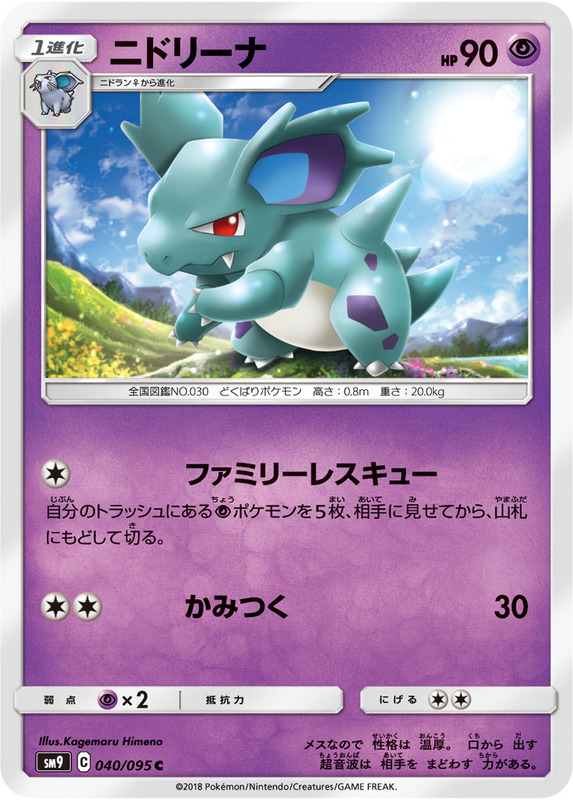 If you have Nidoqueen on your bench, this attack does 100 more damage. 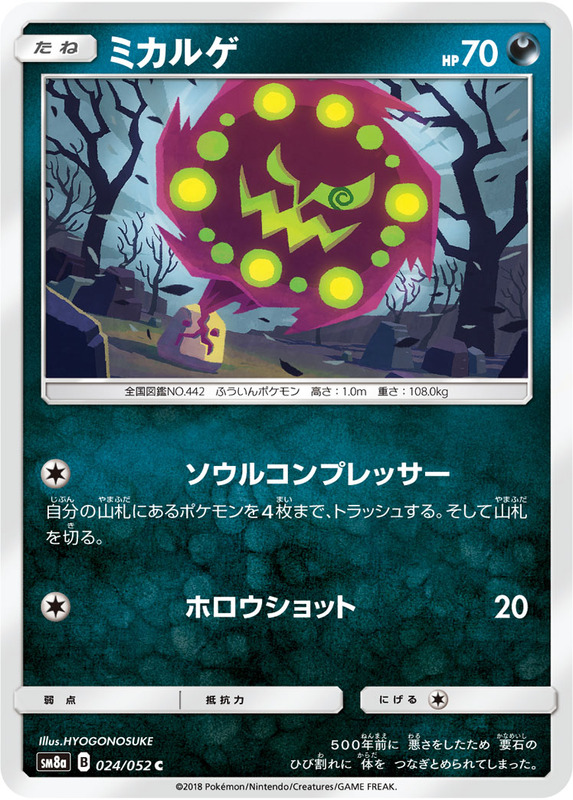 Your opponent's active Pokemon is now poisoned and confused. 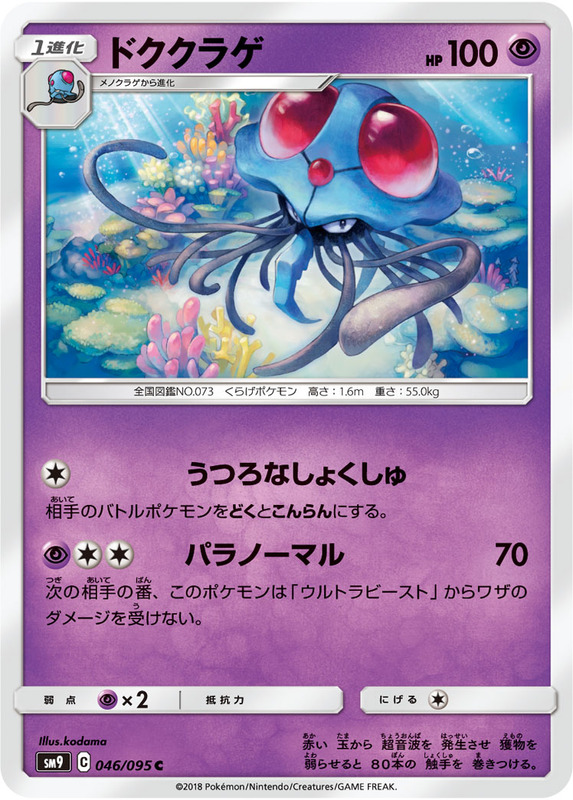 During your opponent's next turn, prevent all damage of attacks done to this Pokemon by your opponent's Ultra Beasts. 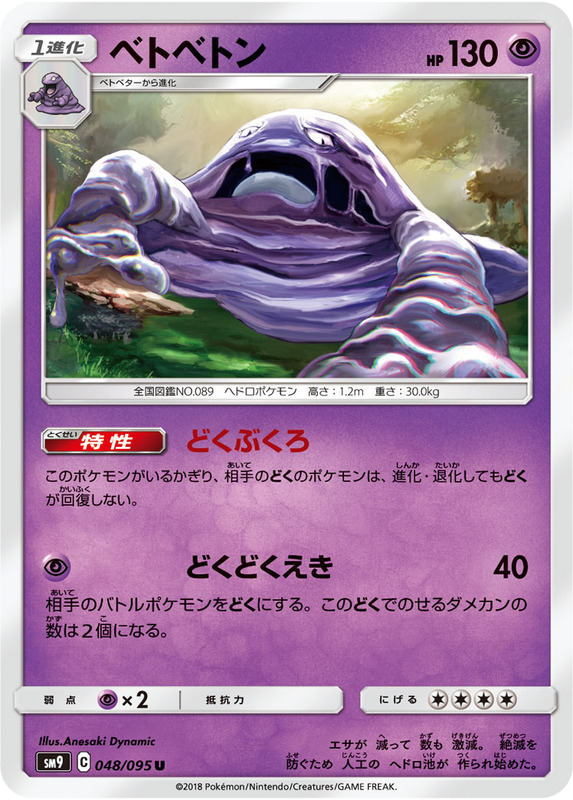 Don't remove the special condition poison from your opponent's Pokemon when they evolve or devolve. 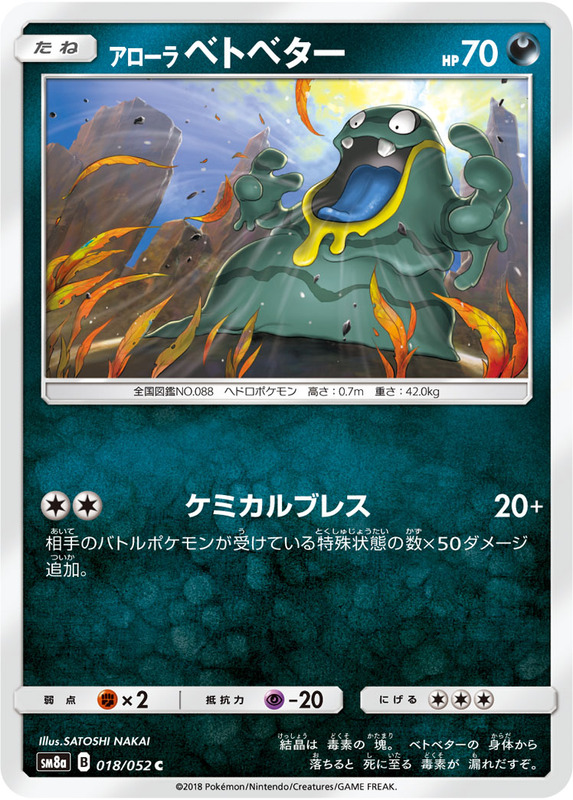 Your opponent's active Pokemon is now poisoned. Put 2 damage counters instead of 1 for this condition. 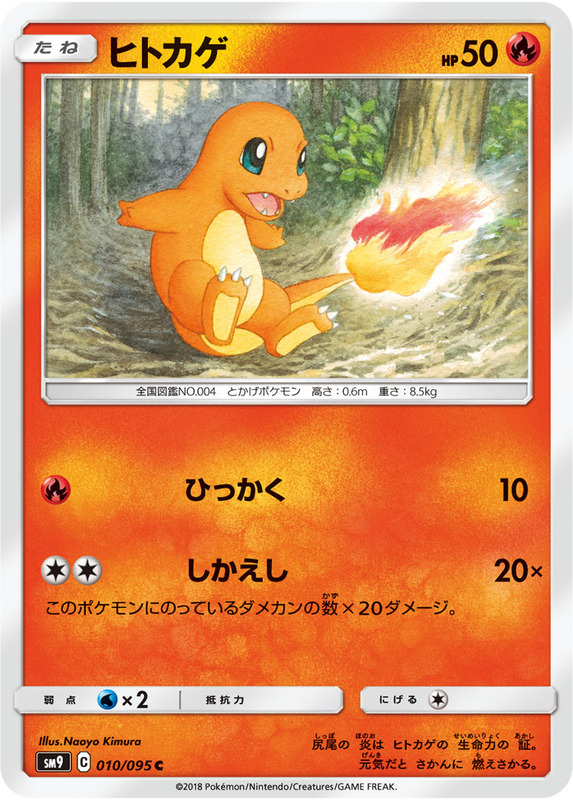 Search your deck for 2 basic Energy cards and attach them to your Pokemon in any way you like. Then, shuffle your deck. 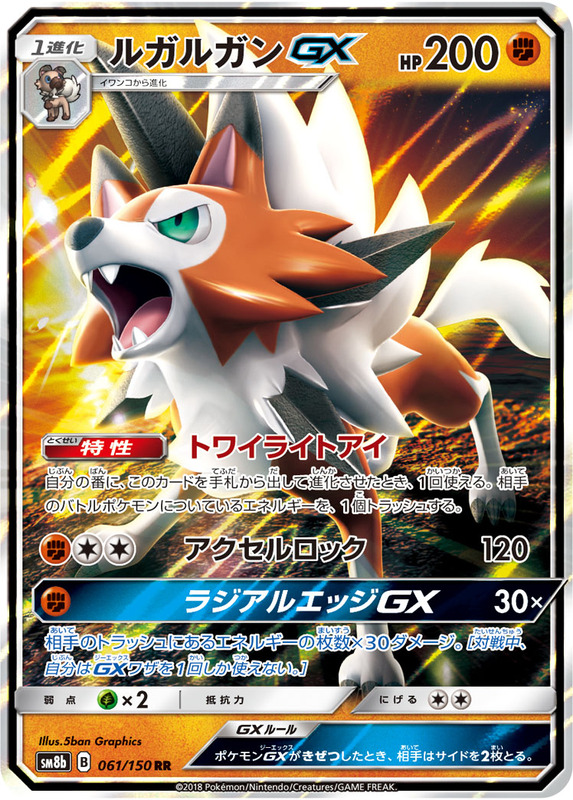 This attack does 20 damage for each of your Pokemon in play that has Alolan in its name. 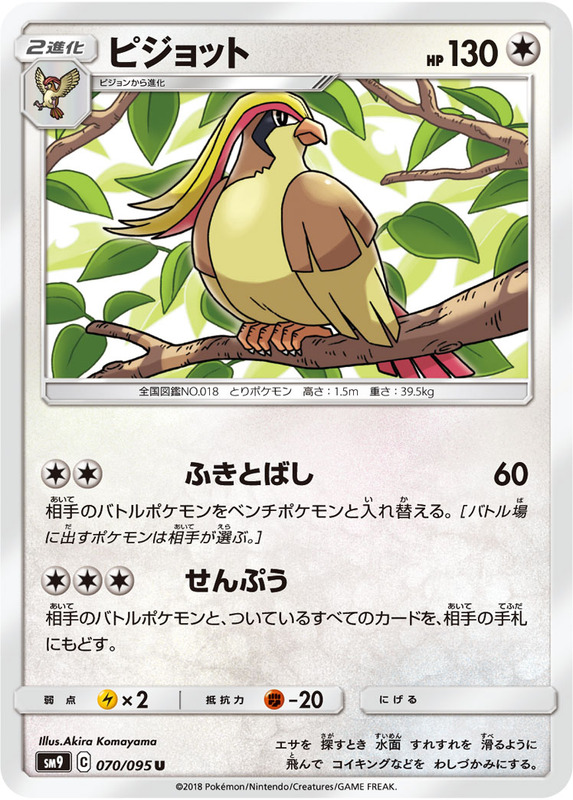 Search your deck for 3 [W] or [P] Energy cards and attach them to 1 of your benched Pokemon. Then, shuffle your deck. 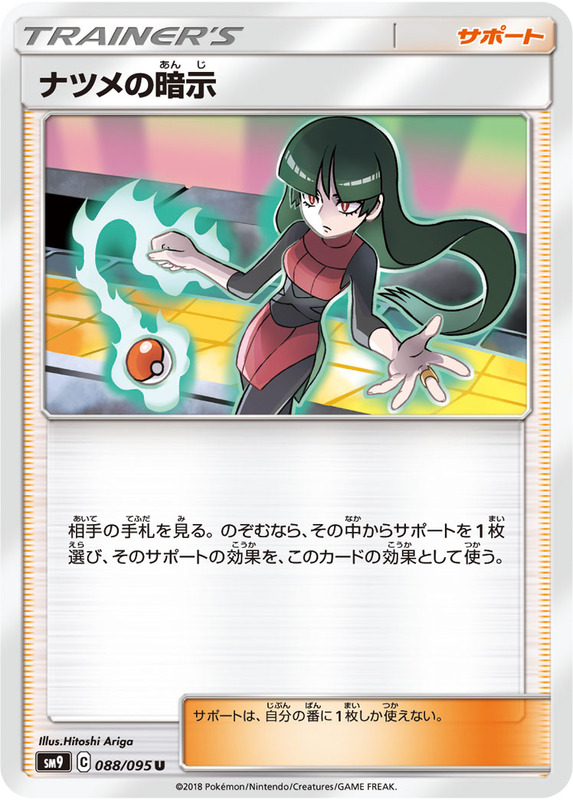 Your opponent can't return any Pokemon with damage counters on them or any cards attached to these Pokemon to their hand. 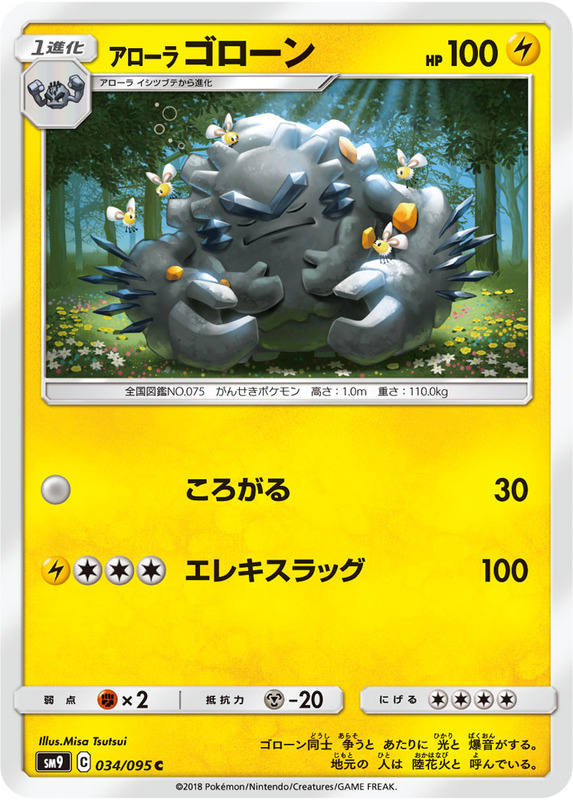 If this Pokemon gets damaged by an opponent's Pokemon's attack, if that damage is either 10, 30, 50, 70, 90, 110, 130, 150, 170, 190, 210, 230 or 250, prevent that damage. 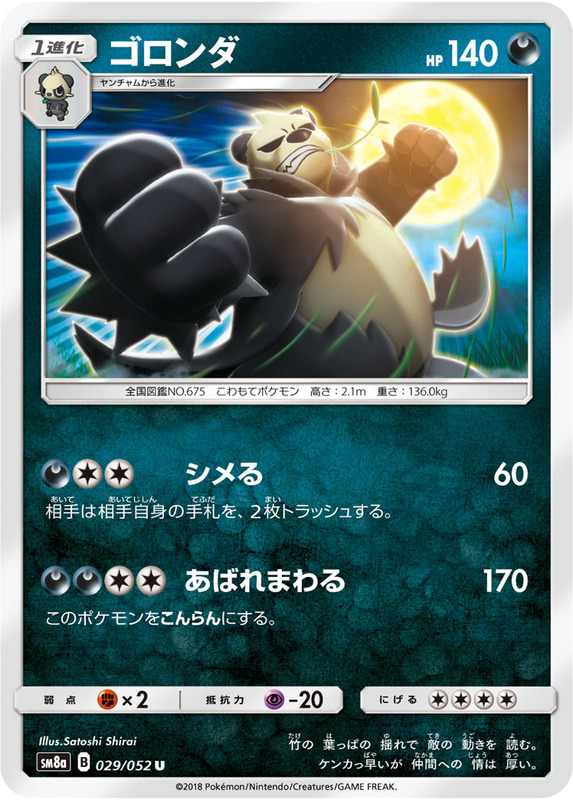 Put a damage counter on your opponent's active Pokemon for each of your opponent's hand cards. 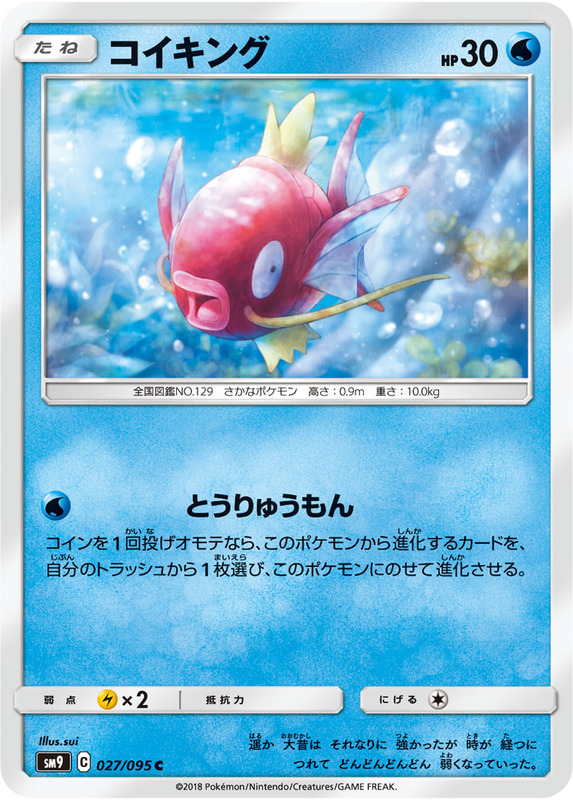 Heal all damage from this Pokemon. 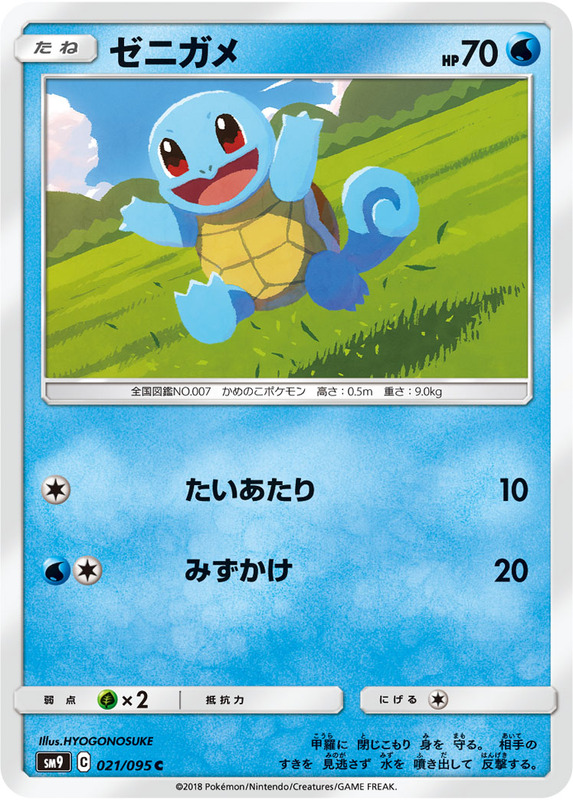 Put damage counters equal to the number of your opponent's benched Pokemon on your opponent's Pokemon in any way you like. 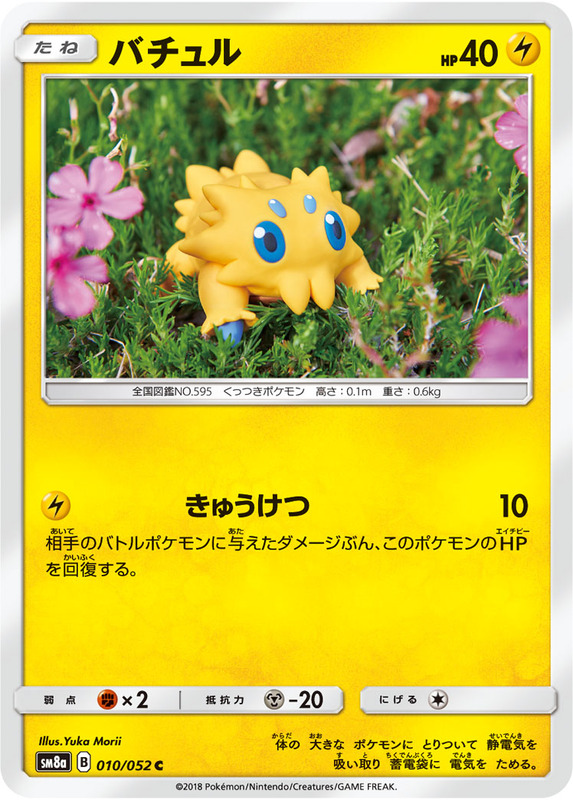 While this Pokemon is on your bench, prevent all damage done to this Pokemon by attacks. If there is a Stadium in play, this attack does 80 more damage. Then, discard the Stadium. 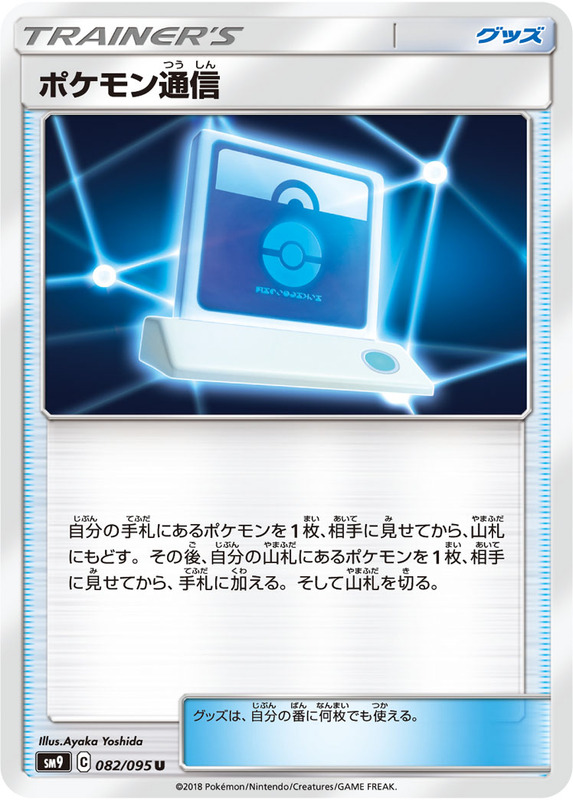 If you have less Pokemon in play than your opponent, your opponent can't play Item cards form their hand. 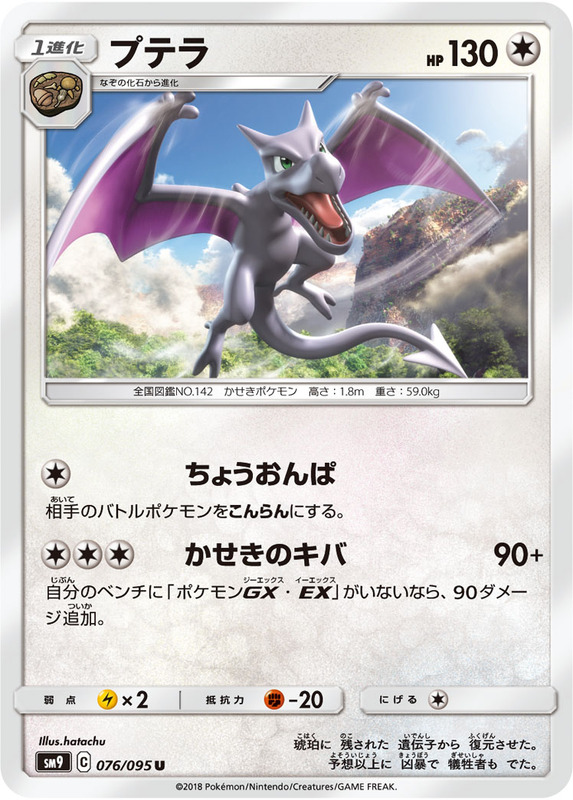 During your opponent's next turn, this Pokemon takes 20 less damage from attacks. 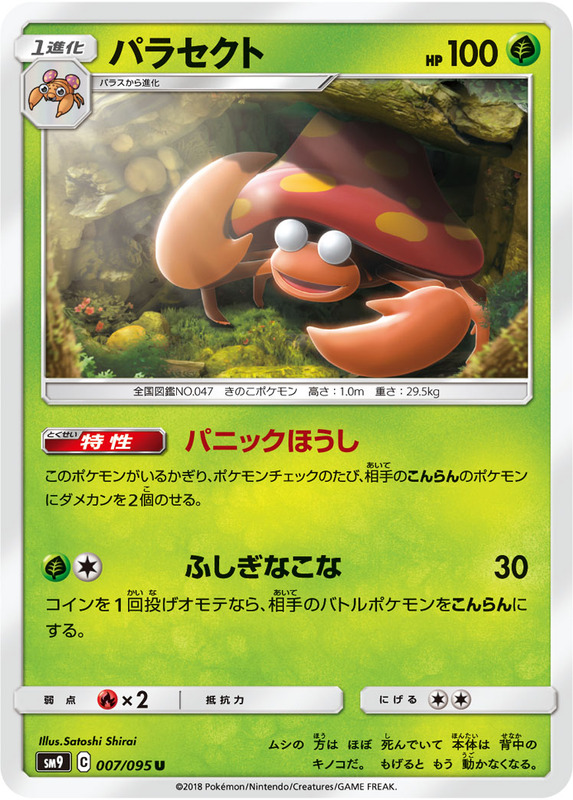 While this Pokemon is your active Pokemon, your opponent can't play Supporter cards from their hand. 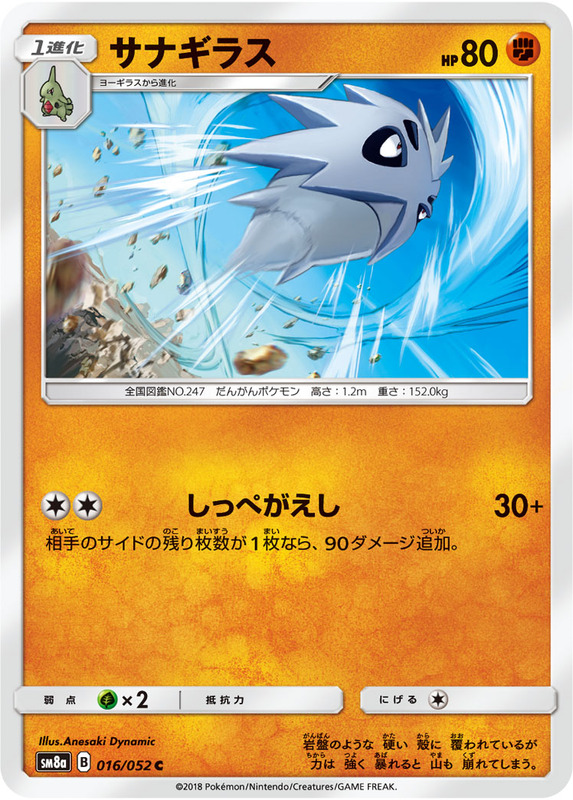 This attack's damage is not affected by any effects on your opponent's active Pokemon. If your opponent has exactly 1 remaining prize card, this attack does 90 more damage. Flip a coin. If tails, this attack does nothing. 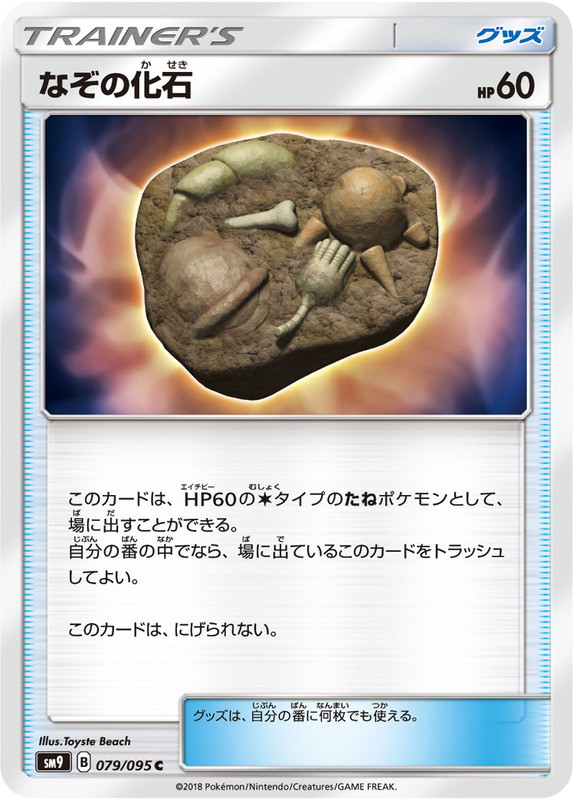 If heads, discard an Energy from your opponent's active Pokemon. 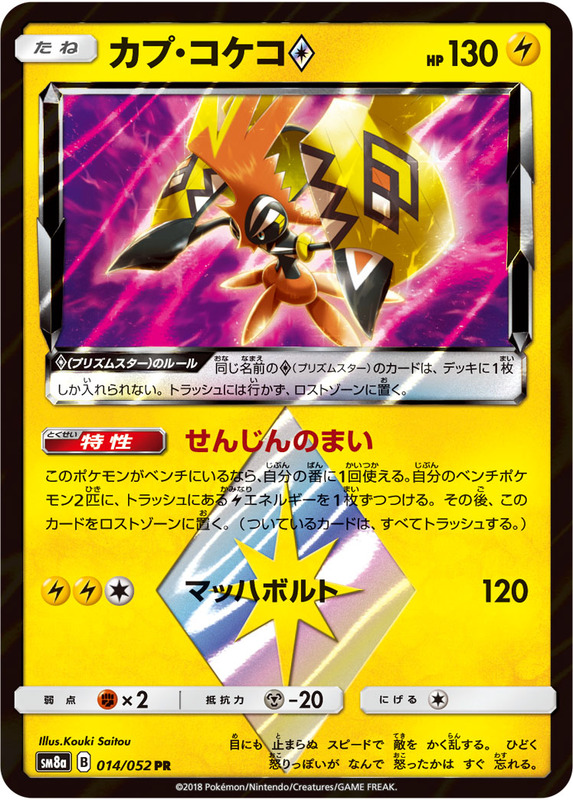 When you play this Pokemon form your hand to evolve 1 of your Pokemon, you may discard 1 Energy from your opponent's active Pokemon. 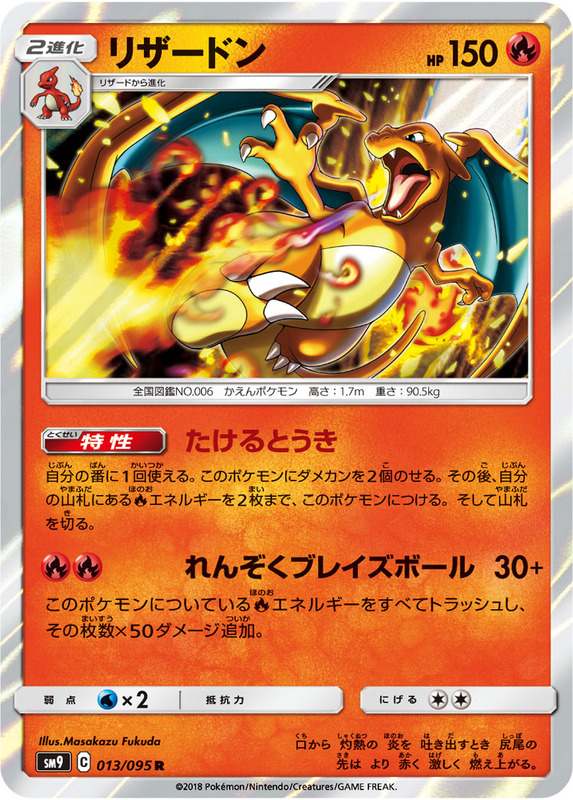 This attack does 30 damage times the number of Energy cards in your opponent's discard pile. 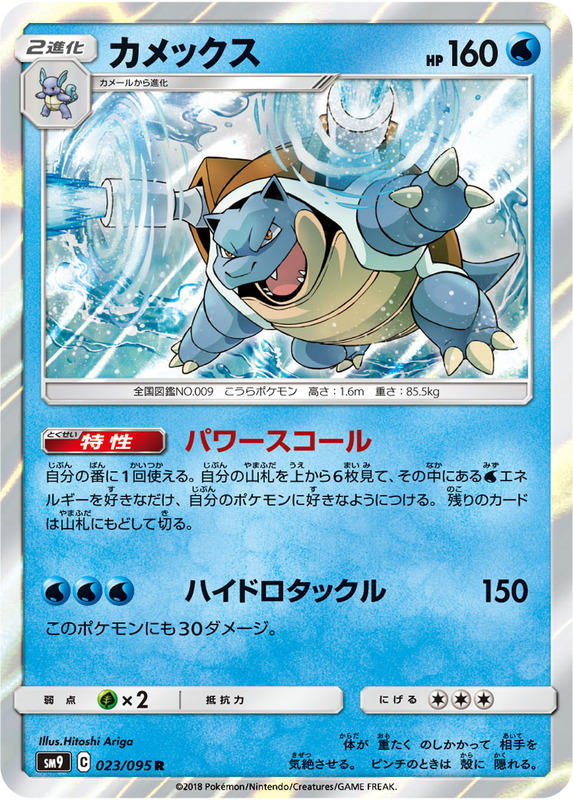 This attack does 50 more damage times the number of special conditions on your opponent's active Pokemon. 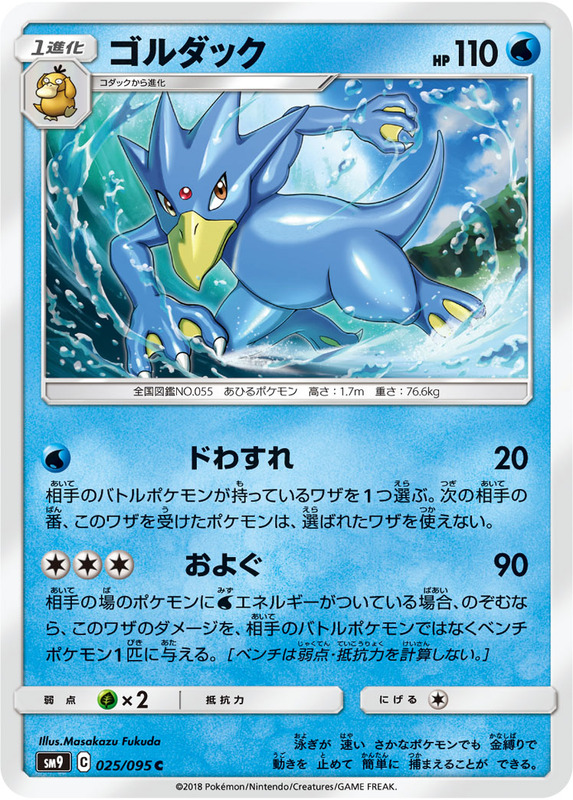 When you play this Pokemon from your hand to evolve 1 of your Pokemon during your turn you may look at the top 6 cards of your opponent's deck and discard as many item cards you find there as your like. Shuffle the remaining cards back into your opponent's deck. 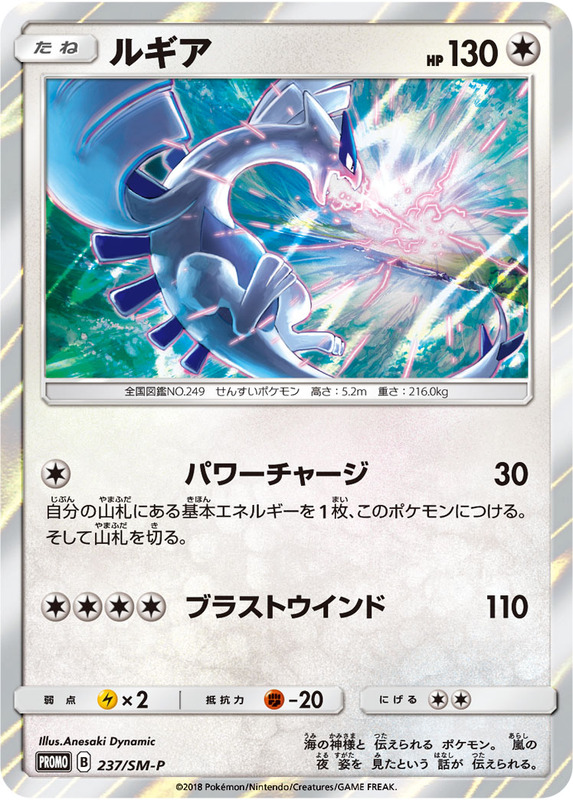 If your opponent's active Pokemon is a Pokemon-EX-GX, this attack does 100 more damage. 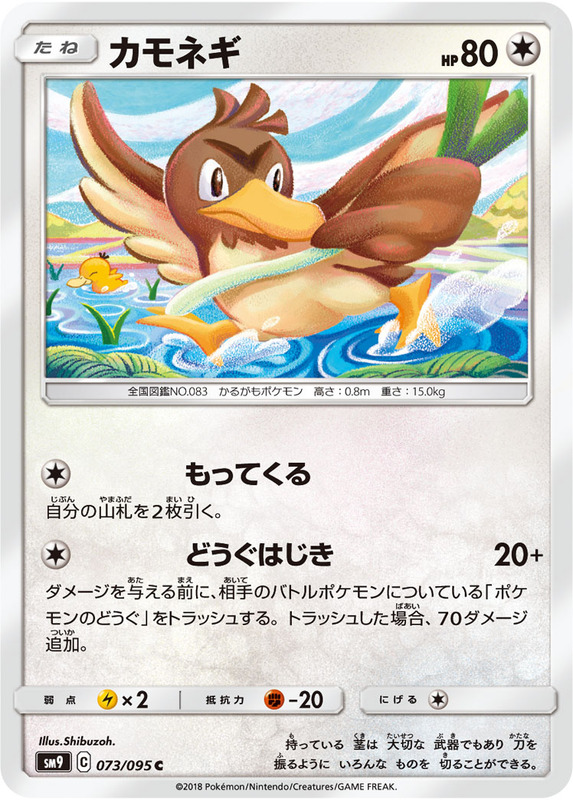 Search your deck for 2 [D] Pokemon, reveal them and put them into your hand. Then, shuffle your deck. 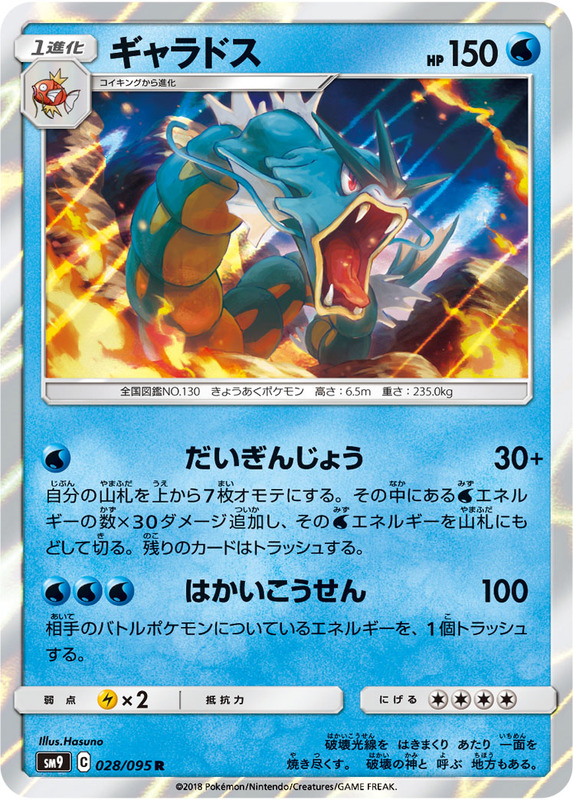 Your opponent's active basic Pokemon have 1 more retreat cost. 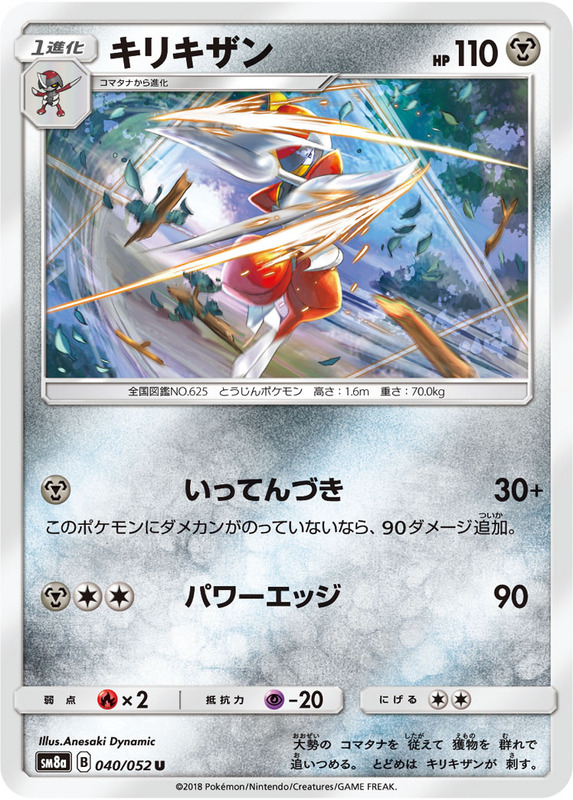 This attack does 30 more damage times your opponent's active Pokemon's retreat cost. 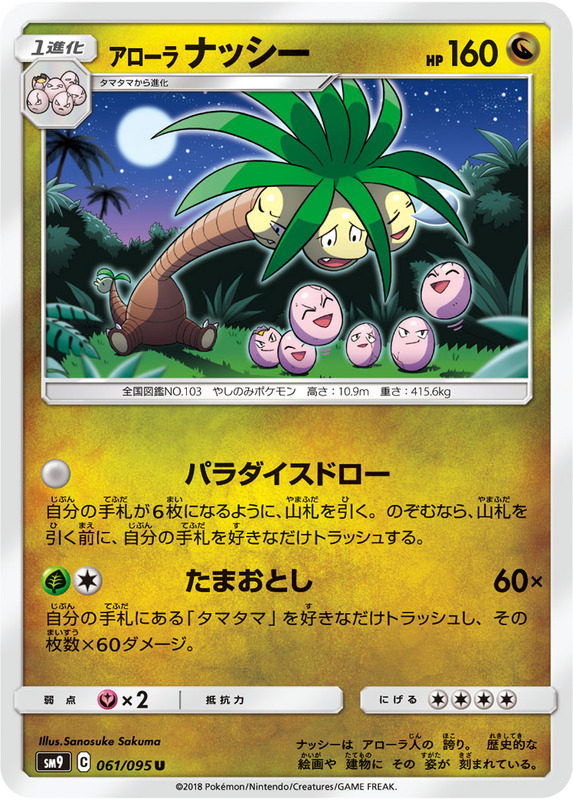 Search your deck for 4 Pokemon and discard them. Then, shuffle your deck. 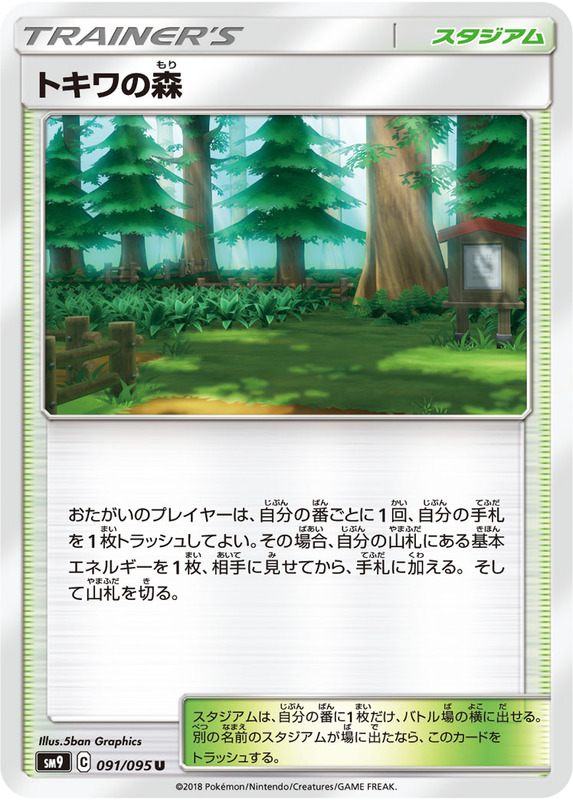 Switch 1 of your opponent's benched Pokemon with your opponent's active Pokemon. 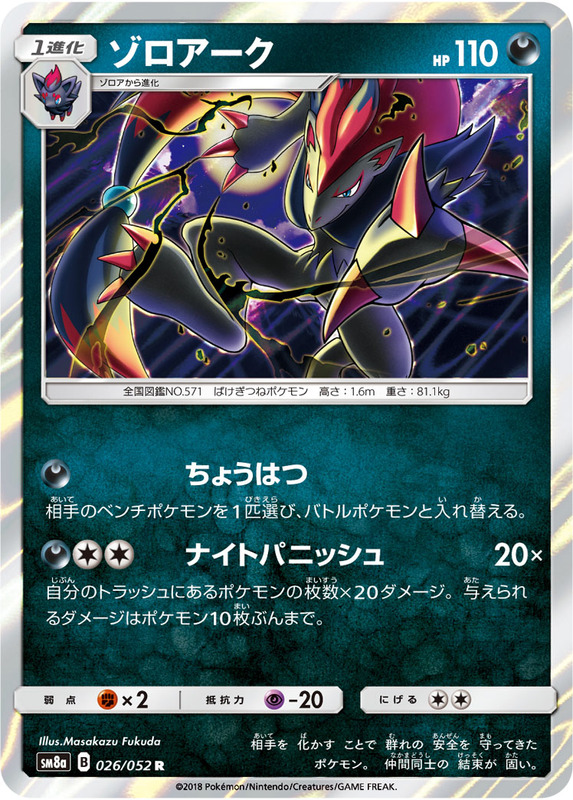 This attack does 20 damage times the number of Pokemon in your discard pile. You can't do more than 200 damage this way. 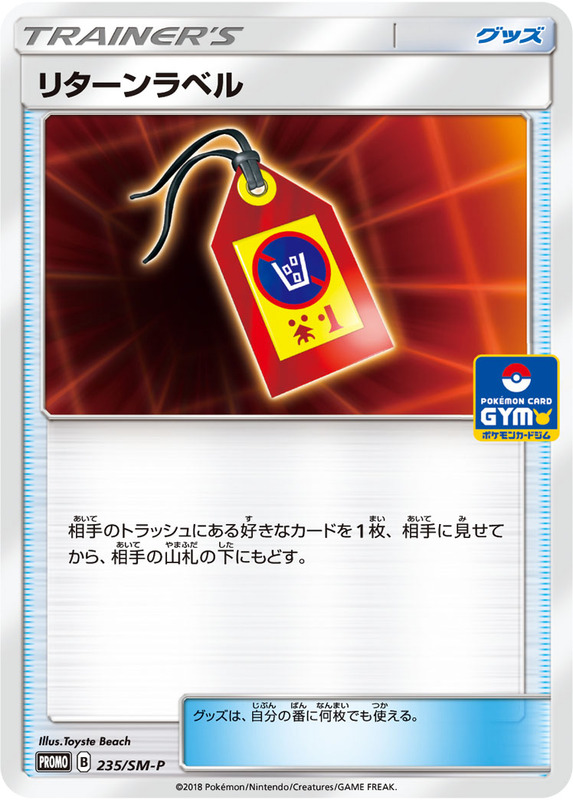 Discard an item card from your hand. 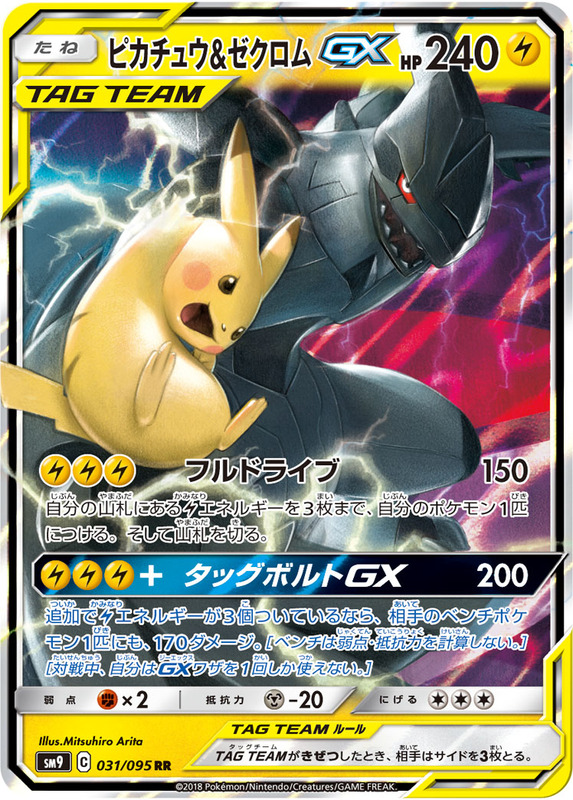 If you do, this attack does 60 damage to 1 of your opponent's Pokemon. Don't apply weakness or resistance for this attack. Your opponent discards 2 cards from their hand. This Pokemon is now confused. 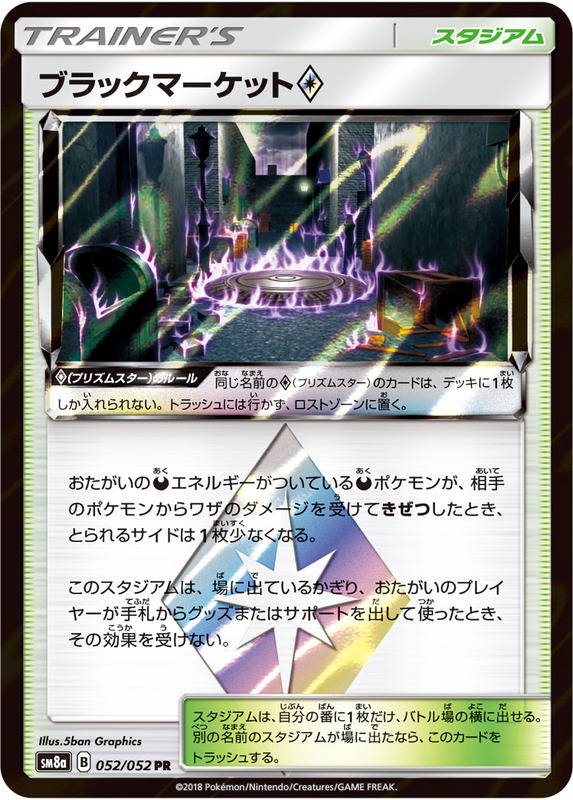 Discard a special Energy from your opponent's active Pokemon. 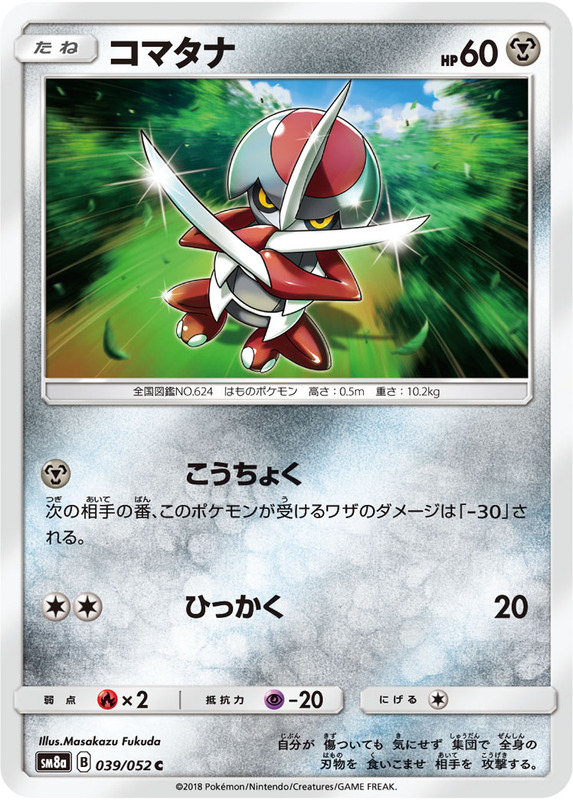 The defending Pokemon can't retreat during your opponent’s next turn. Search your deck for any 2 cards, reveal them and put them into your hand. Then, shuffle your deck. 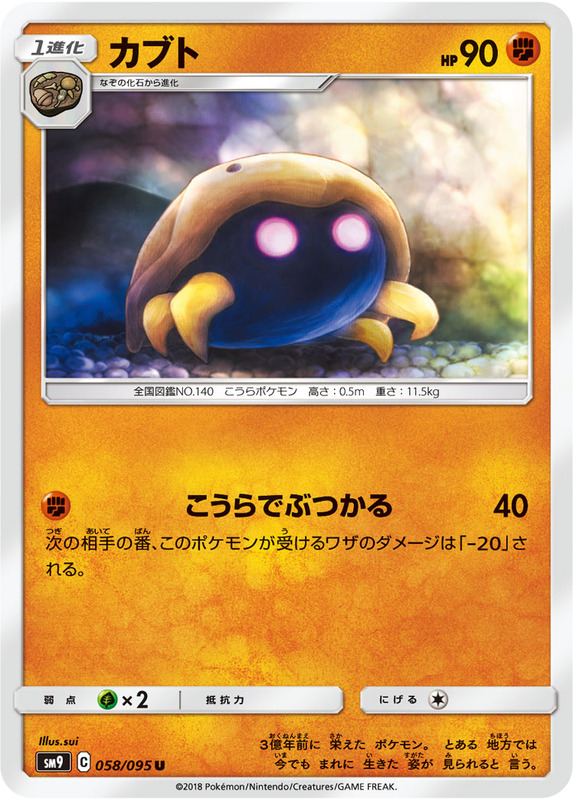 This Pokemon can't use Dark Strike during your next turn. 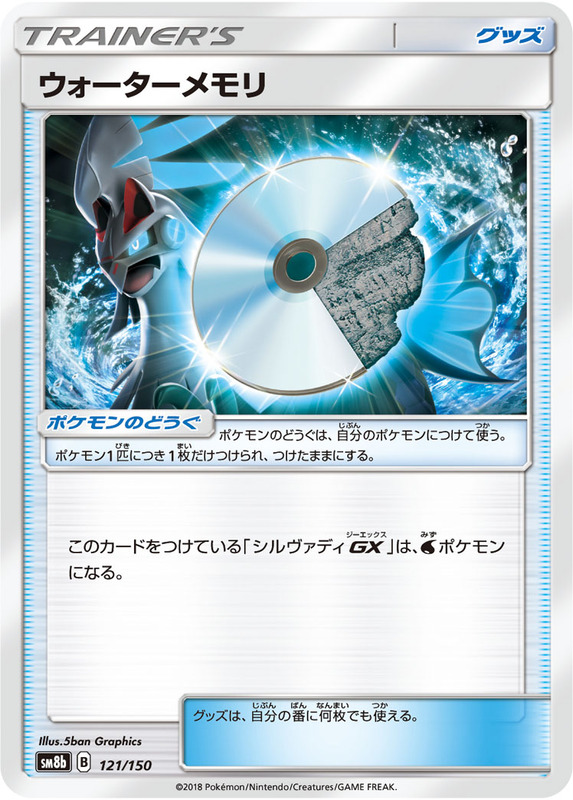 Choose your opponent's Pokemon-EX-GX 6 times. 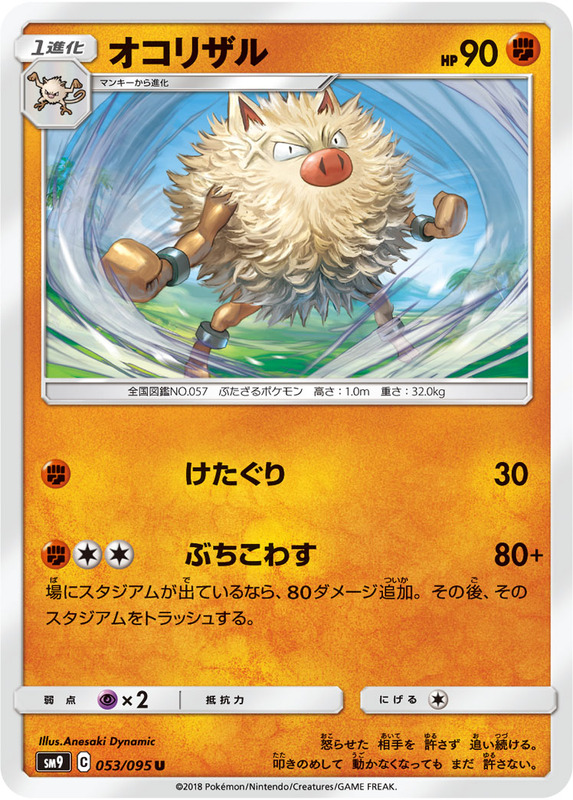 This attack does 30 damage times to the number of times you've chosen the Pokemon, to each Pokemon chosen. This attack's damage is not affected by weakness or resistance. 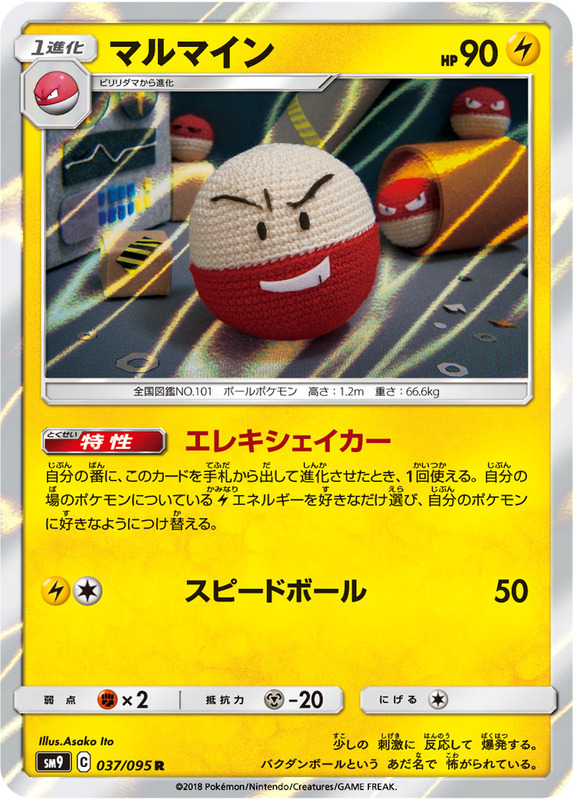 Once during your turn, you may put 3 damage counters on this Pokemon. 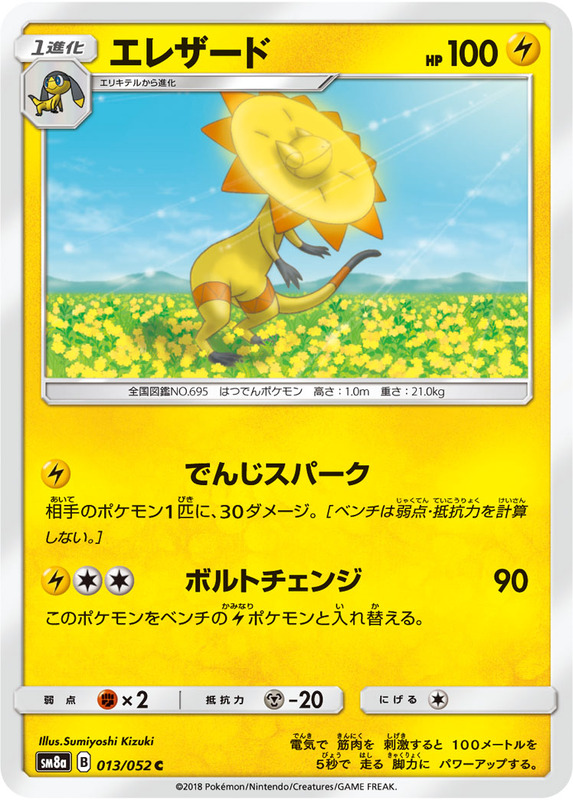 If you did, search your deck for 3 [D] Energy cards and attach them to this Pokemon. Then, shuffle your deck. 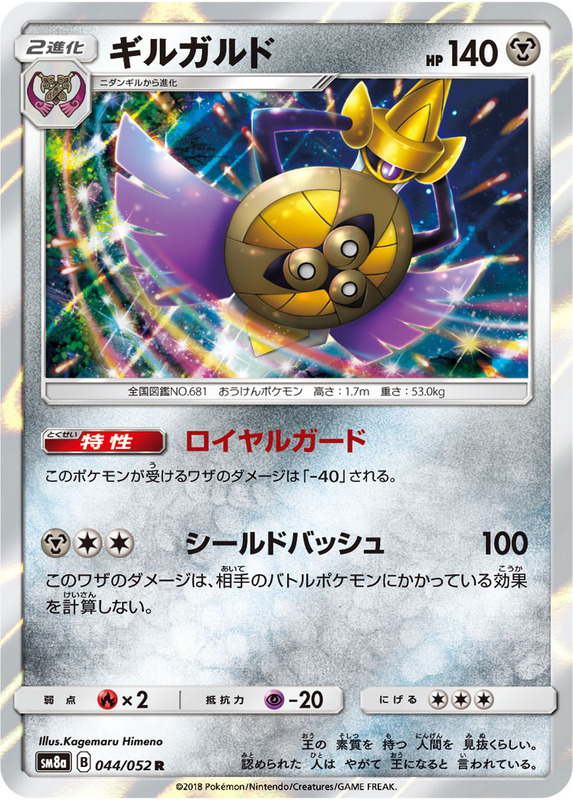 Discard 1 special Energy from your opponent's active Pokemon. 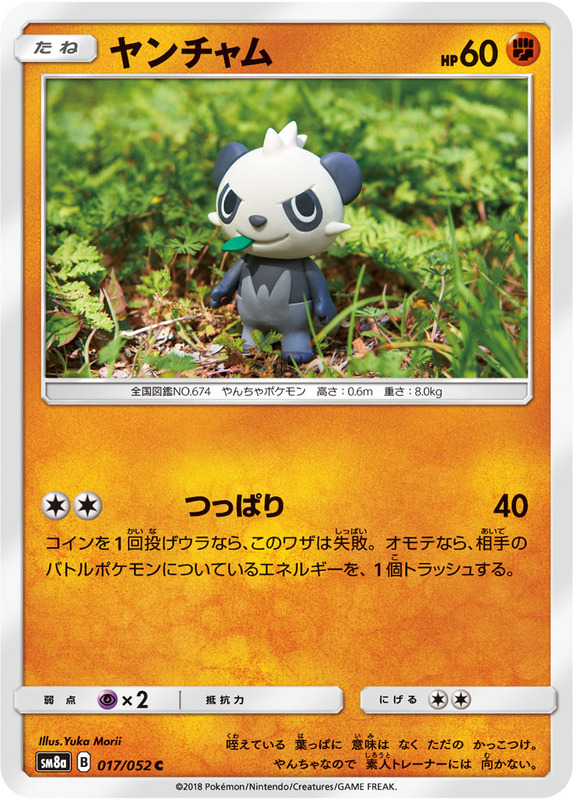 This attack does 50 more damage times the number of damage counters on this Pokemon. 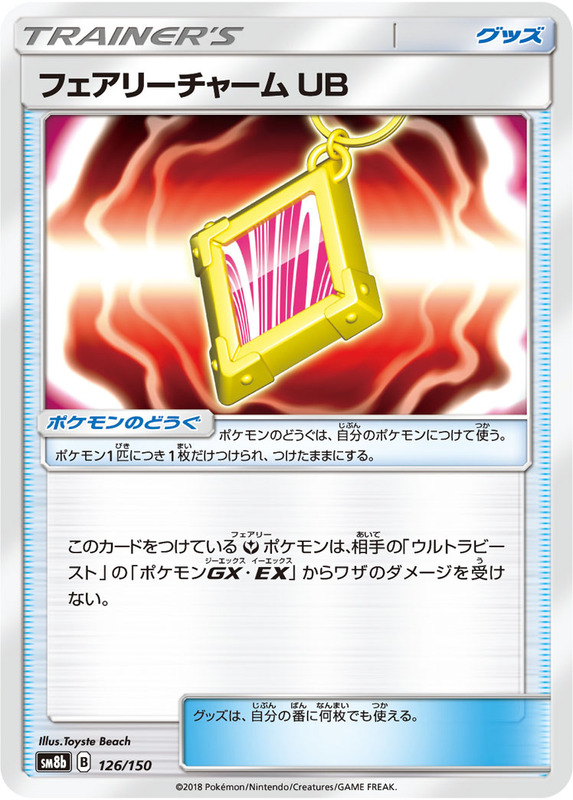 If you already used your GX-attack, this attack does 70 more damage. 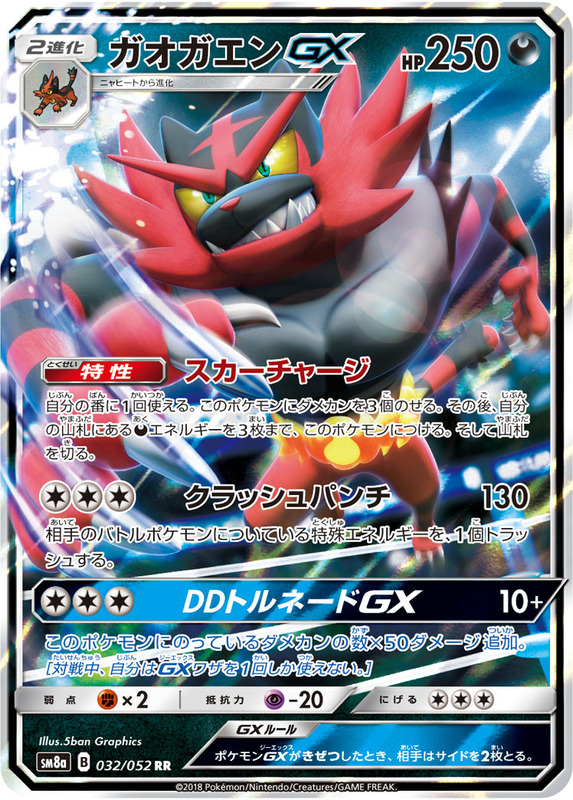 During your opponent’s next turn, any damage done to this Pokemon by attacks is reduced by 30 (after applying weakness and resistance). 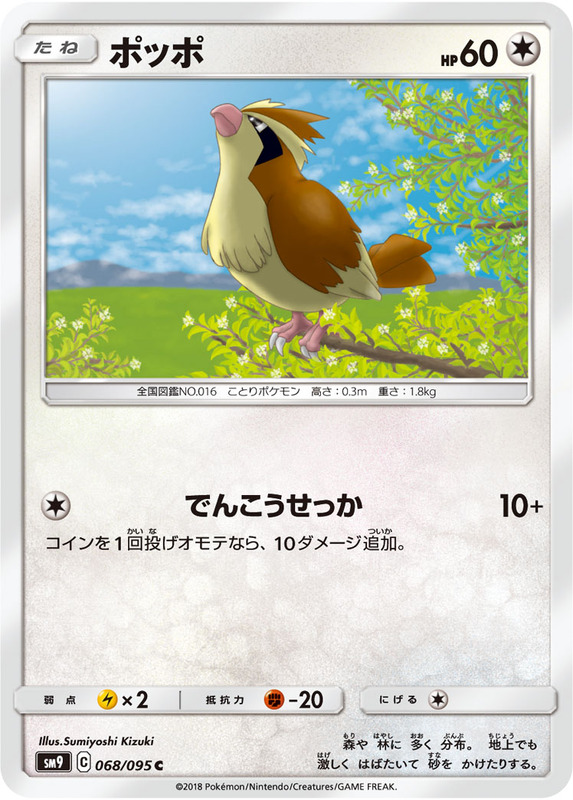 Once during your turn, if this is your active Pokemon, you may look at the top 5 cards of your deck, choose 1 trainer card you find there, reveal it and put it into your hand. Shuffle the remaining cards back into your deck. Then, this Pokemon is asleep. 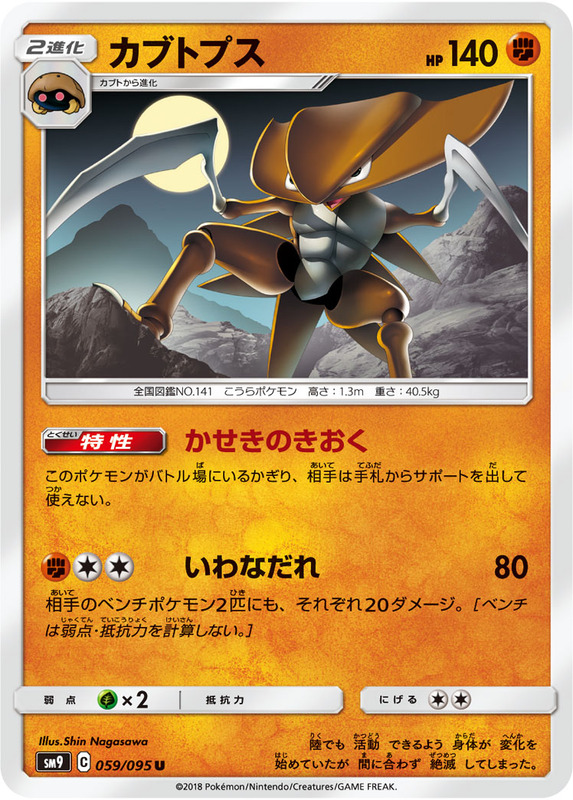 Prevent all damage done to this Pokemon by attacks from your opponent's [R] Pokemon. 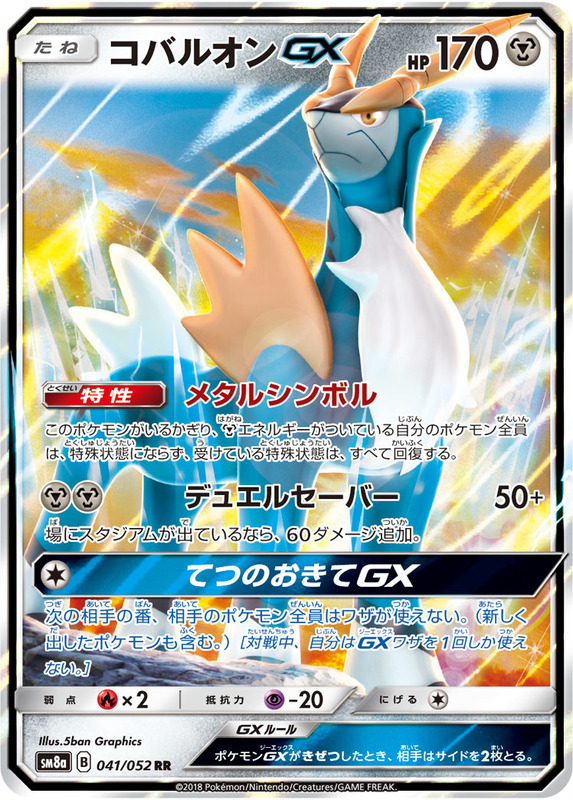 During your opponent’s next turn, any damage done to this Pokemon by attacks is reduced by 20 (after applying weakness and resistance). 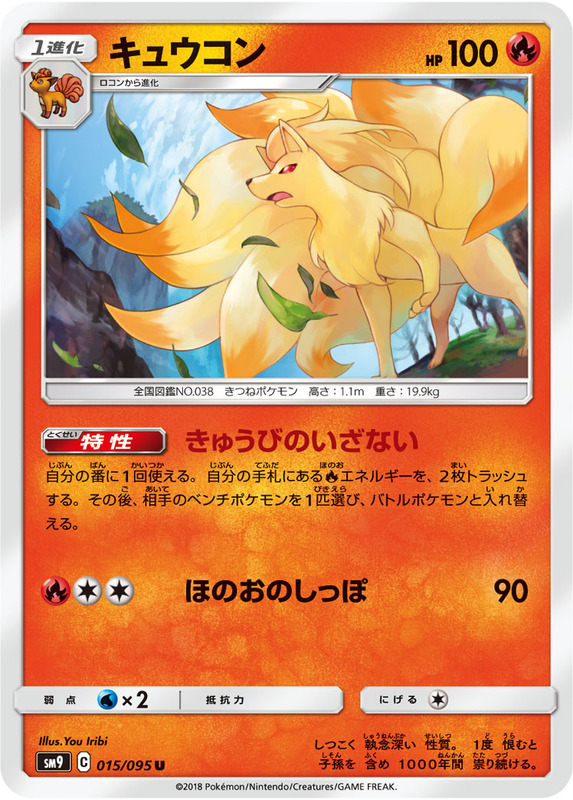 If this Pokemon has no damage counters on it, this attack does 90 more damage. If there is a stadium card in play, this attack does 60 more damage. 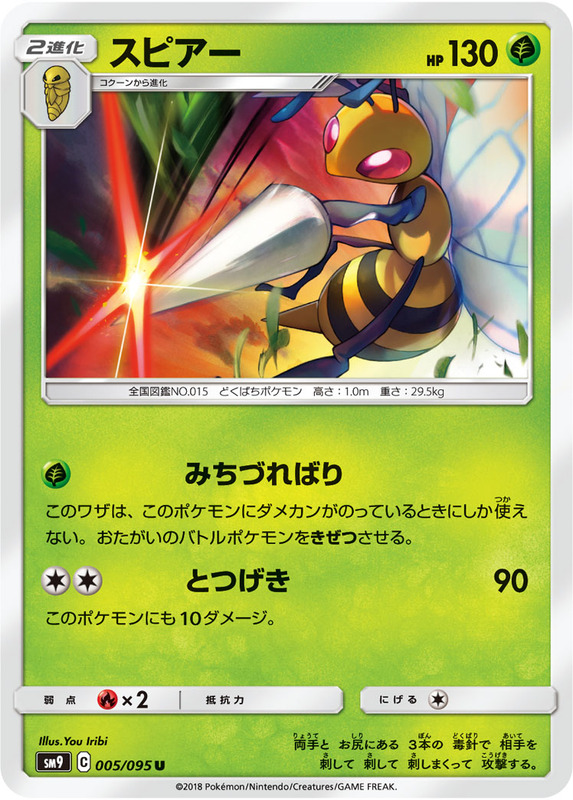 This attack does 30 damage times the number of tool cards attached to all Pokemon in play. 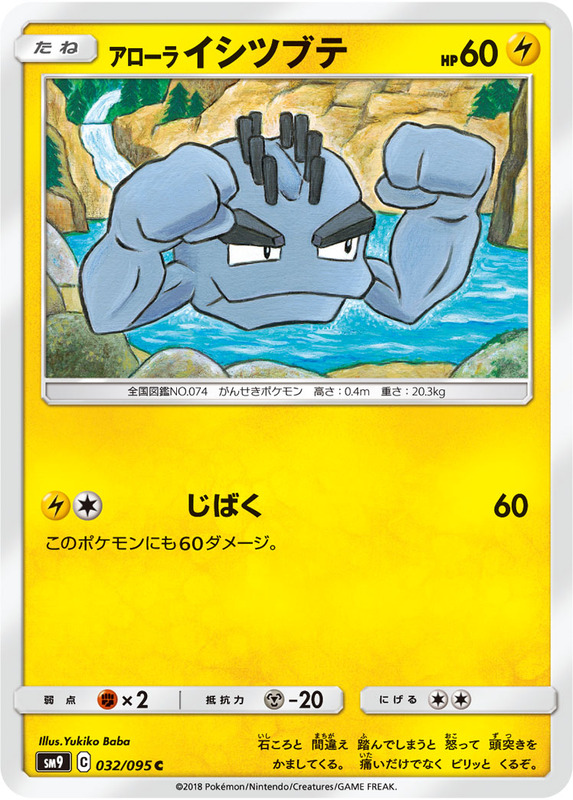 Any damage done to this Pokemon by attacks is reduced by 40 (after applying weakness and resistance). 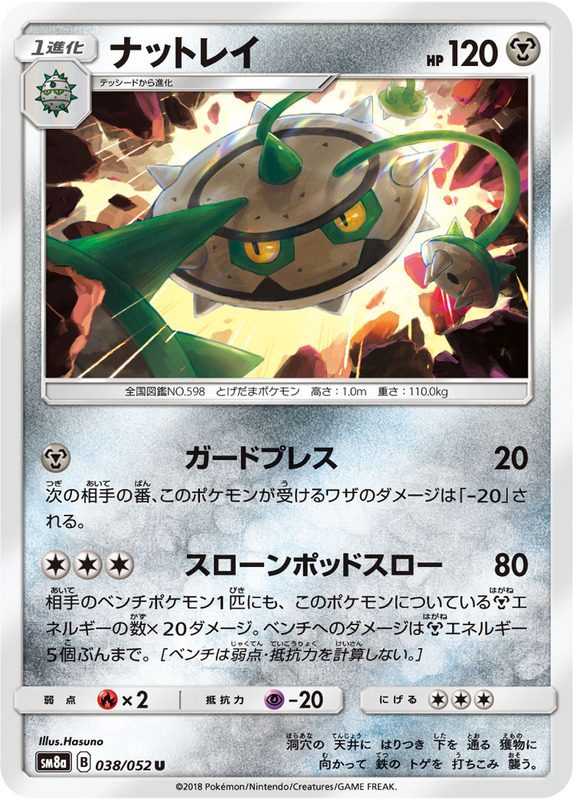 This attack’s damage isn't affected by any effects on your opponent’s active Pokemon. Each of your [M] Pokemon’s Resistance is now -40. 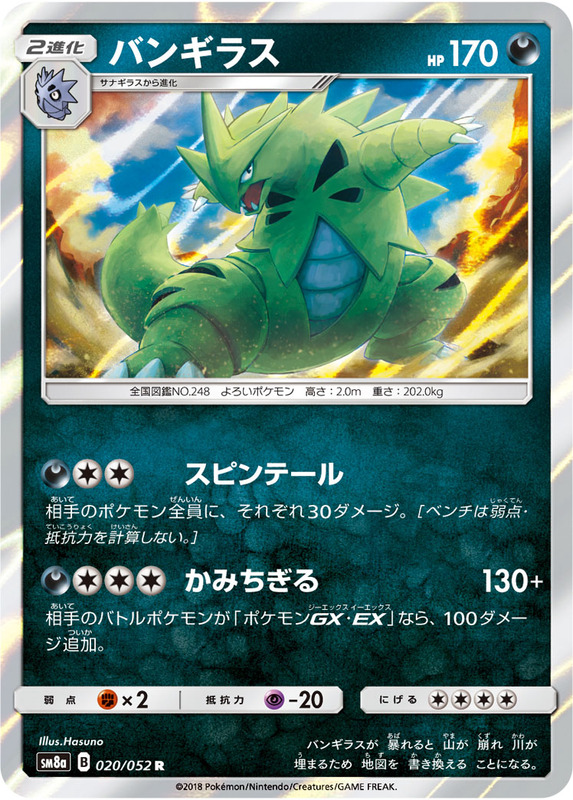 Prevent all effects of attacks, including damage, done to this Pokemon by your opponent's Pokemon-GX-EX. 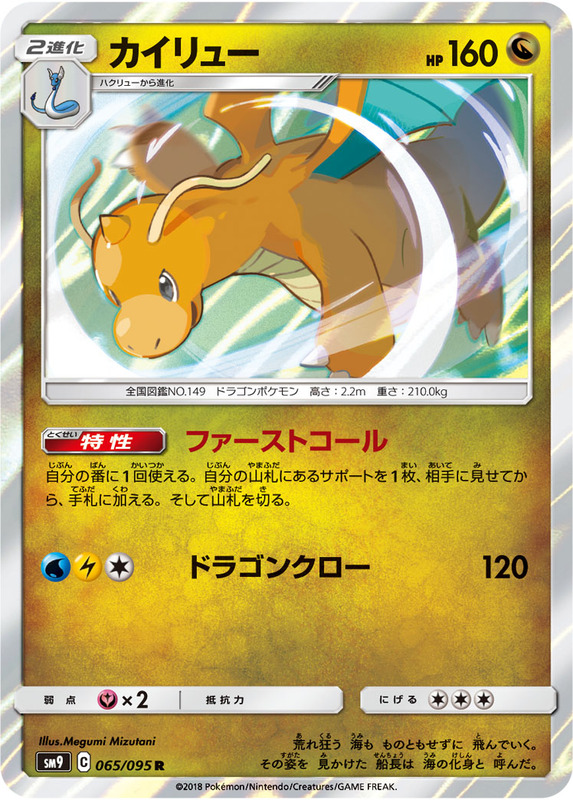 If your opponent's Pokemon used an attack that isn't a GX attack during their last turn, use it as this attack. 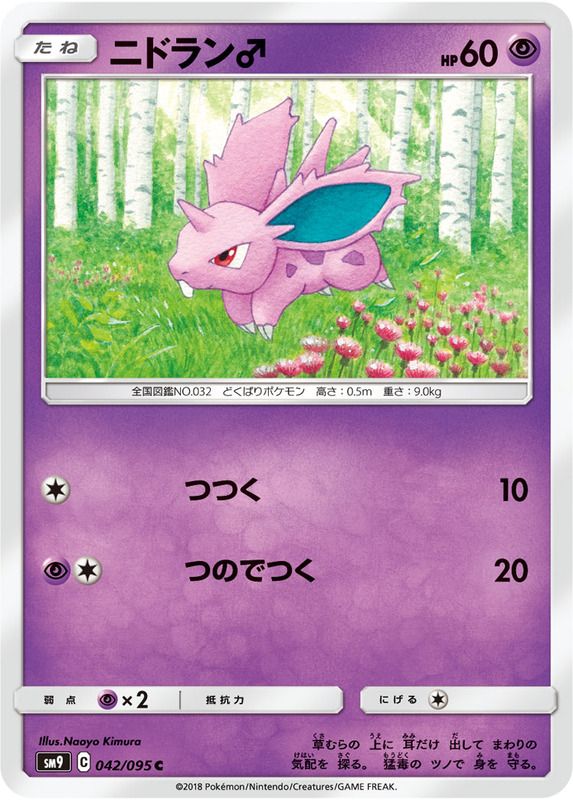 Attach 5 basic Energy cards from your discard pile to your Pokemon in any way you like. 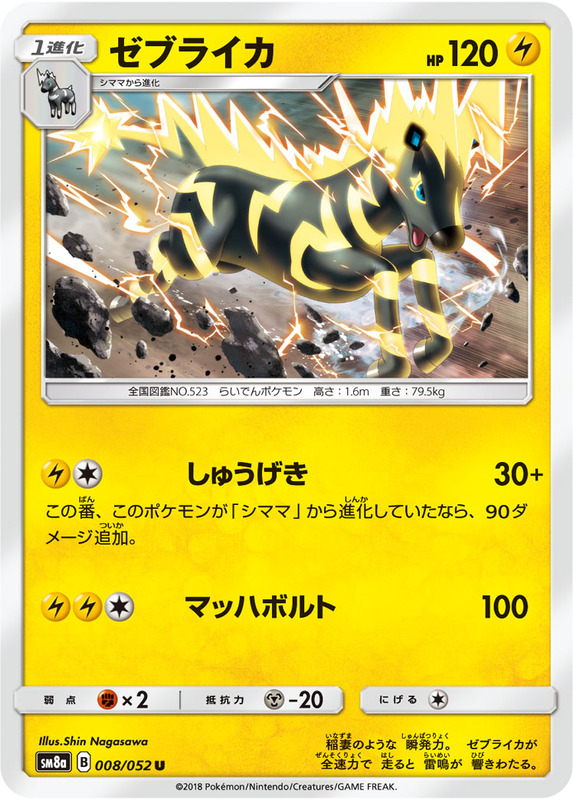 If this Pokemon has at least 1 extra Energy attached to it (in addition to this attack's cost), prevent all effects of attacks, including damage, done to it during your opponent's next turn. Draw cards until you have 6 cards into your hand. You may discard as many cards as you like from your hand before you draw. 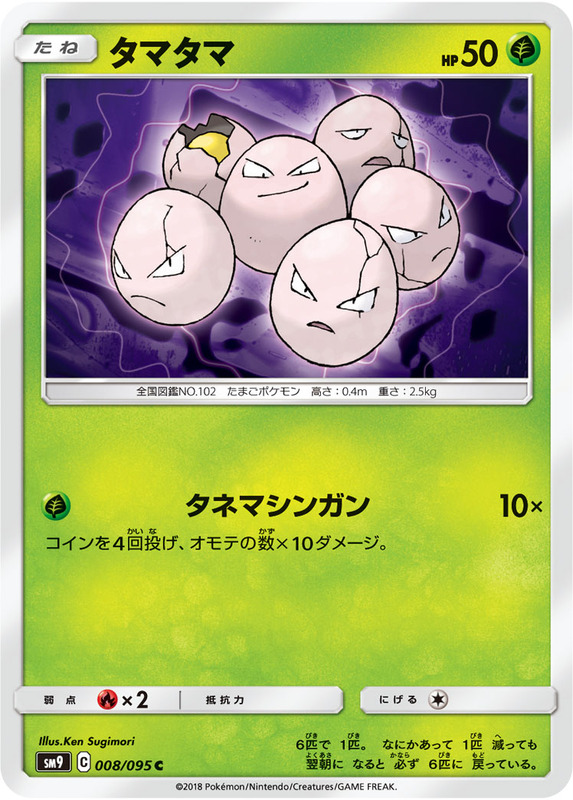 Discard as many 'Exeggcute' from your hand as you like. This attack does 60 damage for each card discarded. 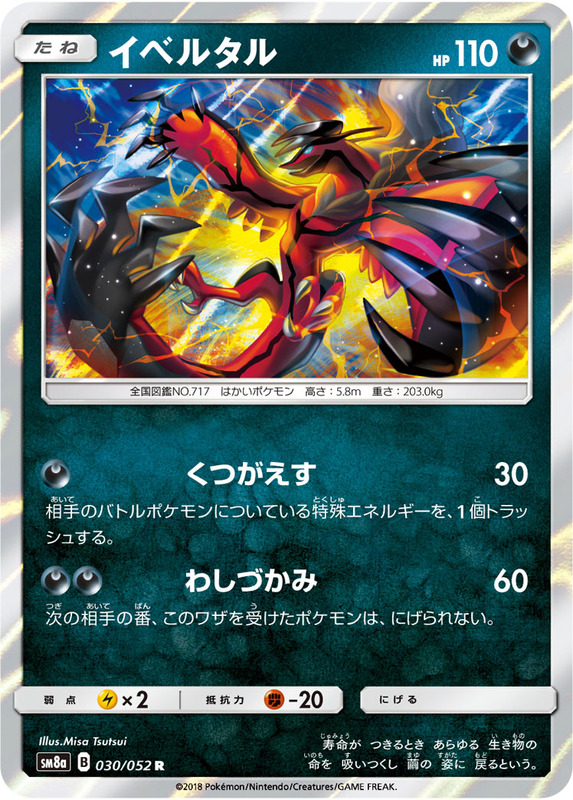 This attack does 20 more damage for each type of basic Energy card in your discard pile. You can't add more than 100 damage this way. Flip 2 coins. If 1 of them is tails, this attack does nothing. 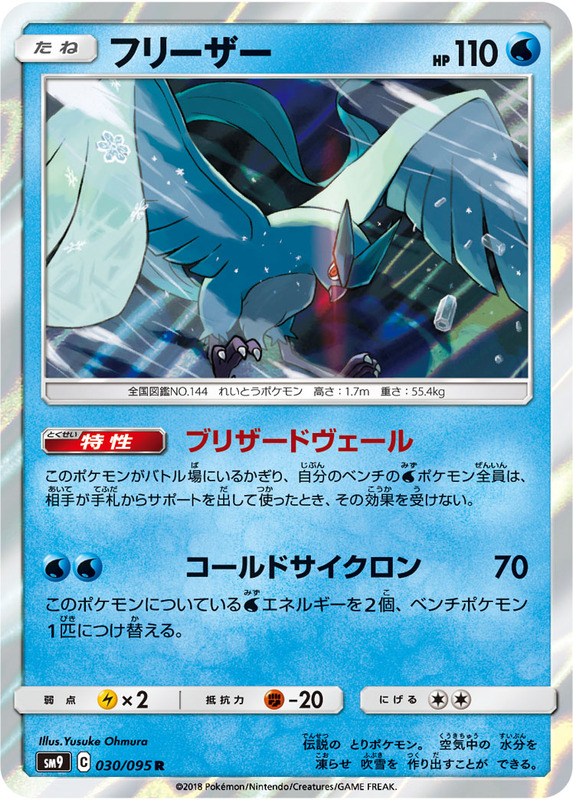 Prevent all effects (excluding damage) from attacks of your opponent's Pokemon done to this Pokemon. Flip 2 coins. 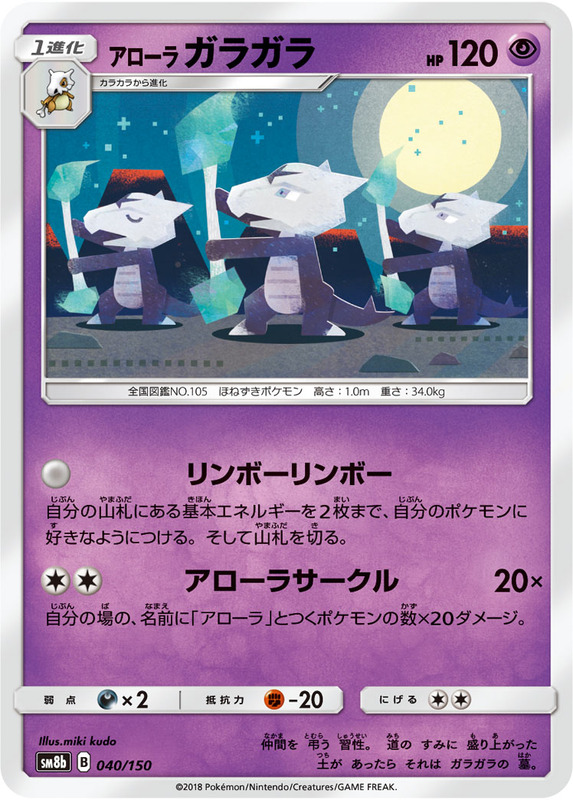 Discard an Energy from your opponent's active Pokemon for each heads. If both are tails, this attack does nothing. 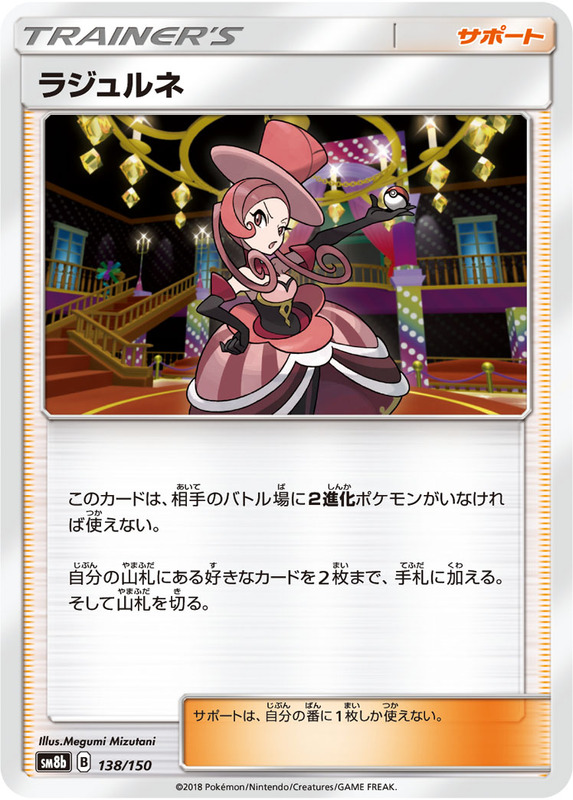 Once during your turn, you may search your deck for a Supporter card, reveal it and put it into your hand. Then, shuffle your deck. 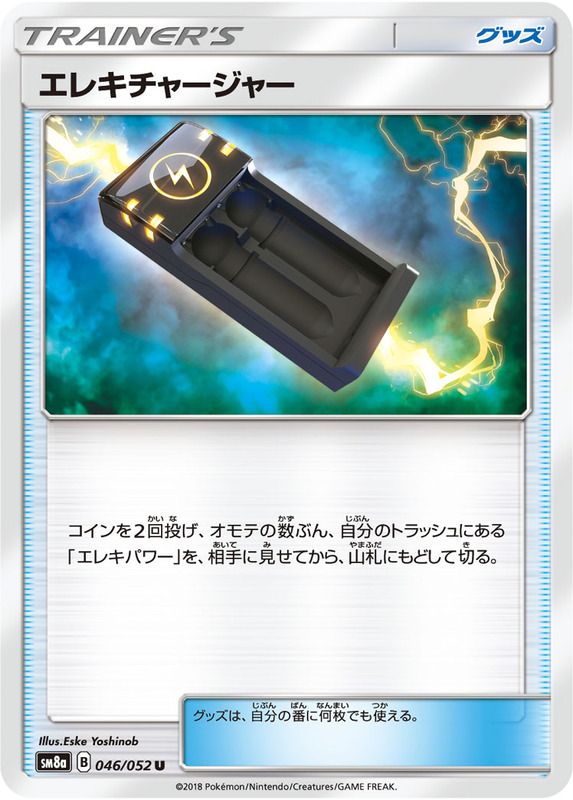 Attach an Energy card from your hand to 1 of your Pokemon. 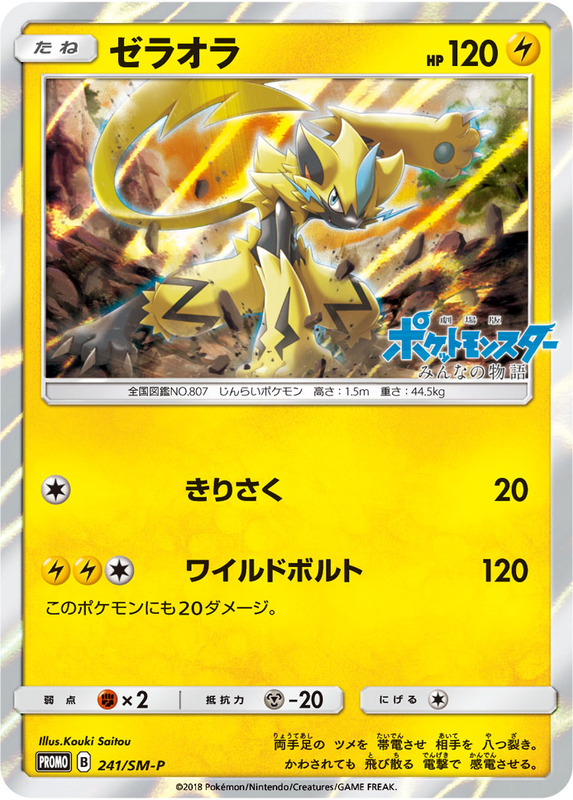 If your opponent's active Pokemon is an evolution Pokemon, this attack does 120 more damage. 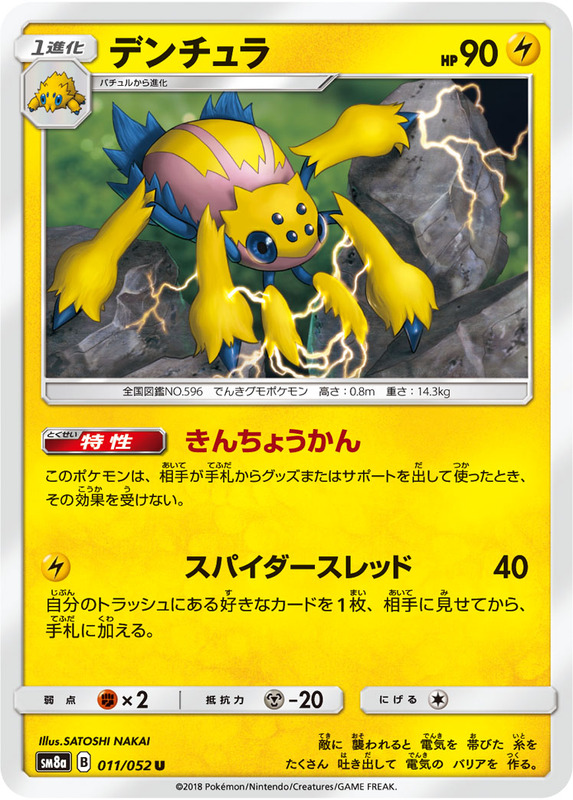 If this Pokemon has at least 1 extra Energy attached to it (in addition to this attack's cost), draw cards until you have 10 cards in your hand. Flip a coin. If heads this attack does 10 more damage. Once during your turn, you may look at the top 2 cards of your deck. Put 1 of them into your hand, and the other one at the bottom of your deck. 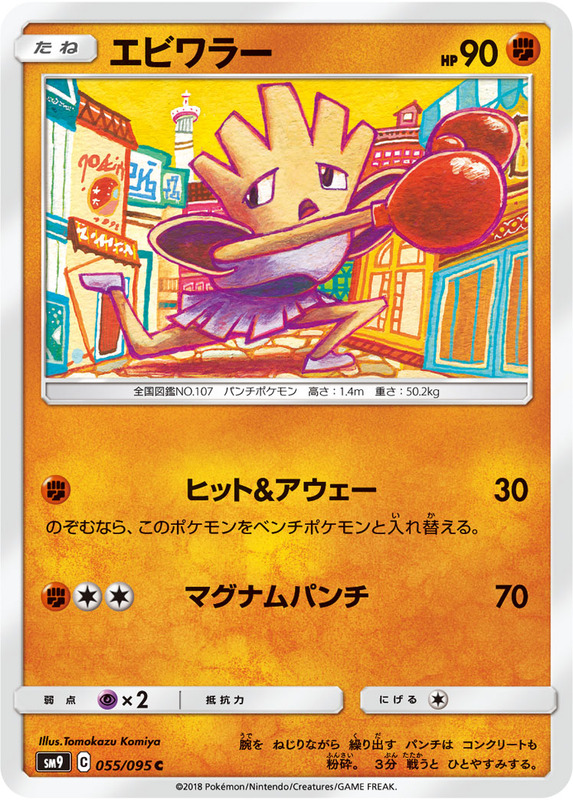 Your opponent puts their active Pokemon and all cards attached to it into their hand. If your opponent has 4 or more hand cards, your opponent reveals their hand. Choose cards you find there and discard them until your opponent has 4 hand cards. Flip a coin. If heads this attack does 60 more damage. 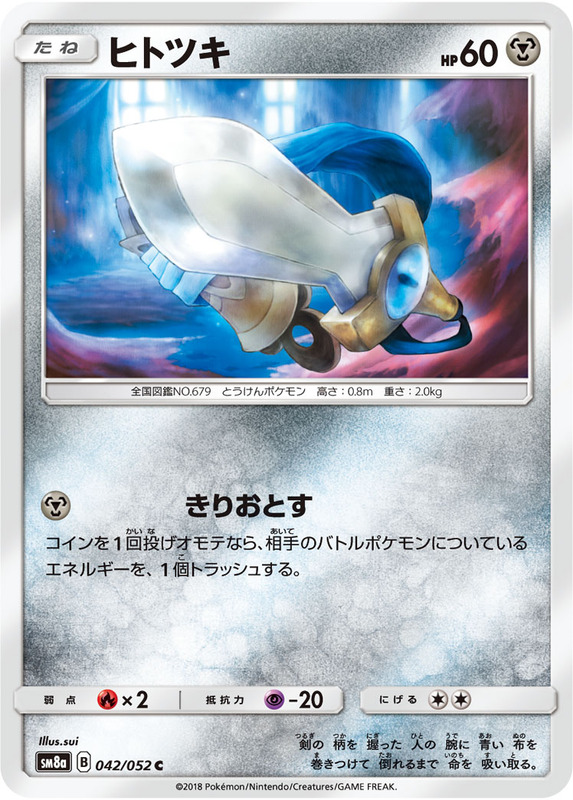 Before doing damage, you may discard a Tool attached to your opponent's active Pokemon. If you do, this attack does 70 more damage. 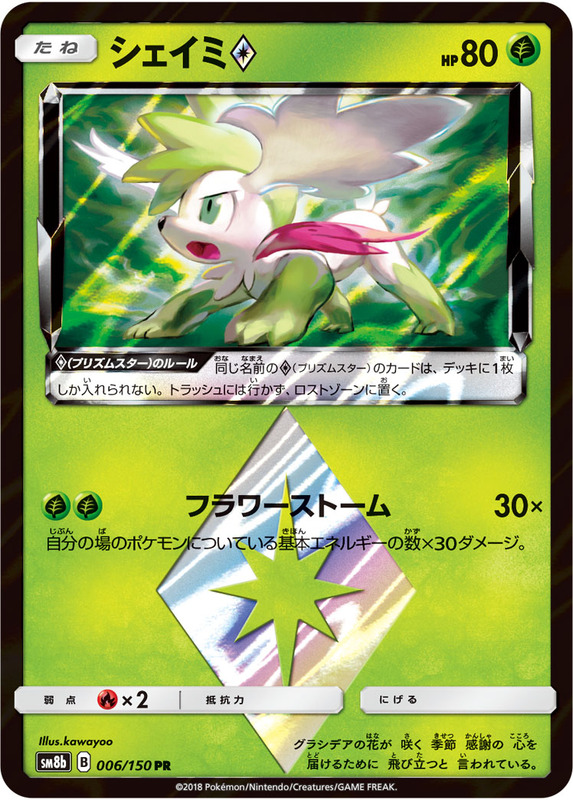 Search your deck for 2 evolution cards, reveal them and put them into your hand. Then, shuffle your deck. 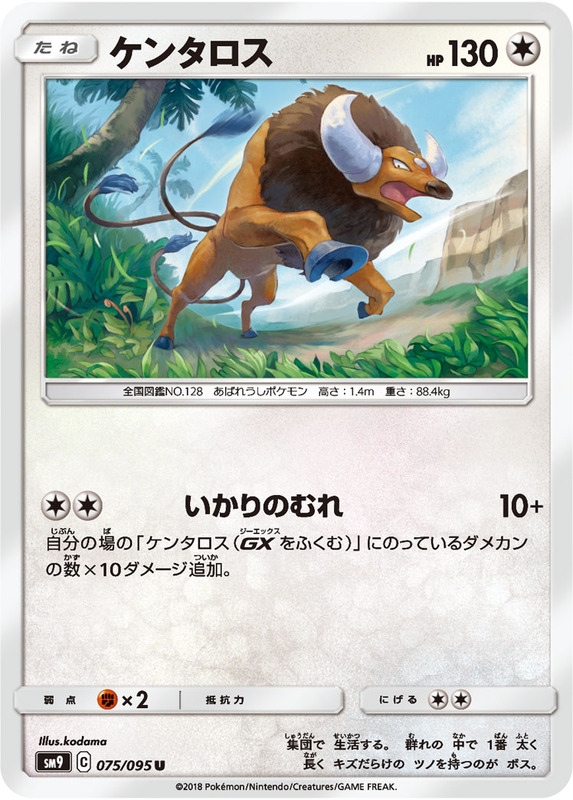 This attack does 10 more damage times the number of damage counters on all of your Tauros and Tauros-GX. 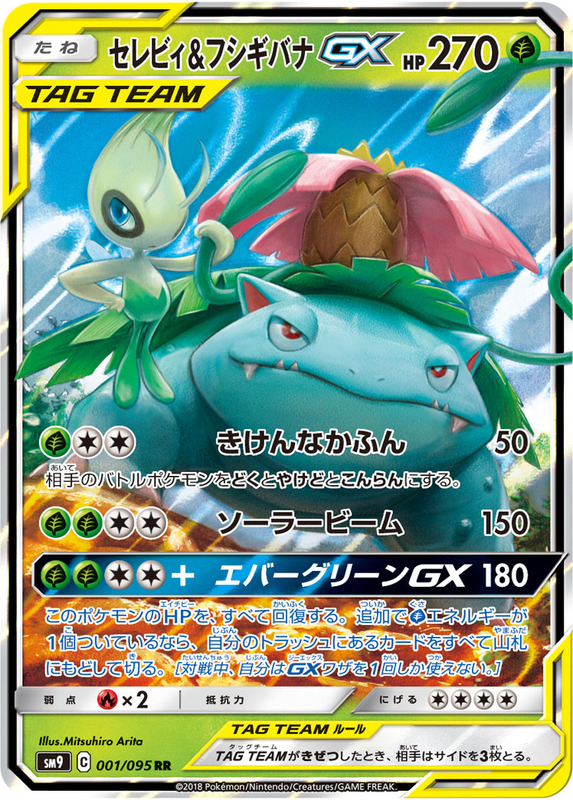 If you have no Pokemon-GX-EX on your bench, this attack does 90 more damage. 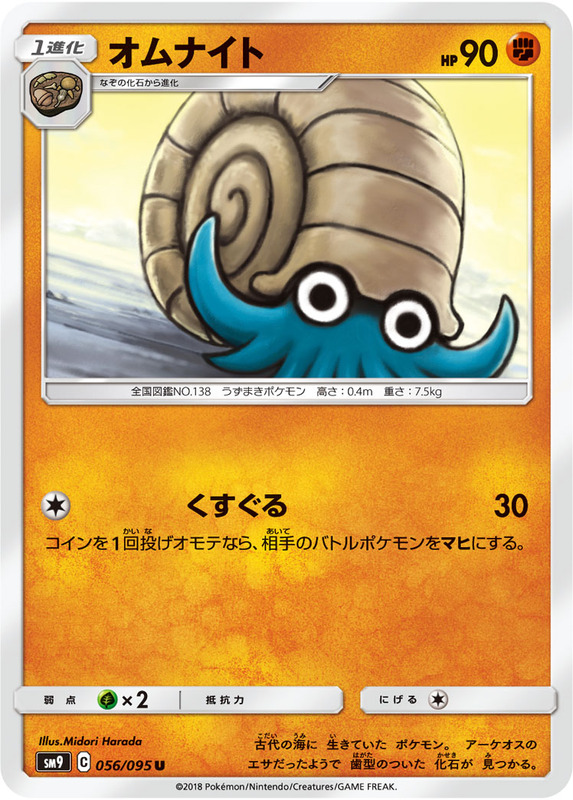 Search your deck for 1 basic Energy and attach it to this Pokemon. Then, shuffle your deck. 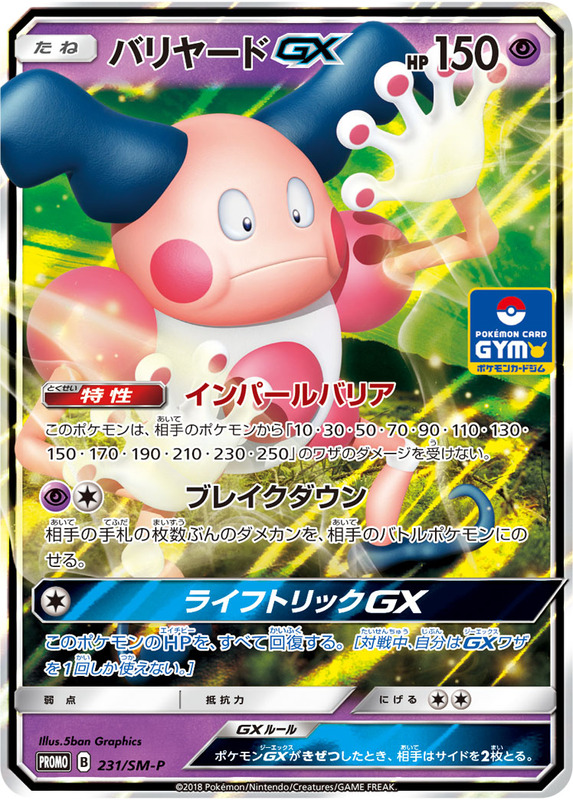 Look at the top 6 cards of your deck, choose as many Pokemon your find there as you like, reveal them and put them into your hand. Discard the remaining cards. Look at the top 7 cards of your deck. 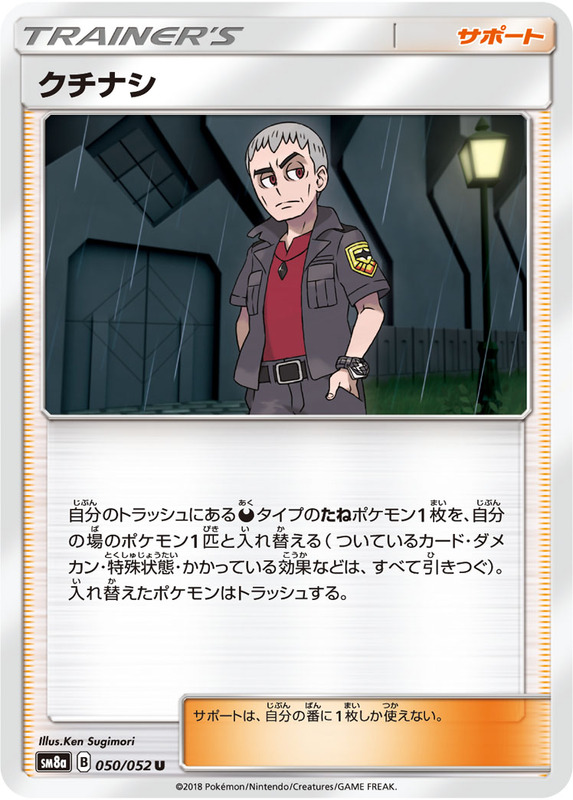 Choose 2 Trainer cards you find there, reveal them and put them into your hand. Shuffle the remaining cards into your deck. 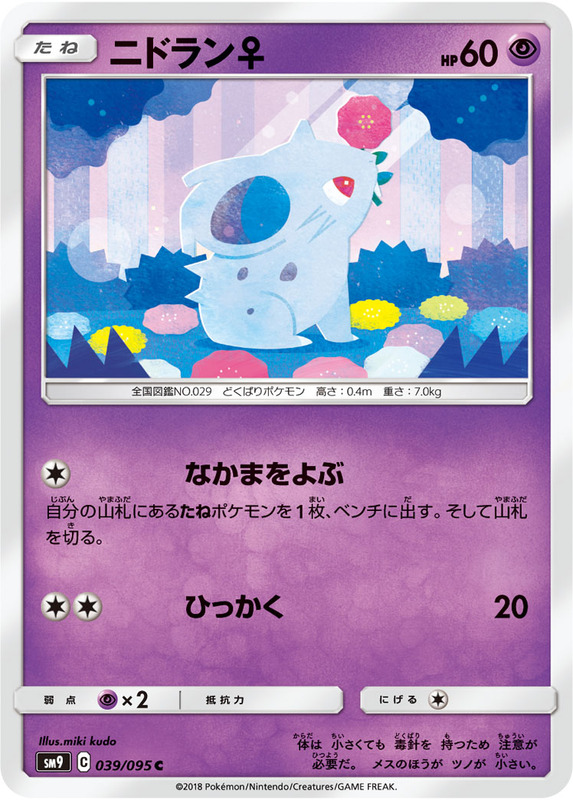 If either player knocks out a [D] Pokemon with any [D] Energy attached to them, that player takes 1 less prize card. 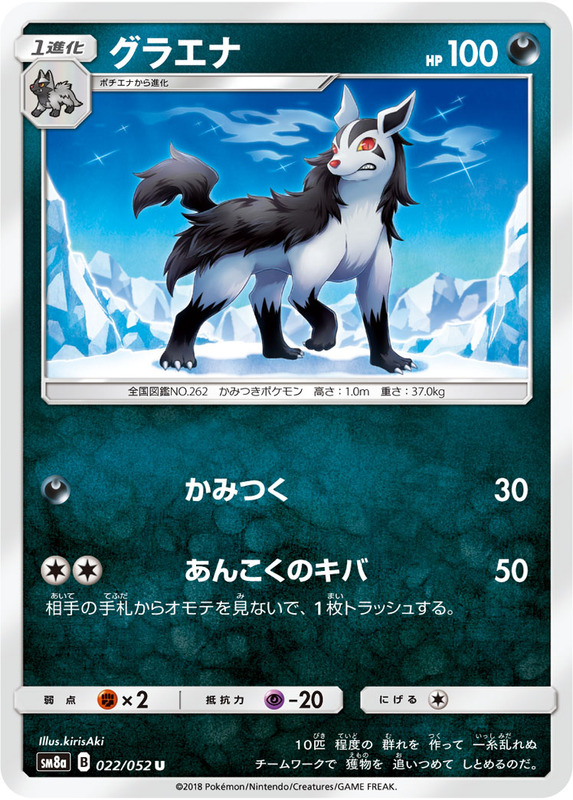 While this card is in play, whenever either player plays a supporter or item card from their hand, prevent all effects of that card done to this card. 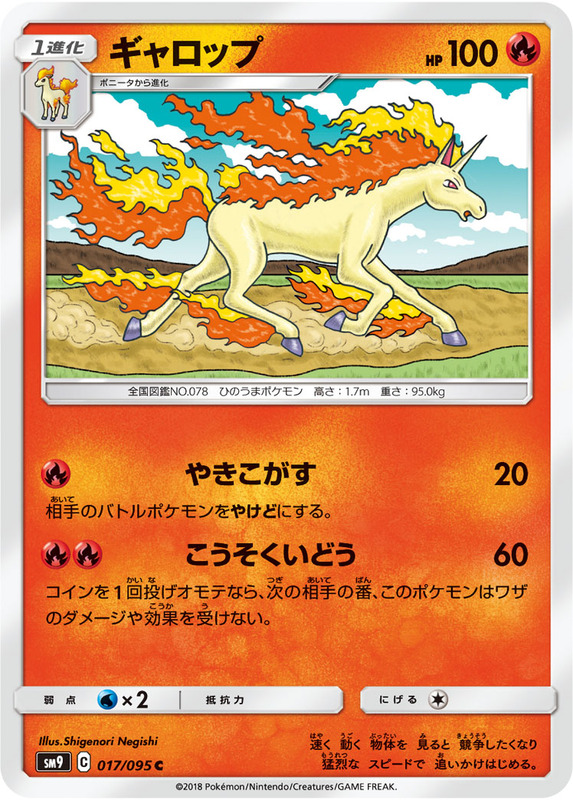 Shuffle 6 in any combination of Pokemon and basic Energy cards from your discard pile into your deck. 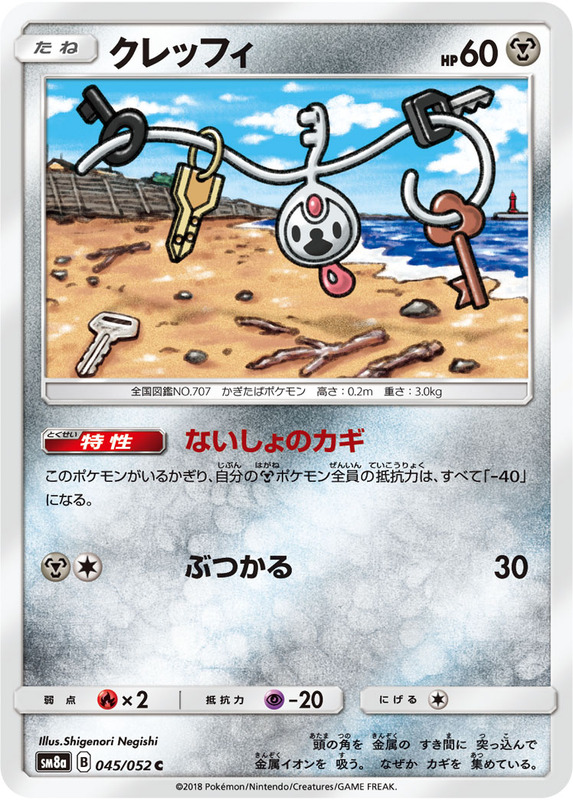 If this card is attached to a Pokemon with 4 retreat cost, it gets +50 HP. 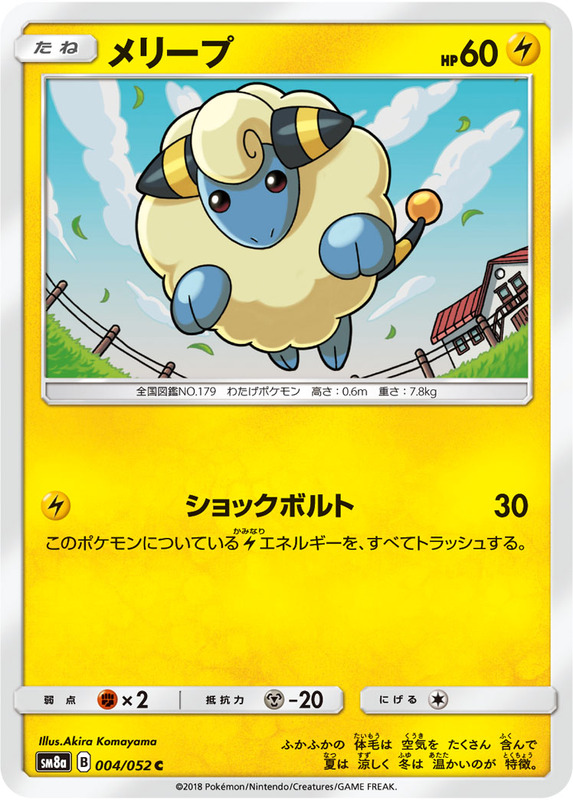 You can only play this card if your opponent's active Pokemon is a Stage 2 Pokemon. 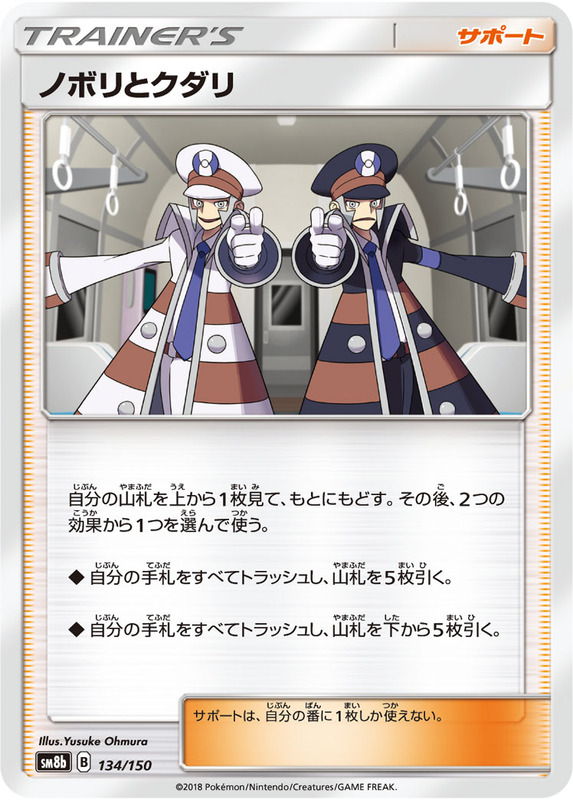 Search your deck for any 2 cards and put them into your hand. Then, shuffle your deck. 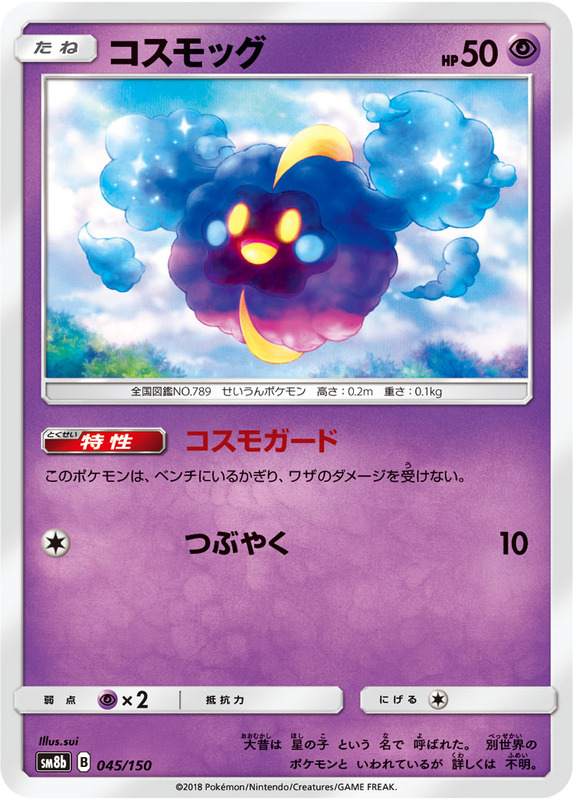 Discard a [D] Pokemon from your hand. 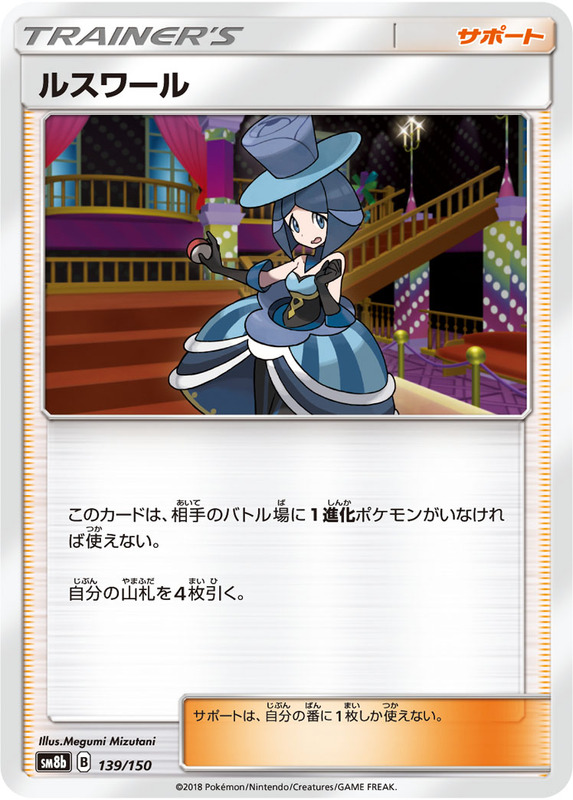 If you did, discard either a special Energy or tool card attached to 1 of your opponent's Pokemon, or the stadium in play. Flip 2 coins. For each heads, shuffle an 'Electripower' from your discard pile into your deck. 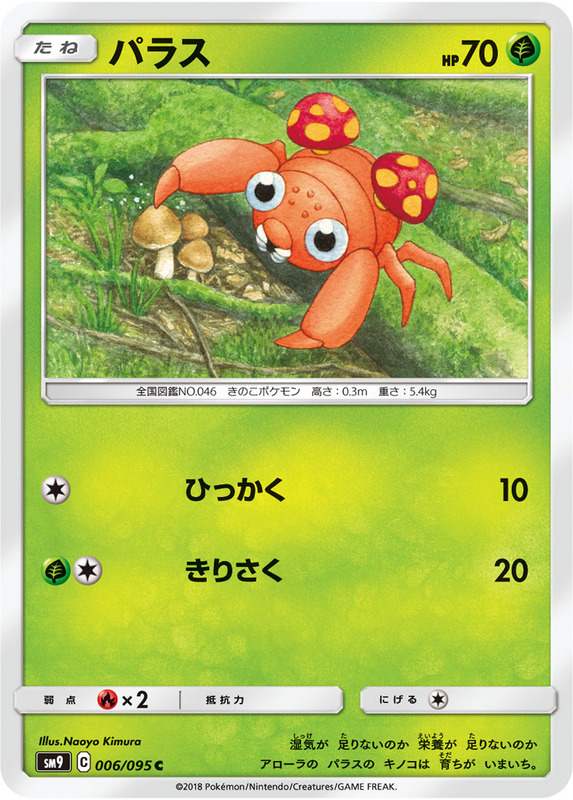 If you have 6 or more hand cards (including this one), you can't play this card. 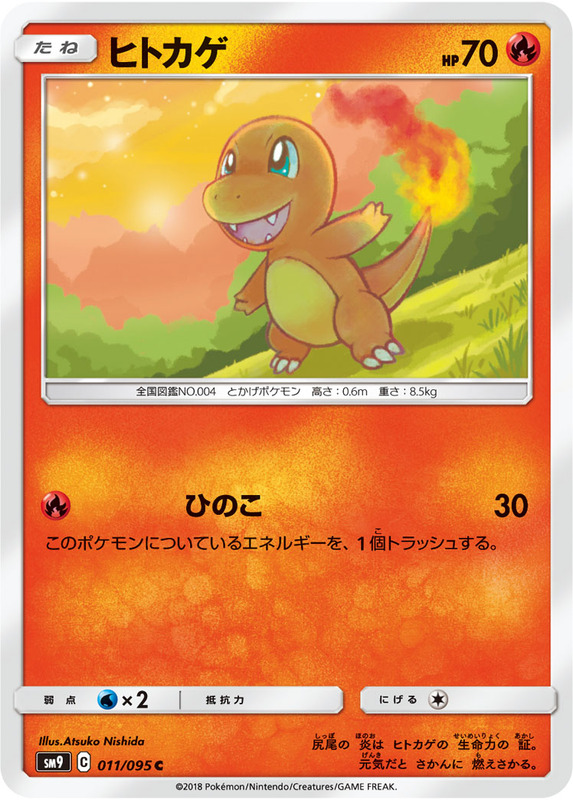 Draw a card for each of your opponent's Pokemon in play. 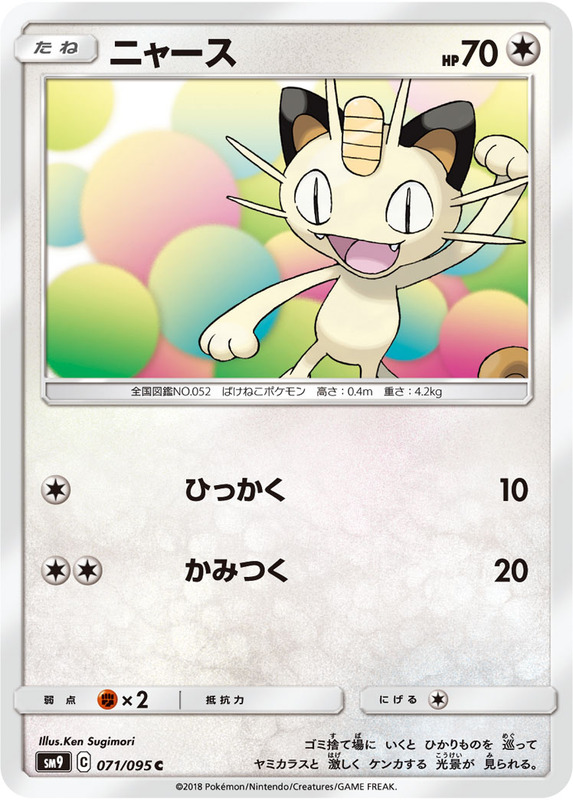 You can only play this card if your opponent's active Pokemon is a Stage 1 Pokemon. Draw 4 cards. 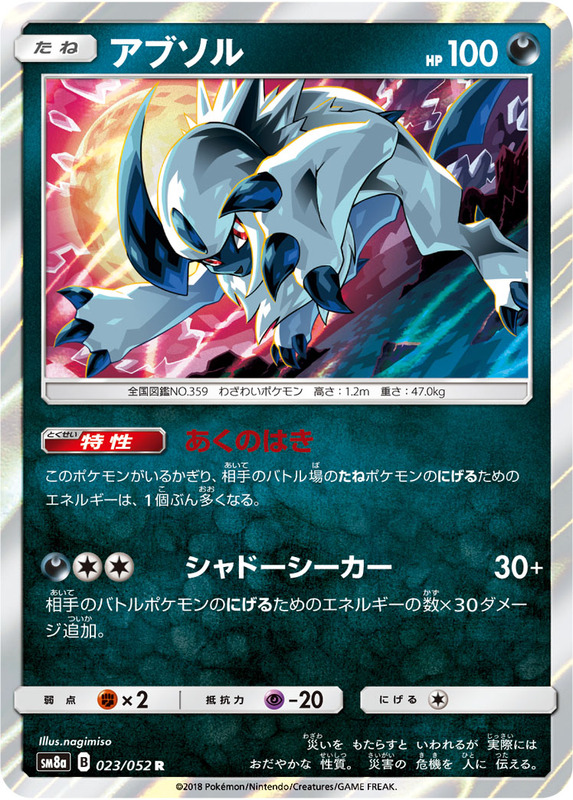 Prevent all damage done to the (Y) Pokemon this card is attached to done by your opponent's 'Ultra Beast' Pokemon-GX-EX. 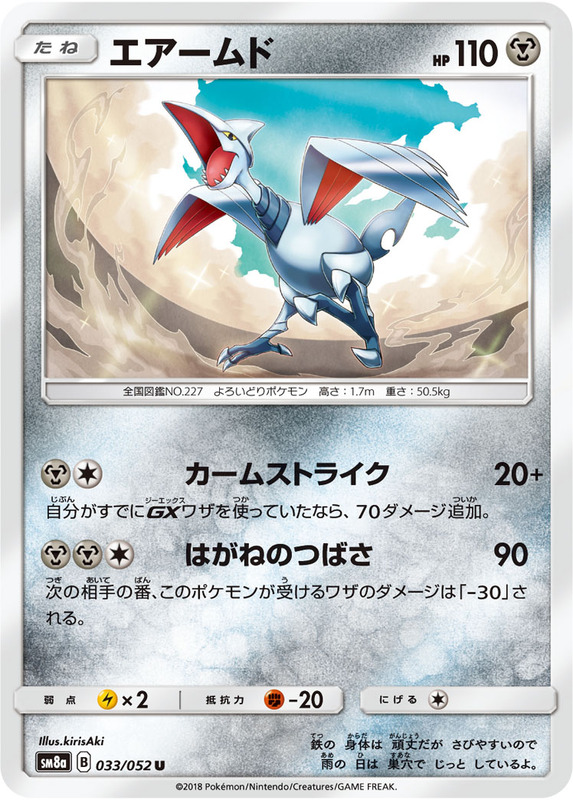 The Silvally-GX this card is attached to is a (G) Pokemon. Look at the top card of you deck and return it. Then choose 1 of the following: - Discard your hand and draw 5 cards. - Discard your hand and draw the bottom 5 cards from your deck. 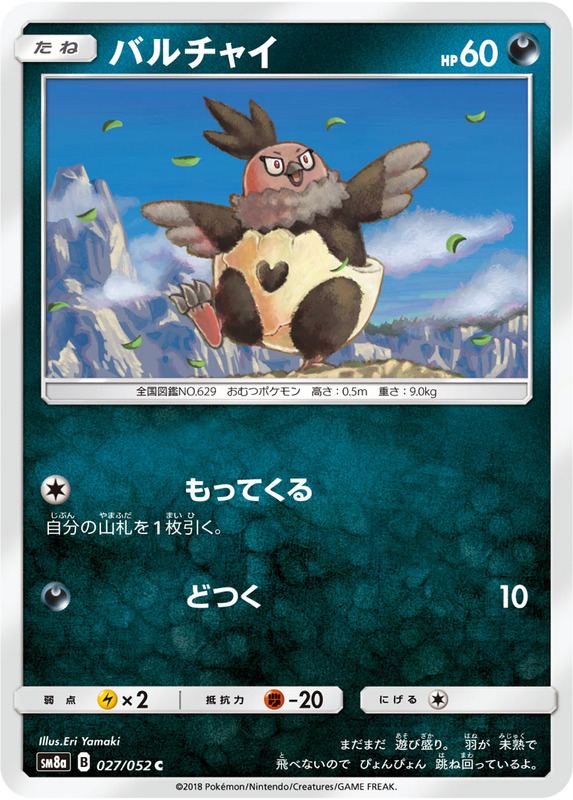 Search your deck for a [M] Pokemon, reveal it and put it into your hand. Then shuffle your deck. If you went second and it's your first turn, you may take 5 [M] Pokemon instead. Choose 1: - Draw a card. - Put a Judge from your discard pile into your hand. Once during each player's turn, that player may look at their opponent's hand. 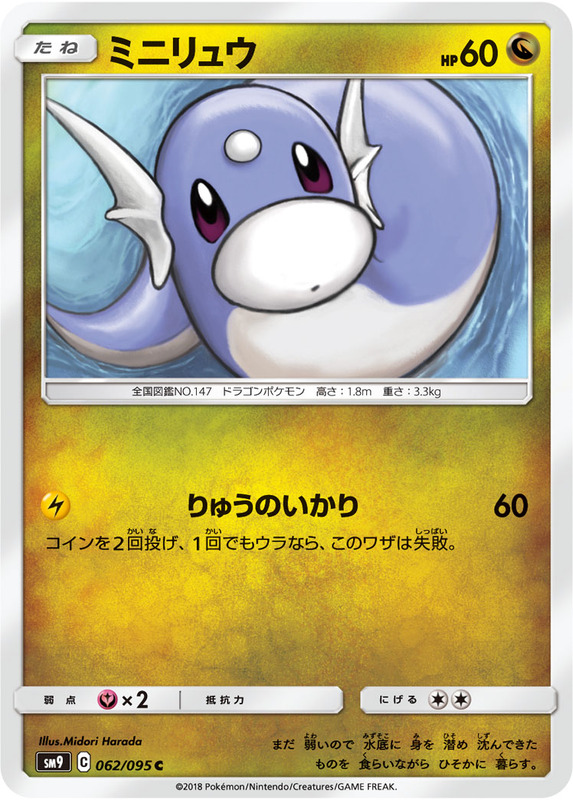 Any damage done to the [M] Pokemon is card is attached to is reduced by 30. 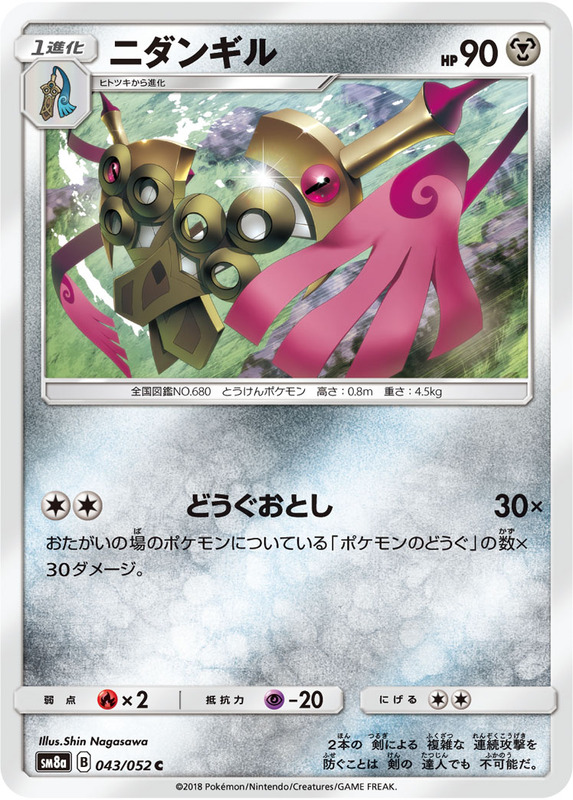 Prevent all effects of attacks and abilities, which put damage counters on the [M] Pokemon this card is attached to. 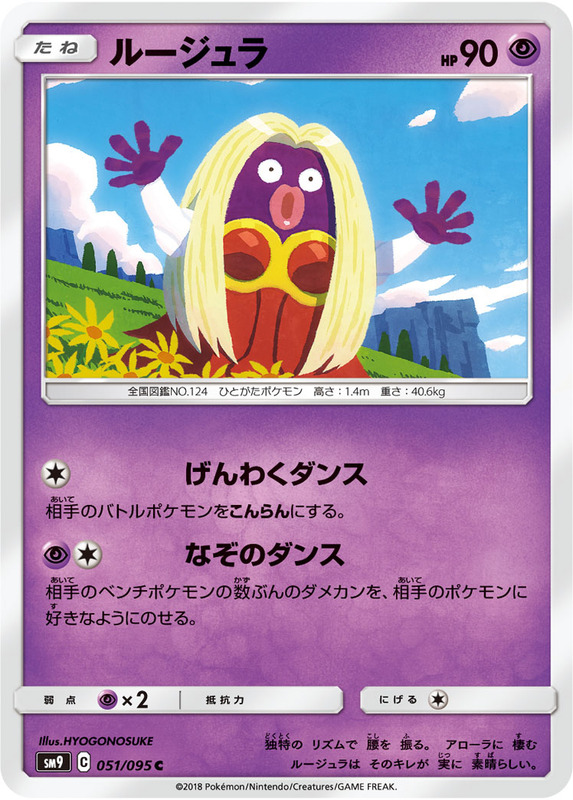 In order to play this card, you have to discard 1 'Dana', 1 'Evelyn' and 1 'Nita' from your hand. 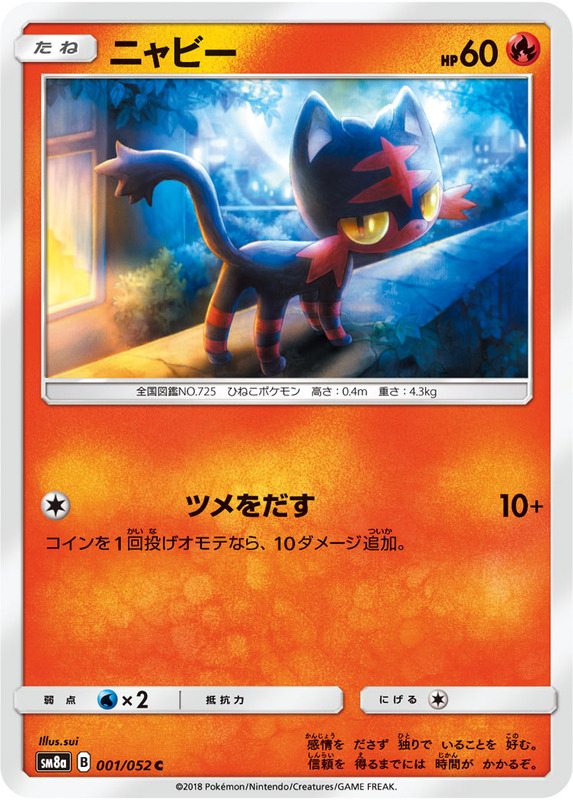 Look at the top 12 cards of your deck and attach as many Energy cards you find there to your Pokemon in any way you like. Shuffle the remaining cards back into your deck. 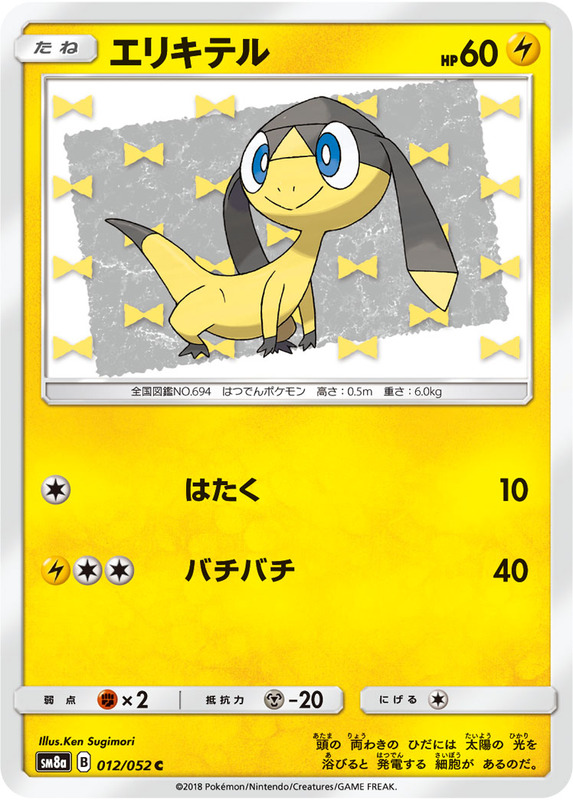 Switch a basic [D] Pokemon from your discard pile with 1 of your Pokemon in play. 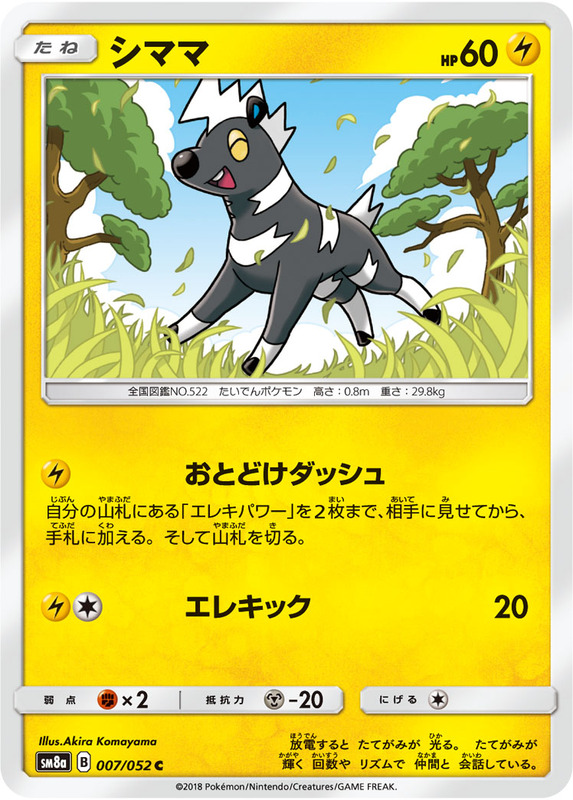 (Any attached cards, damage counters, special conditions, turns in play, and any other effects remain on the new Pokemon.) 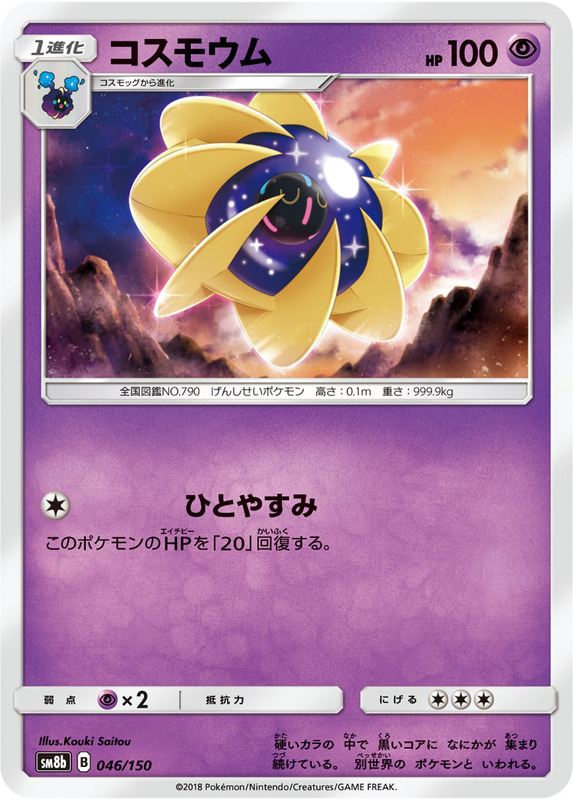 Discard the Pokemon you switched with. 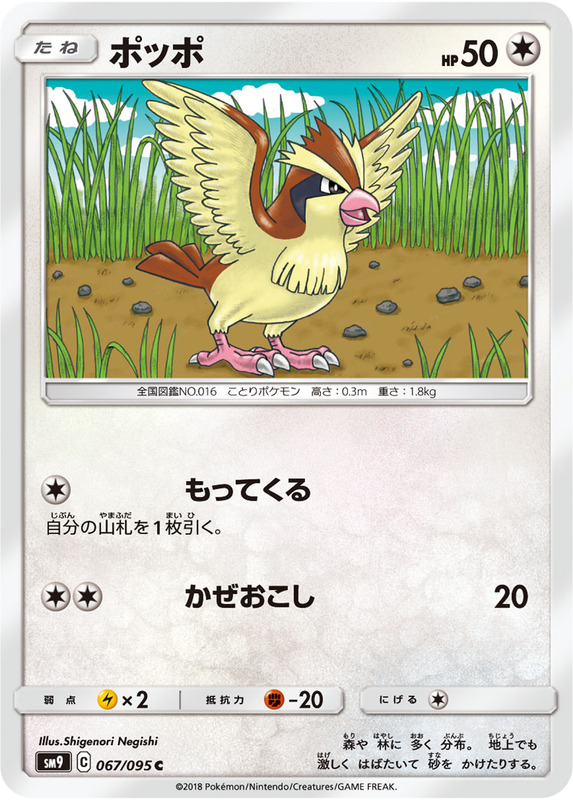 You can only play this card if your opponent's active Pokemon is a basic Pokemon. 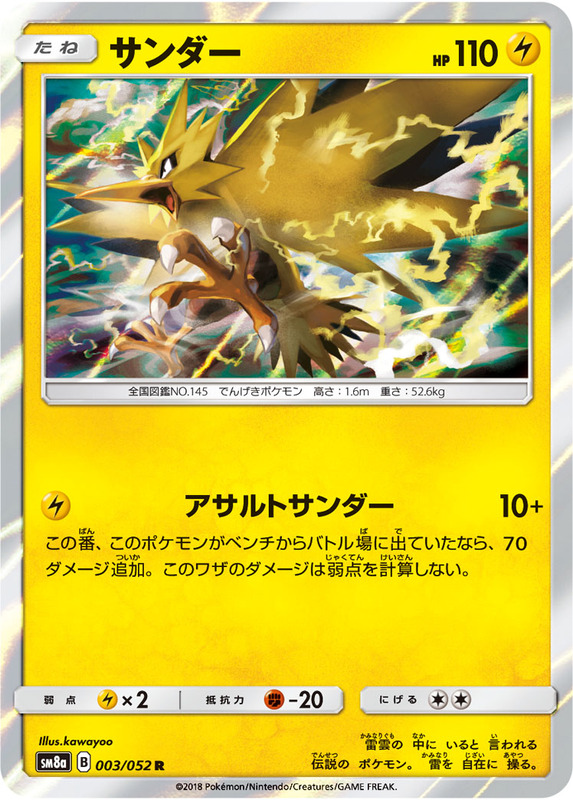 Shuffle an Energy from your opponent's active Pokemon into their deck. 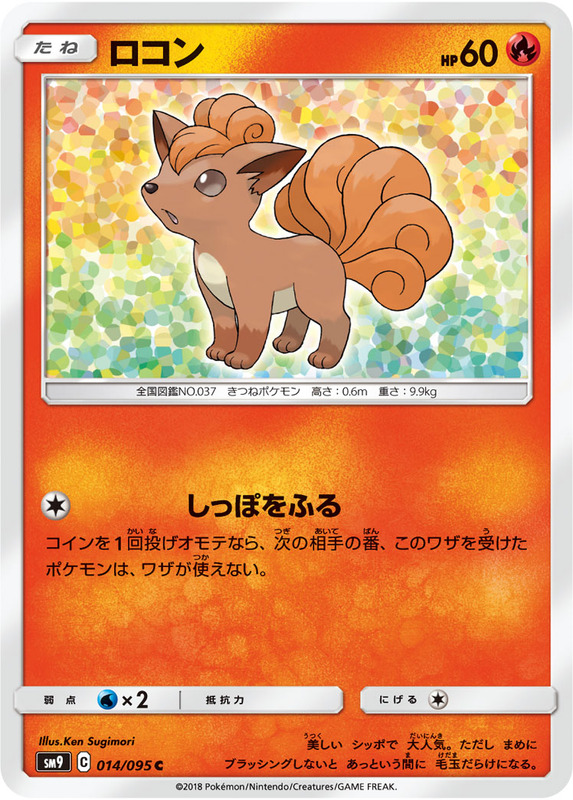 Reveal a Pokemon in your hand and put it on top of your deck. 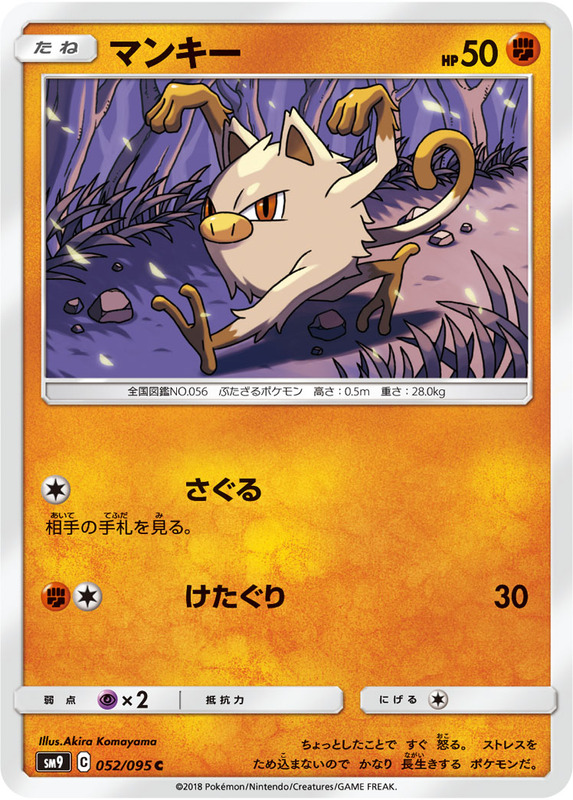 If you do, search your deck for a Pokemon, reveal it, and put it into your hand. Shuffle your deck afterward. Put a card from your opponent's discard pile on to the bottom of your opponent's deck. Look at your opponent's hand. 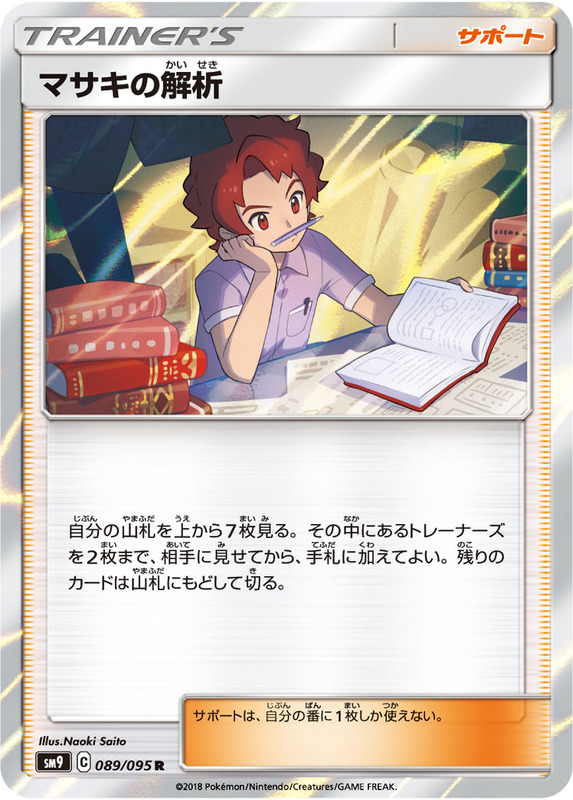 Choose a Supporter you find there and use the effect of that supporter as the effect of this card. 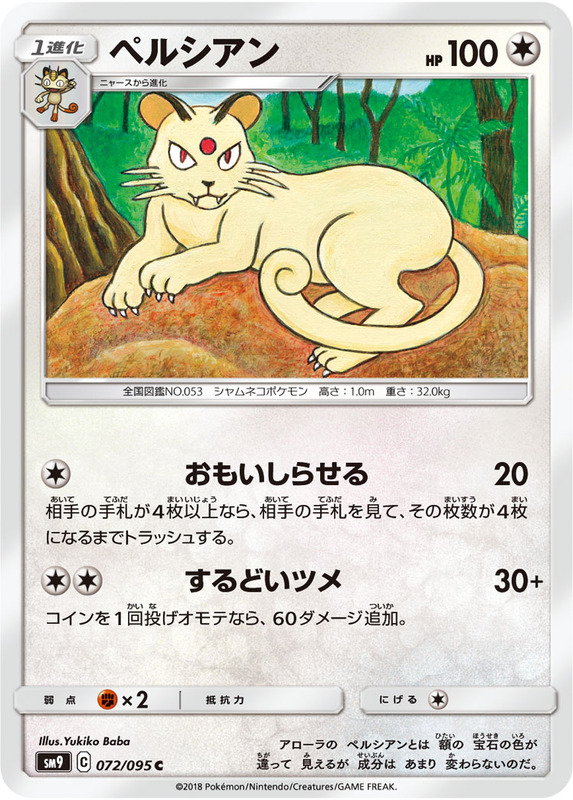 Play this card as if it were a 60-HP colorless Basic Pokemon. 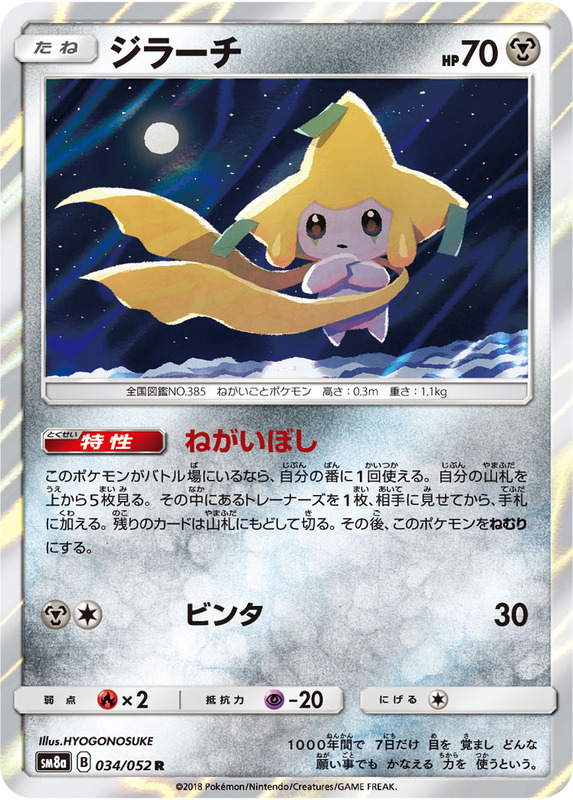 At any time during your turn (before your attack), you may discard this card from play. This card can’t retreat. 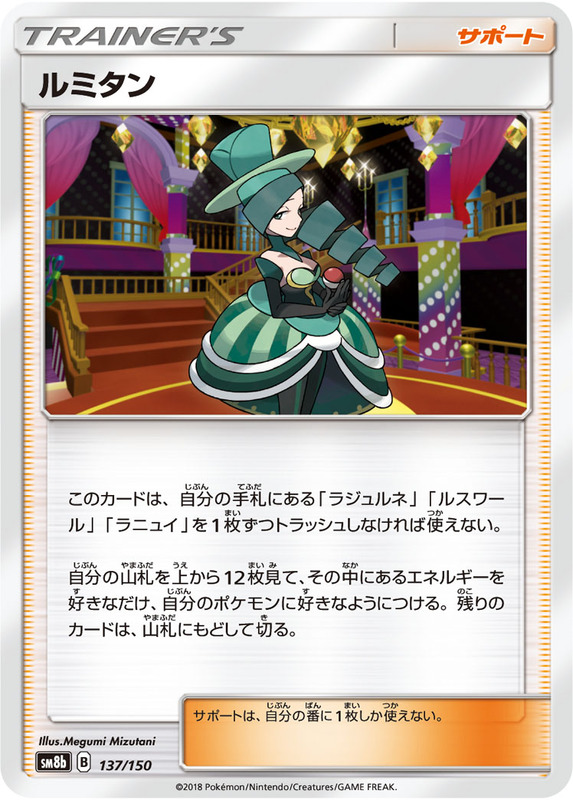 Once during each player's turn, that player may discard a card from their hand. 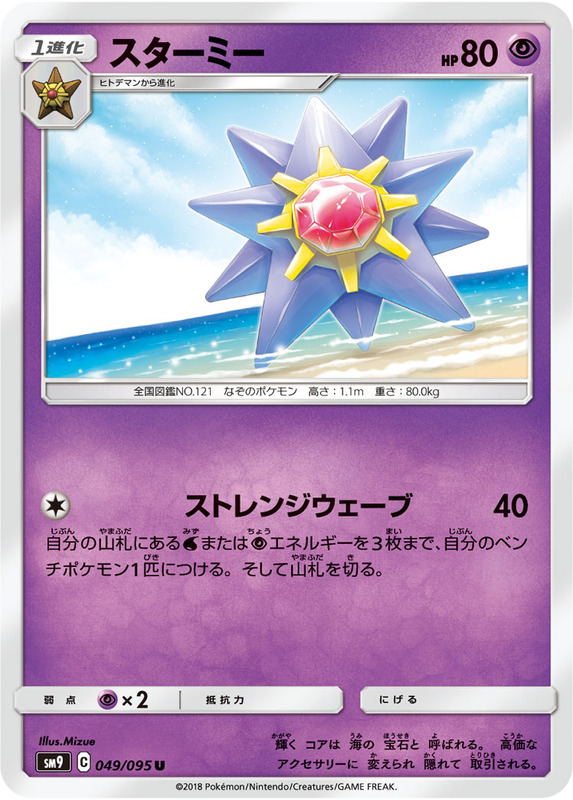 Then, search their deck for a basic Energy card, reveal it and put it into their hand. Then, shuffle their deck. 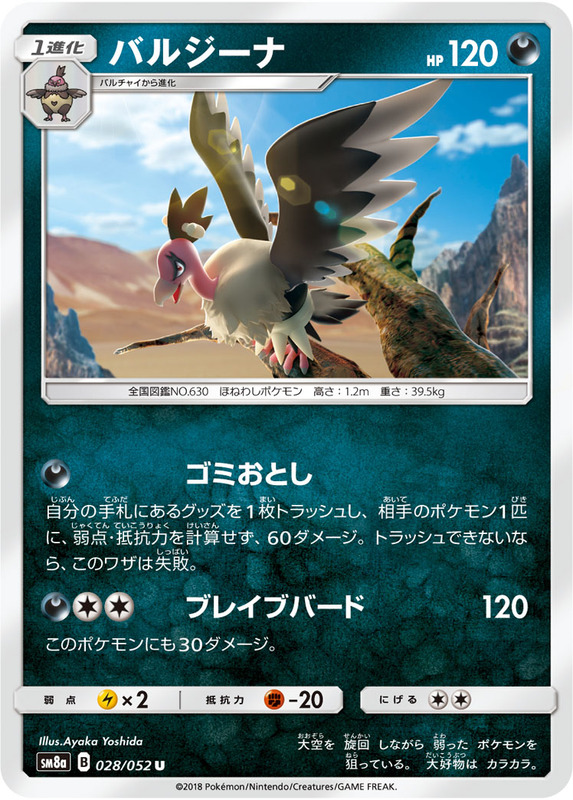 The Silvally-GX this card is attached to is a (W) Pokemon. All Pokemon's attacks (except (Y) Pokemon) cost (C) more. 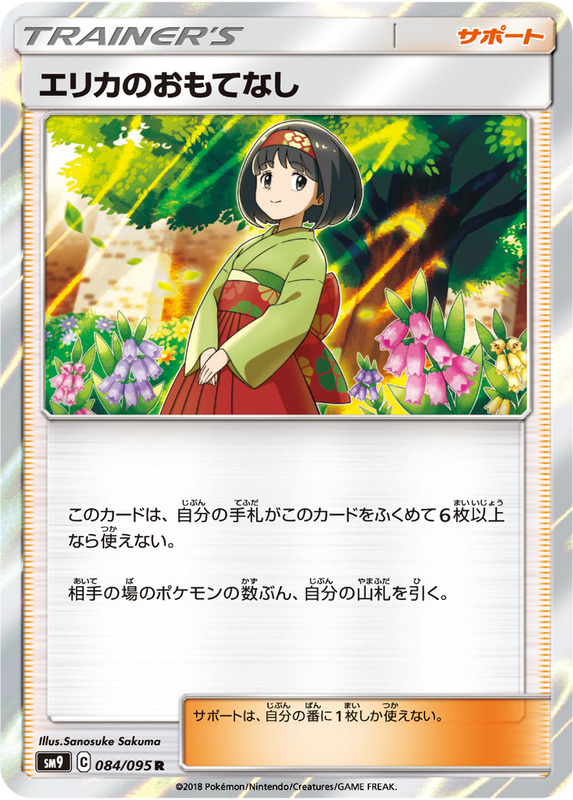 While this card is in play, prevent all effects from Item and Supporter cards done to this card. I am really nervous for how this will affect the format. 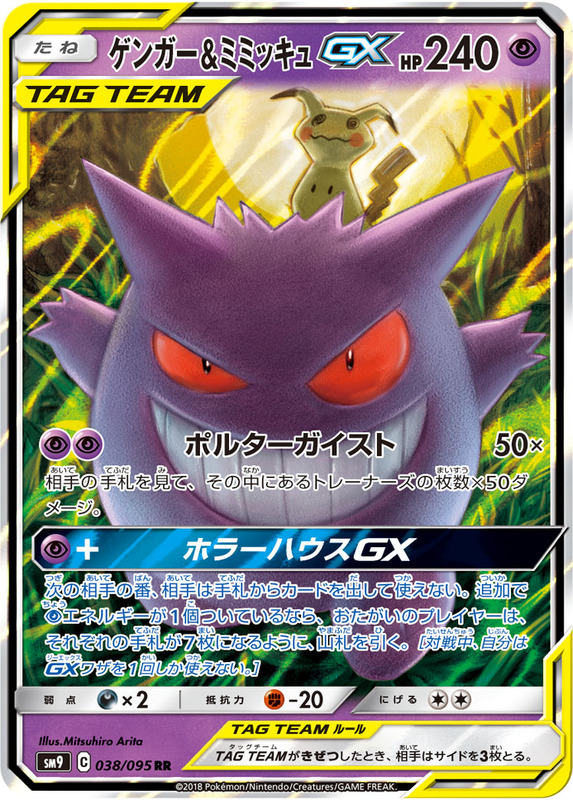 Attacks like Horror house GX, Evergreen GX, and Tag Bolt GX can change the outcome of a game in an instant. I’m awaiting with nervous anticipation. The translation for Erika’s Hospitality is correct except for the hand size. 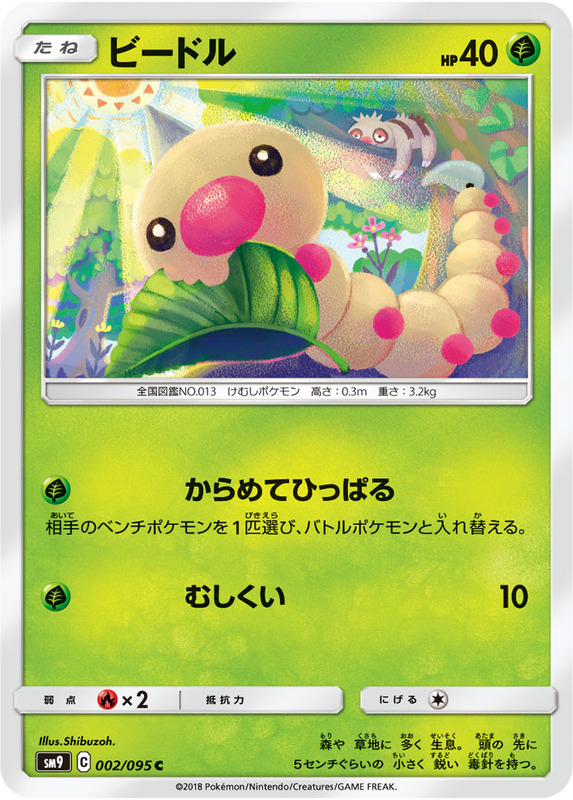 It is 4 cards instead of 6, I know this because I pulled a full art of it in 1 of my packs after the prerelease I played. 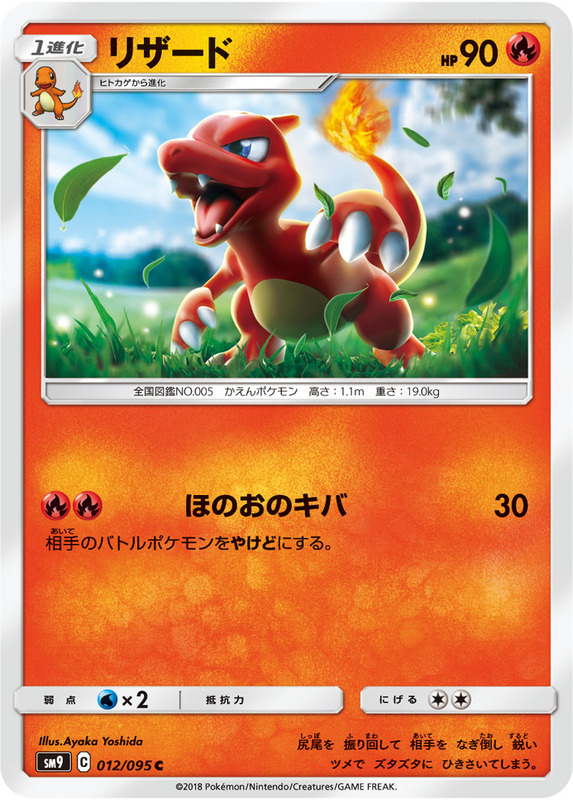 The wording on the English card is different from the Japanese one, but both mean the same thing. Oh I see, my bad. 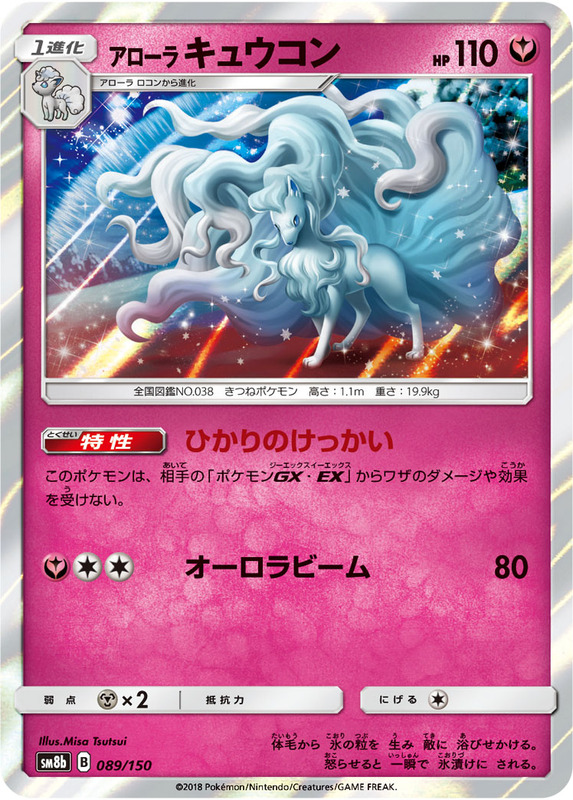 Can someone tell me, what is “Ultra Beast-EX” (see Fairy Charm UB)? 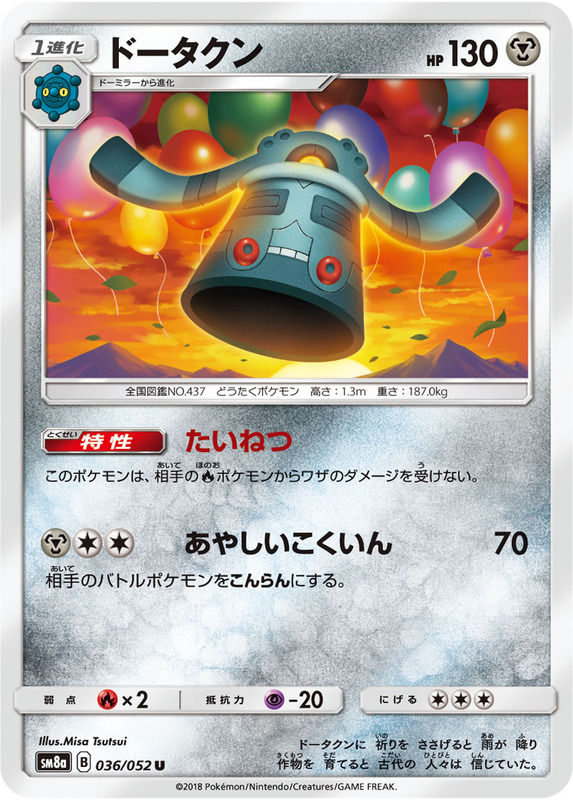 Ultra Beasts that are Pokemon EX, which do not exist, but for some reason still appear on this card. Maybe because they just copied the template of all the other Fairy Charms, where including EX makes sense. 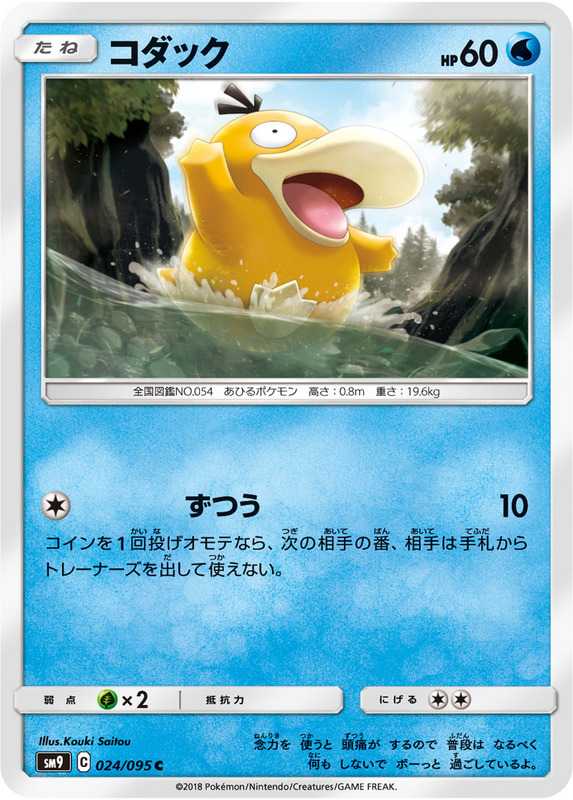 Is the translation for that Psyduck correct? 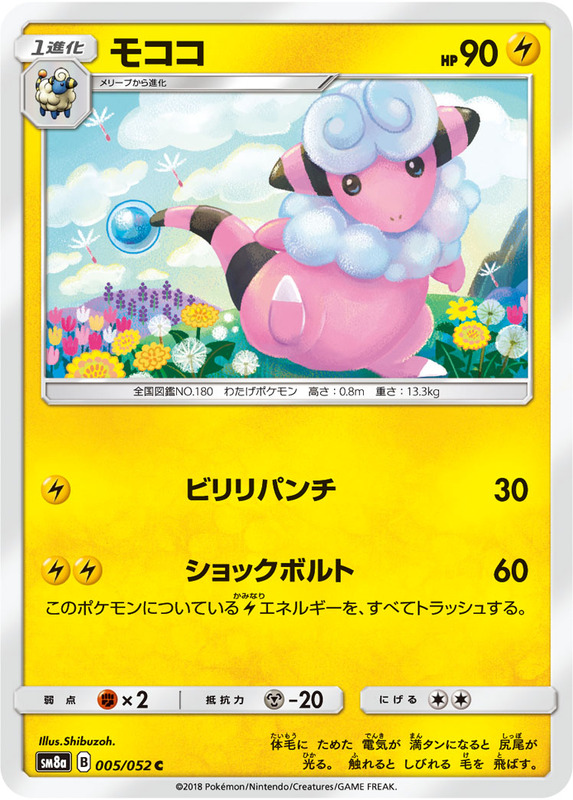 Any trainer cards? 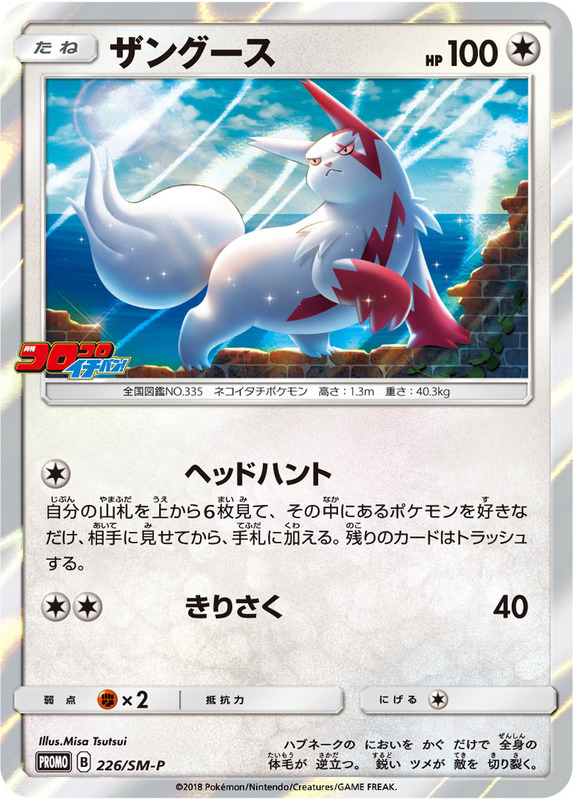 The Zangoose says Look at the top 6 cards of your deck, choose as many Pokemon your find there as you like, reveal them and put them into your hand. Shuffle the rest back into your hand. shouldn’t it say back into your deck? Actually, it discards the remaining cards. Apologies for this error, and thanks for pointing it out. 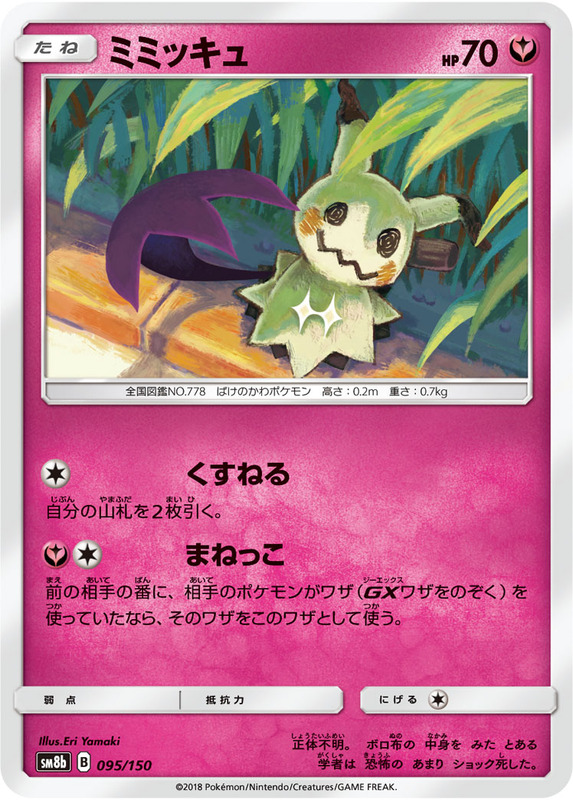 Do you think Gengar & Mimikyu will be a top deck in standard ? I don’t think so. 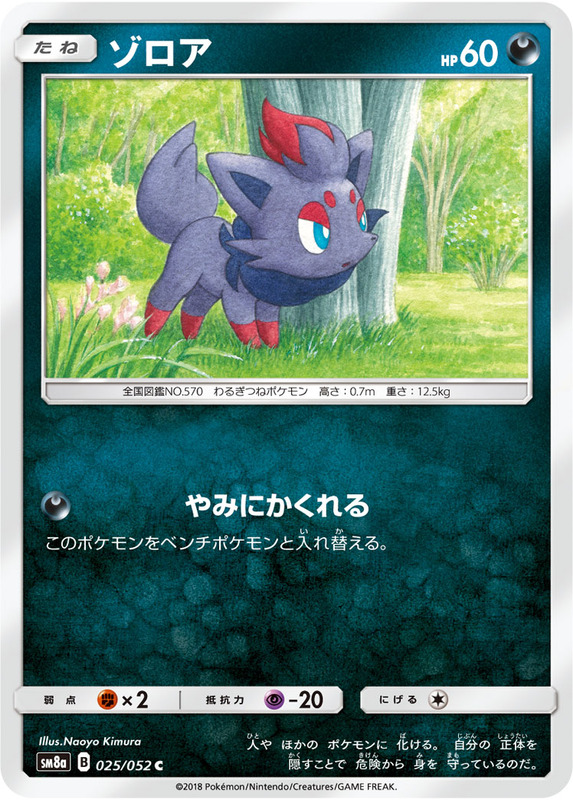 Zoroark will one shot it with no problem. 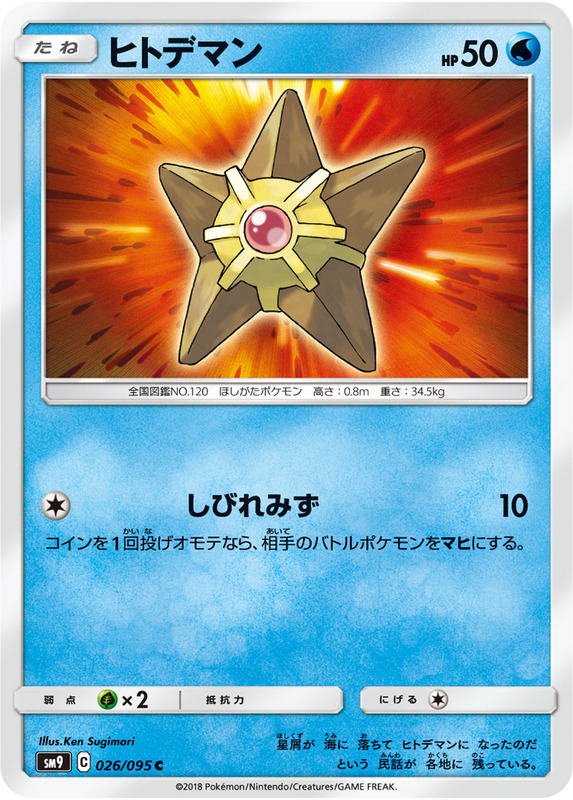 The name on the Japanese version is different, and our text is just a translation, not the official English one.